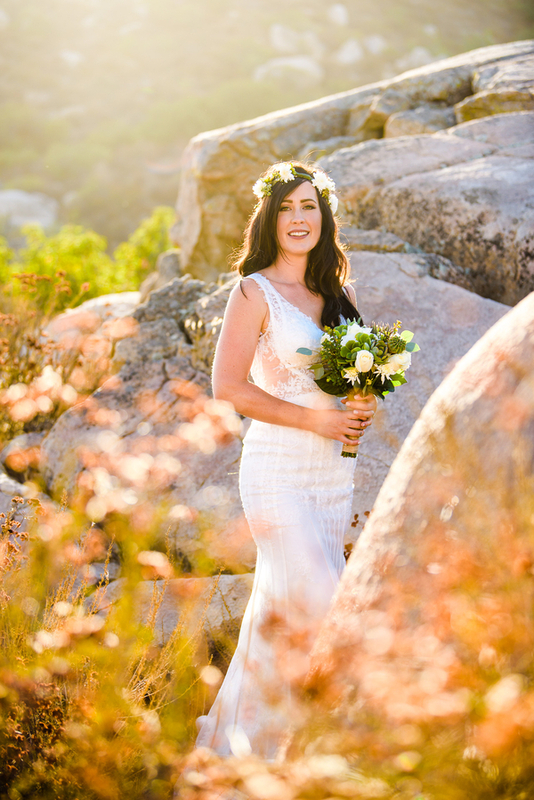 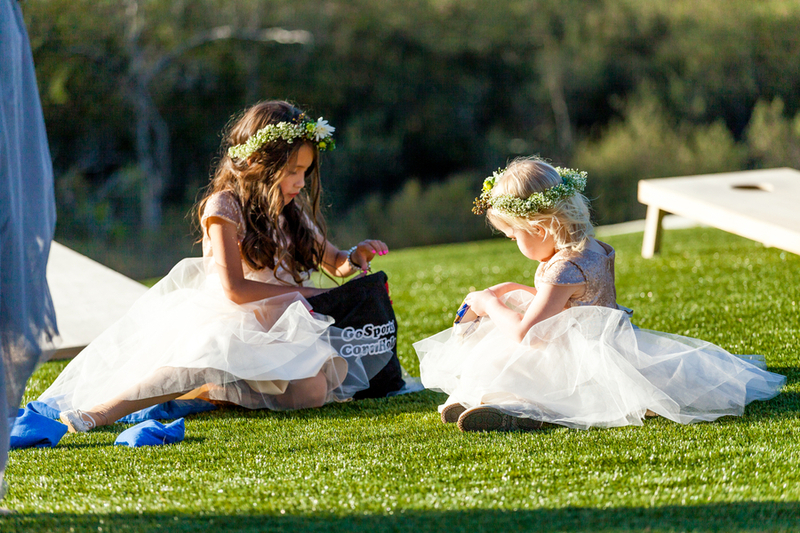 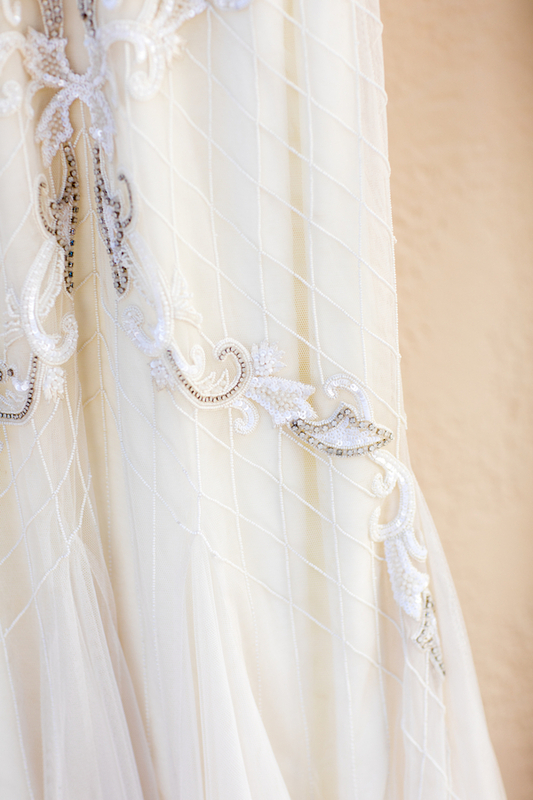 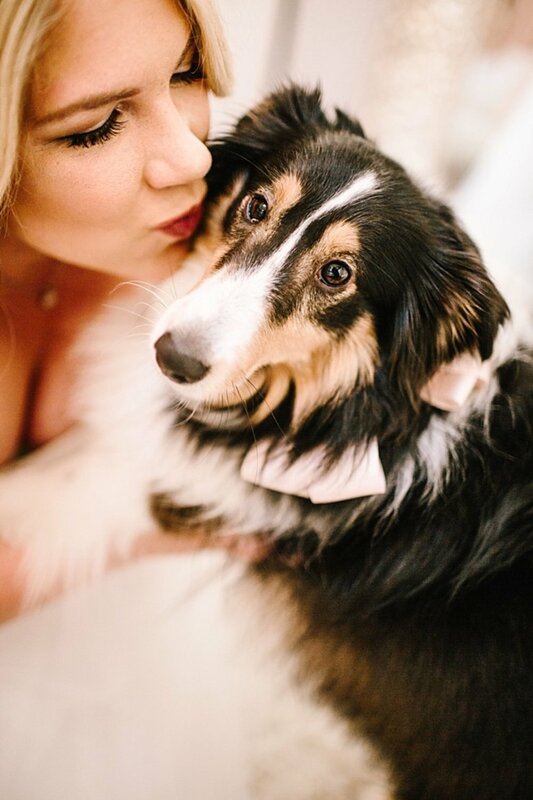 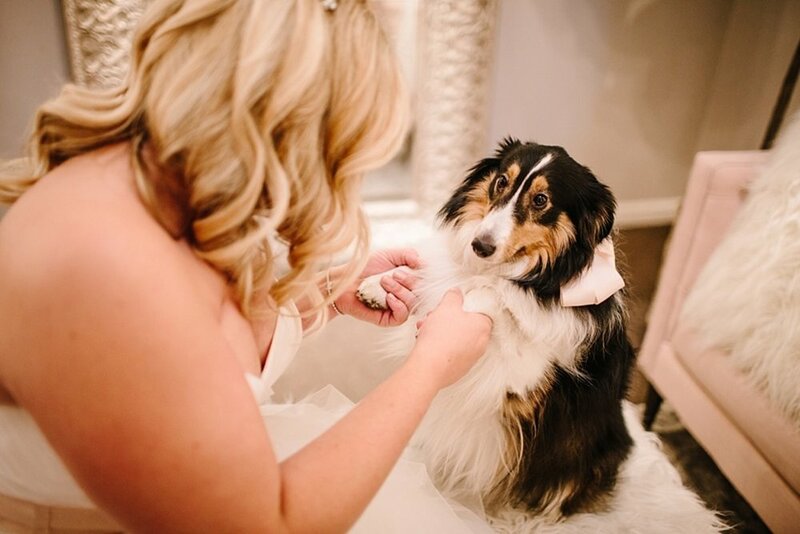 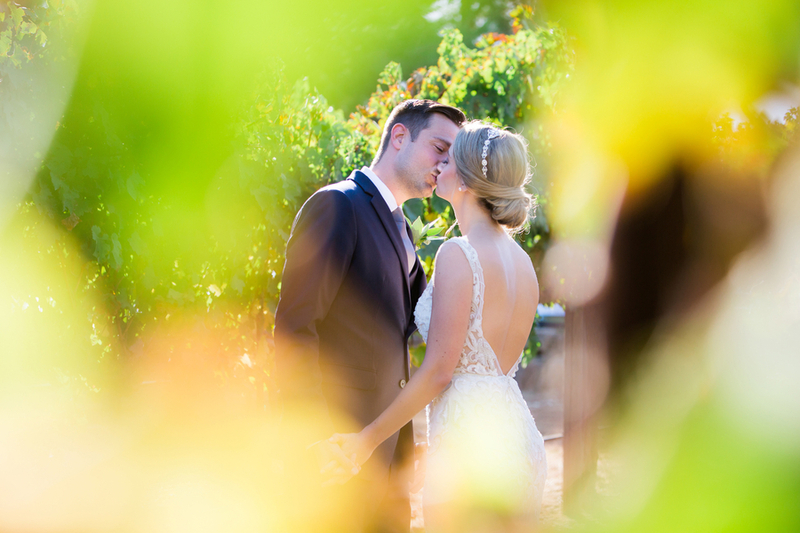 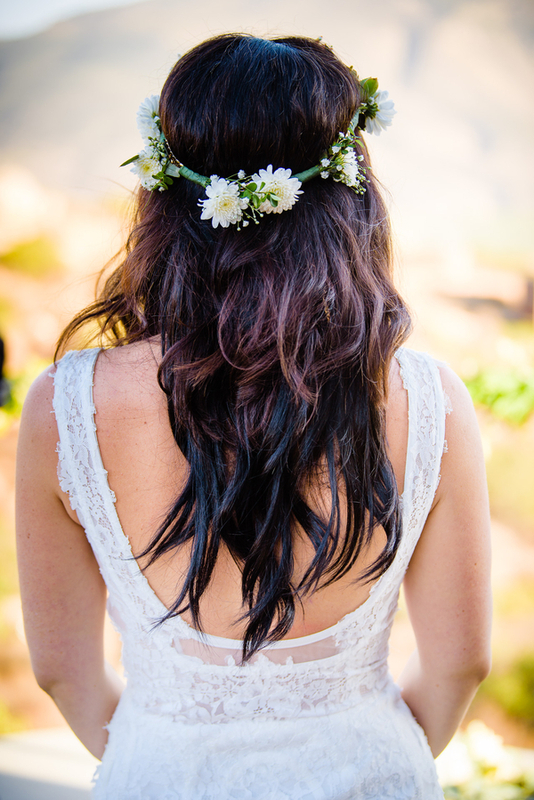 Beautiful Temecula Winery Wedding At Calloway has it All: Beauty, Spirit, Love and a Dog! 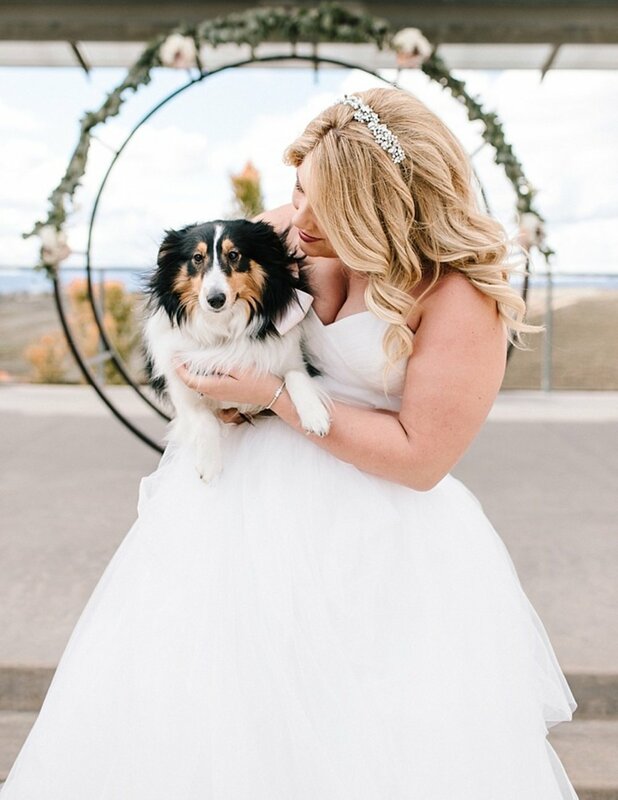 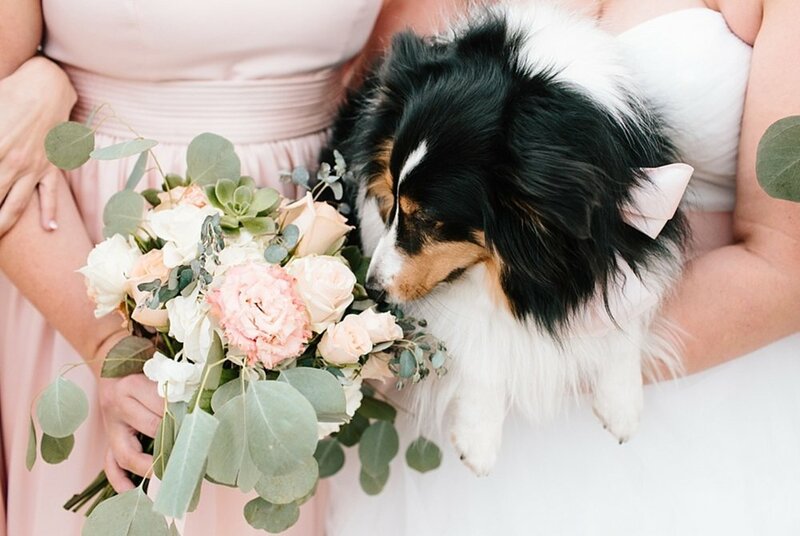 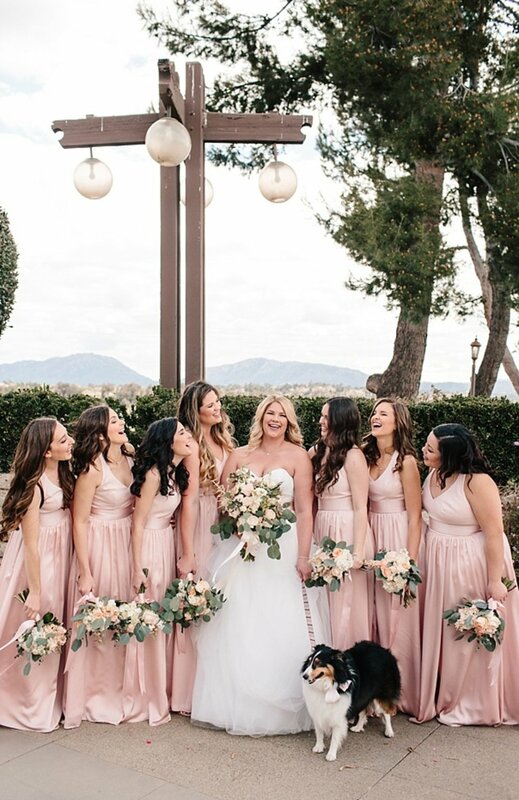 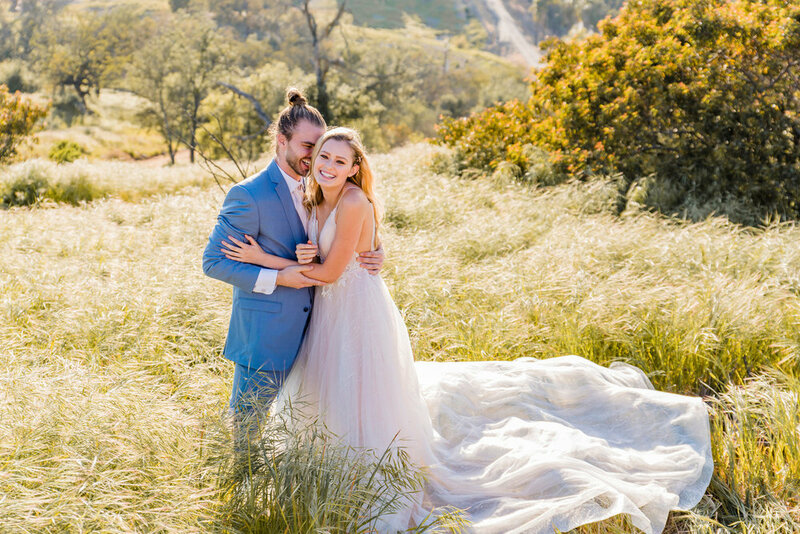 Chelsey + Anthony (and their sweet pup, Kona) tied the knot in a blush + springtime themed ceremony at Callaway Winery, in Temecula CA. 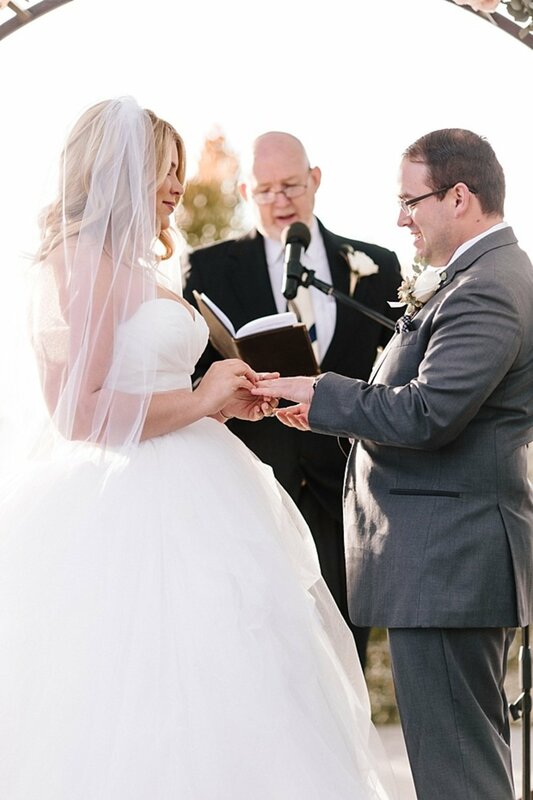 They celebration centered on their faith and strong family values. 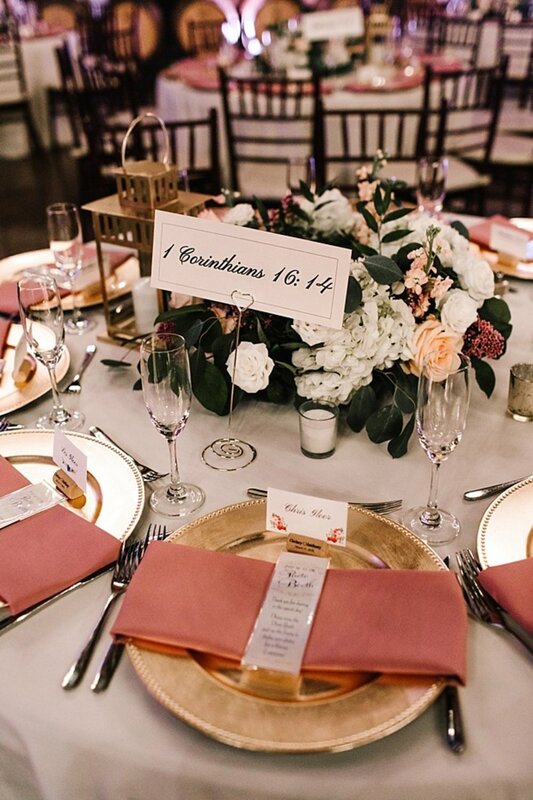 They had bible versus incorporated in their table numbers and decor and a large cross at their altar. 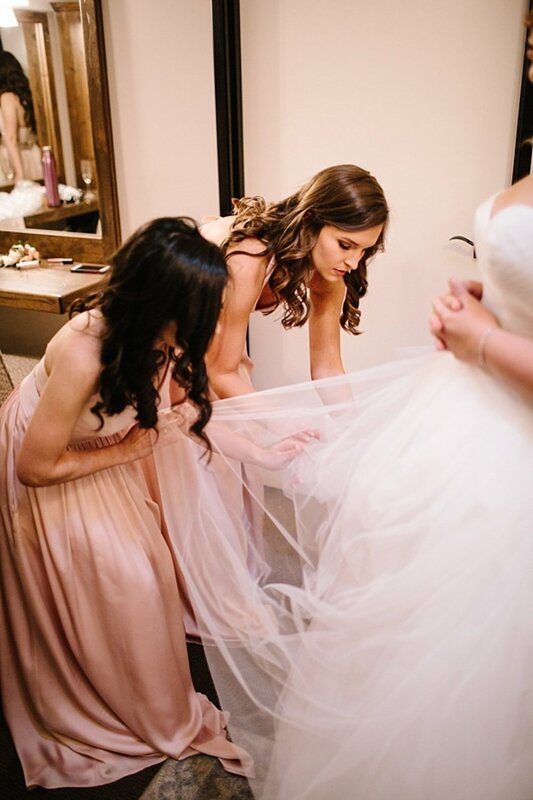 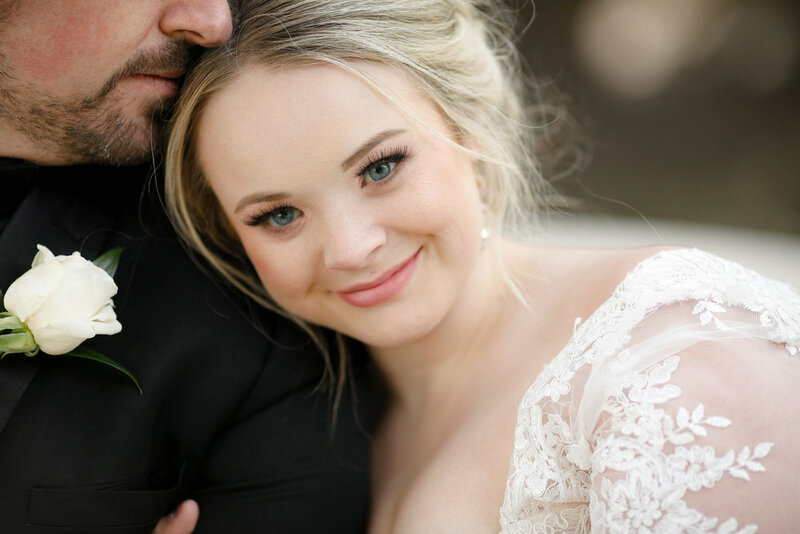 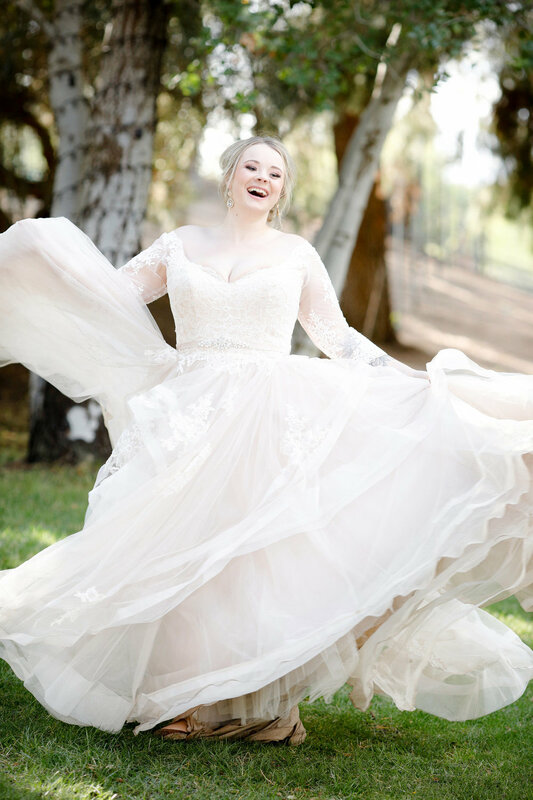 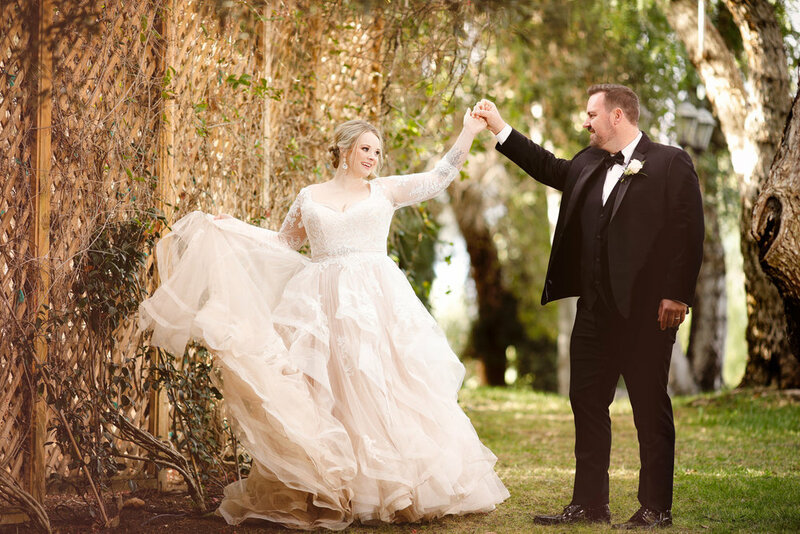 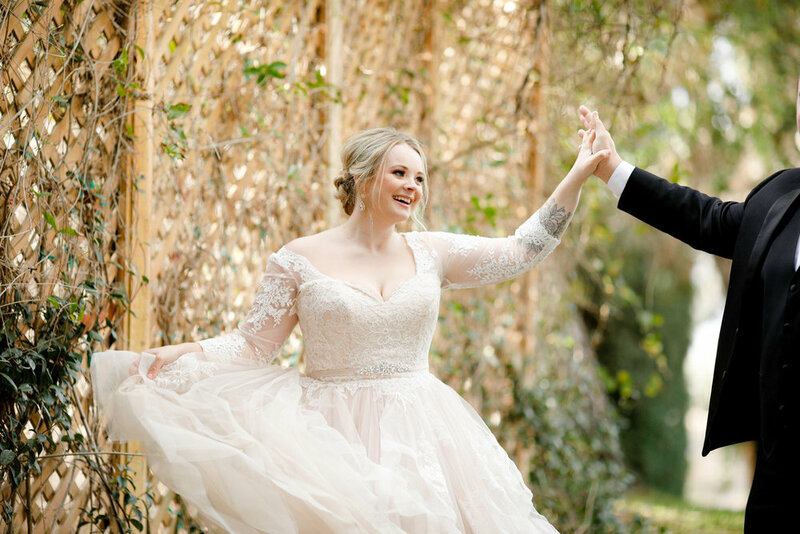 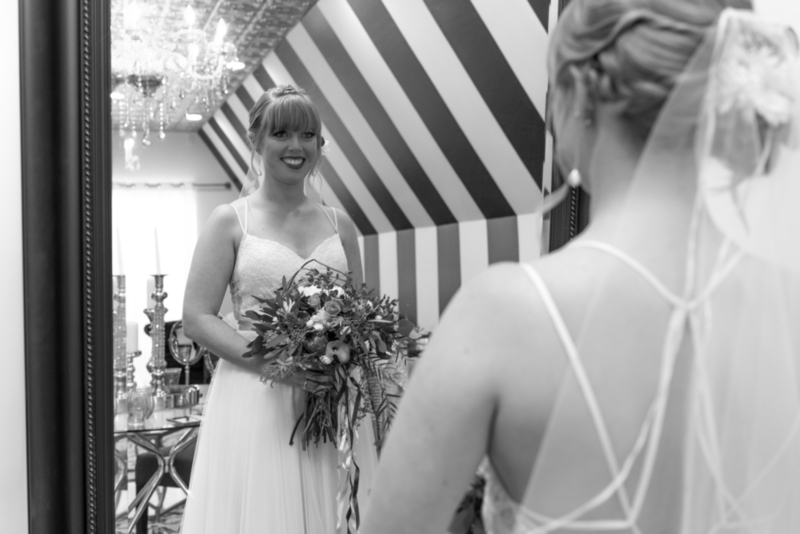 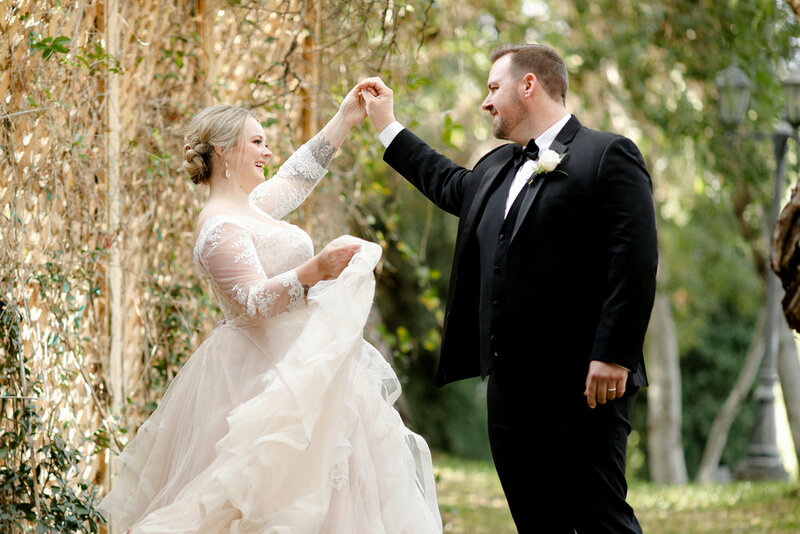 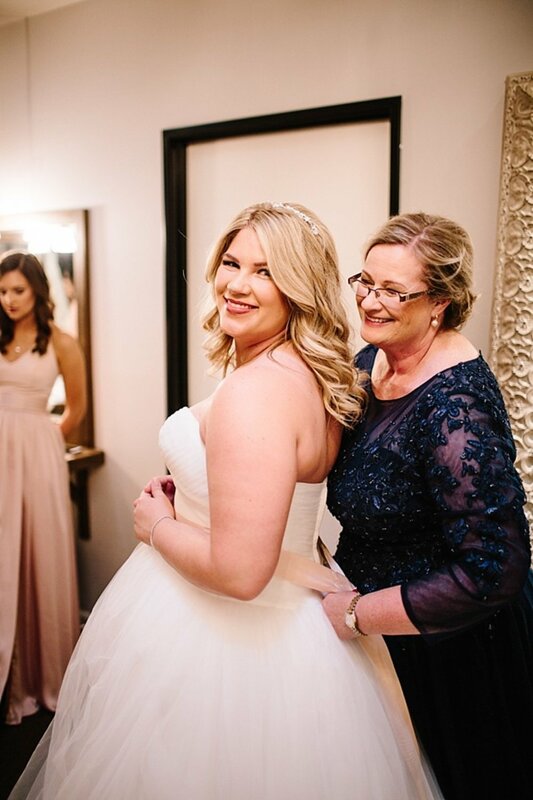 And as for her dress, Chelsey knew she wanted something "big", and knew she had found "the one" when she tried on this gorgeous confection of dreamy tulle and truly felt like a bride. 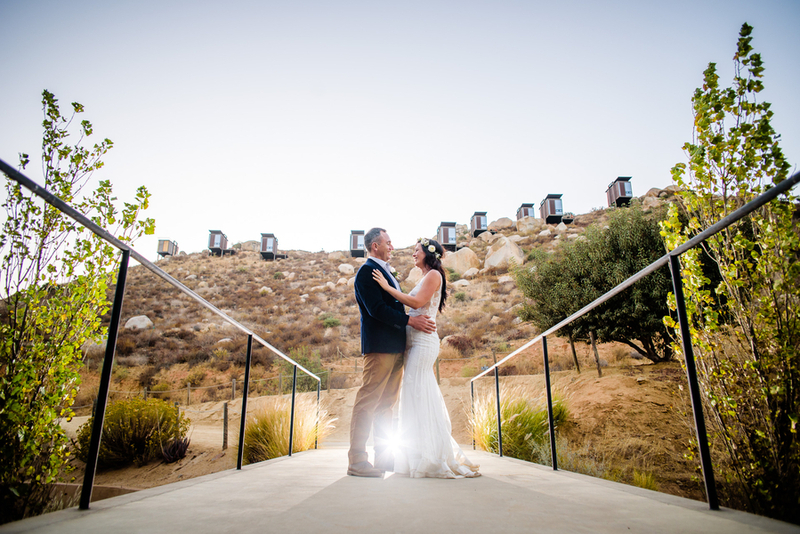 This lovely couple enjoyed a day of love, spirit, faith and friendship at Callaway Winery in Temecula and then they were off to an amazing honeymoon in Italy! 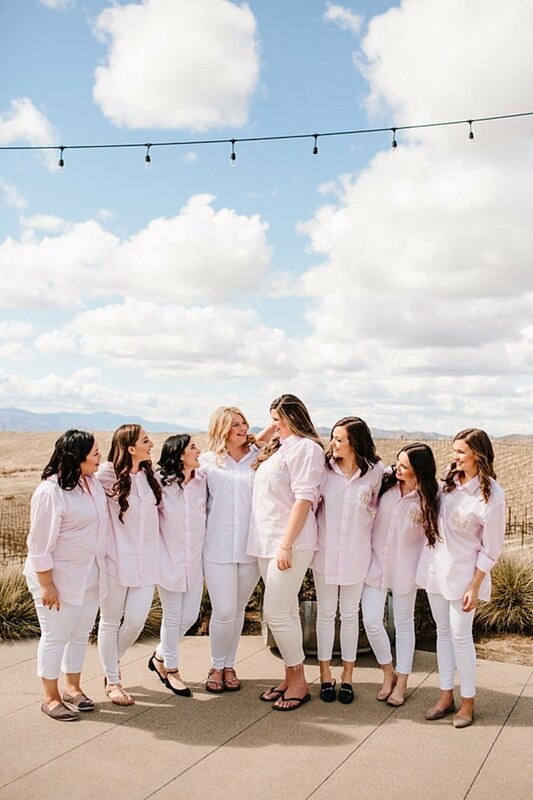 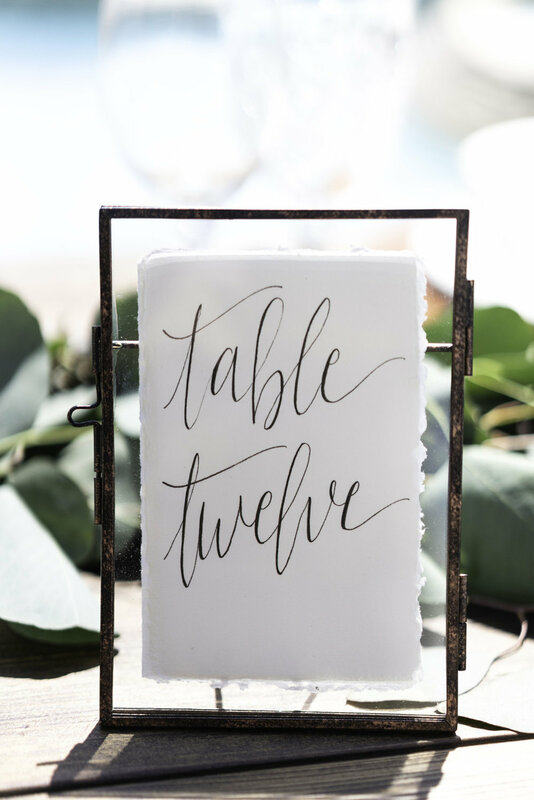 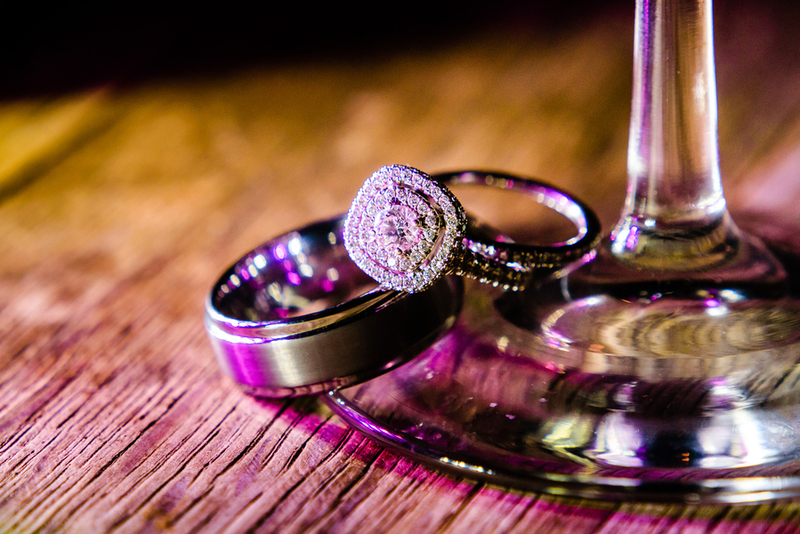 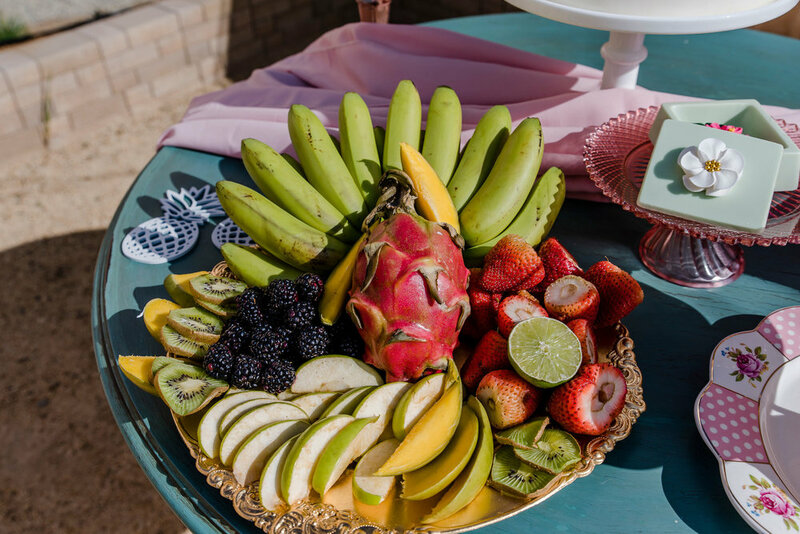 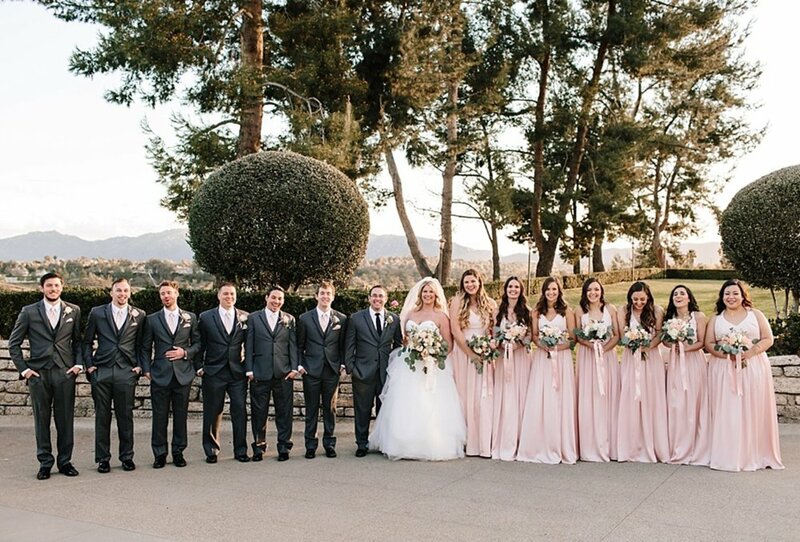 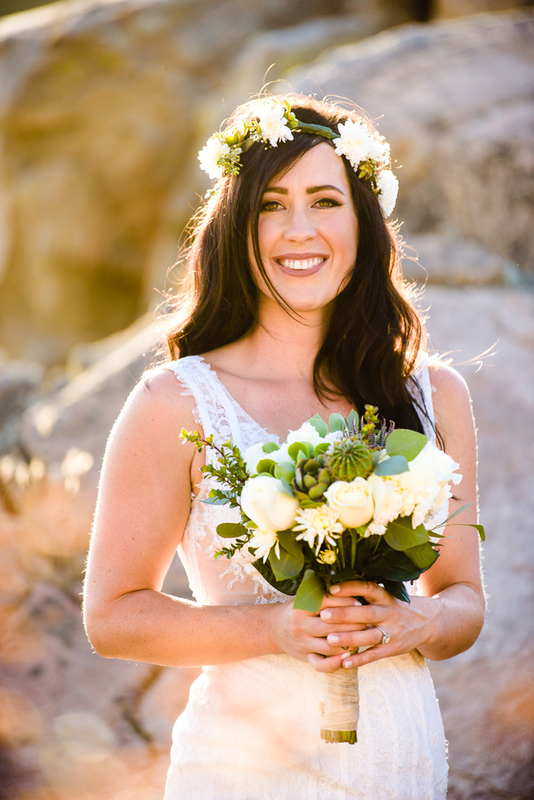 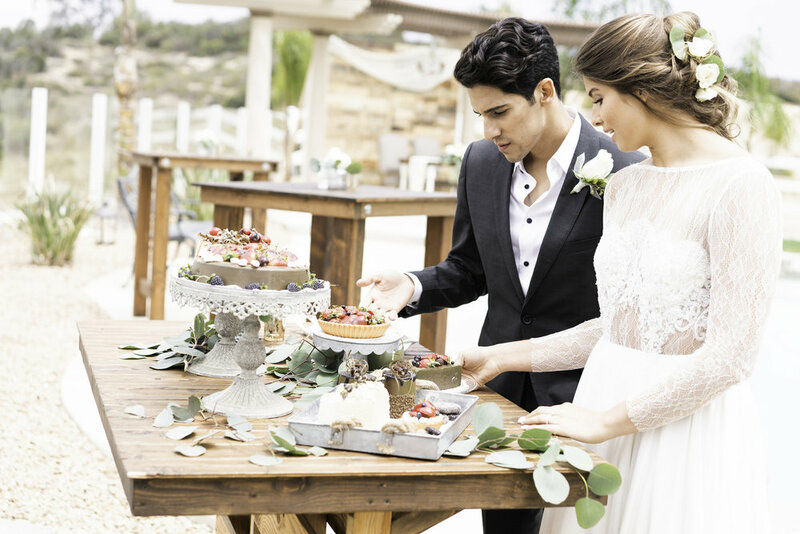 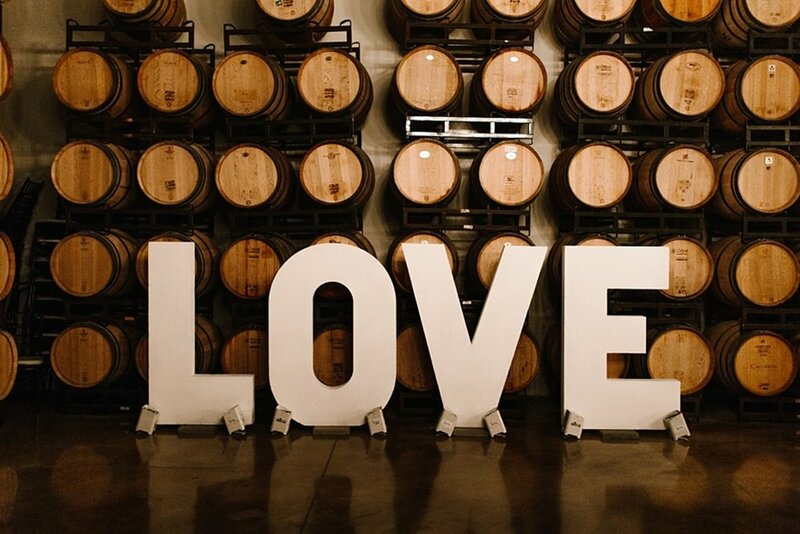 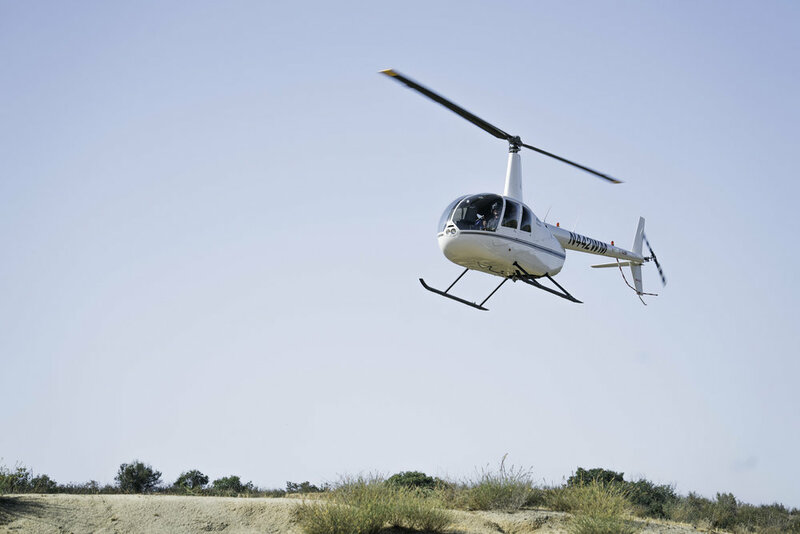 Nestled between breathtaking views of the rolling hills and vineyards in the heart of Temecula Valley's Wine Country, Callaway Vineyard & Winery is the perfect location for brides to celebrate their unforgettable wine country weddings. 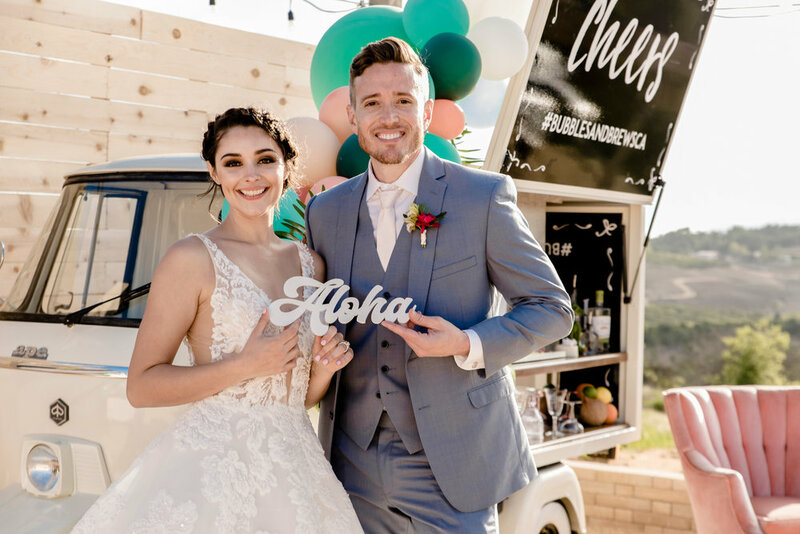 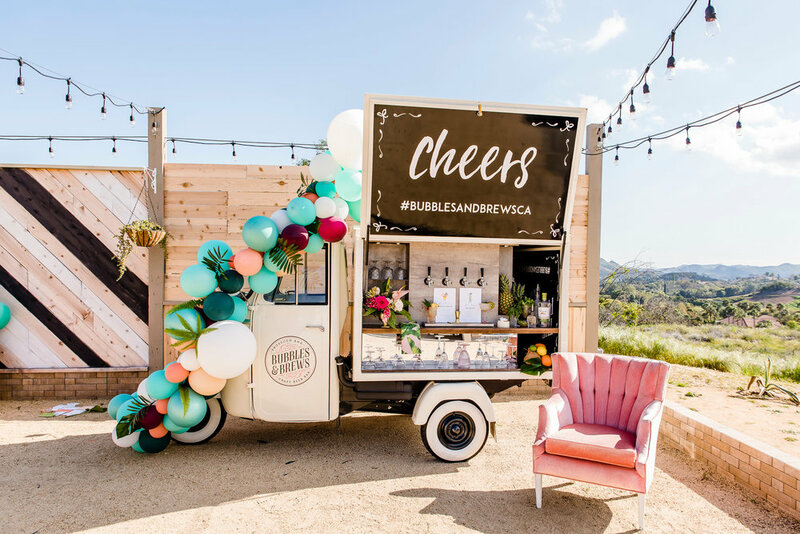 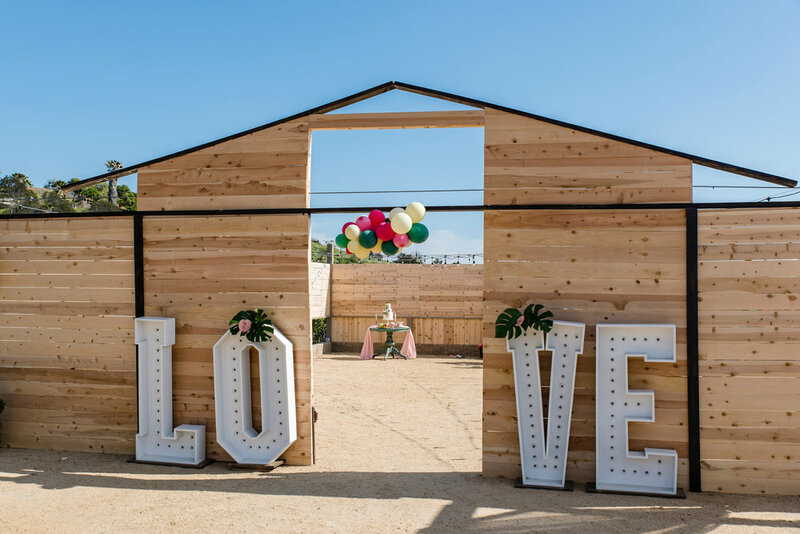 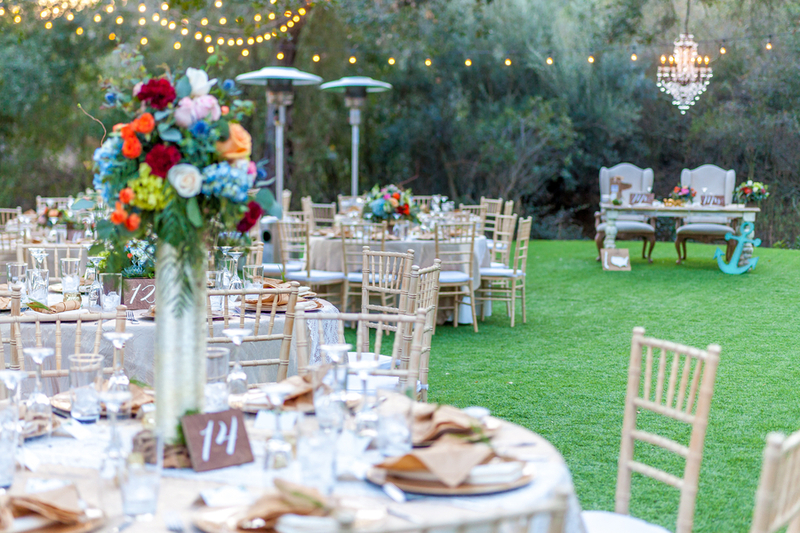 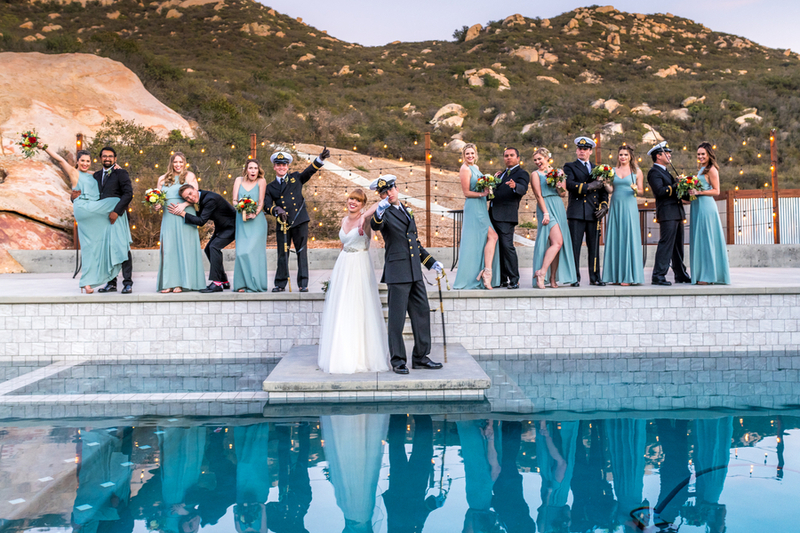 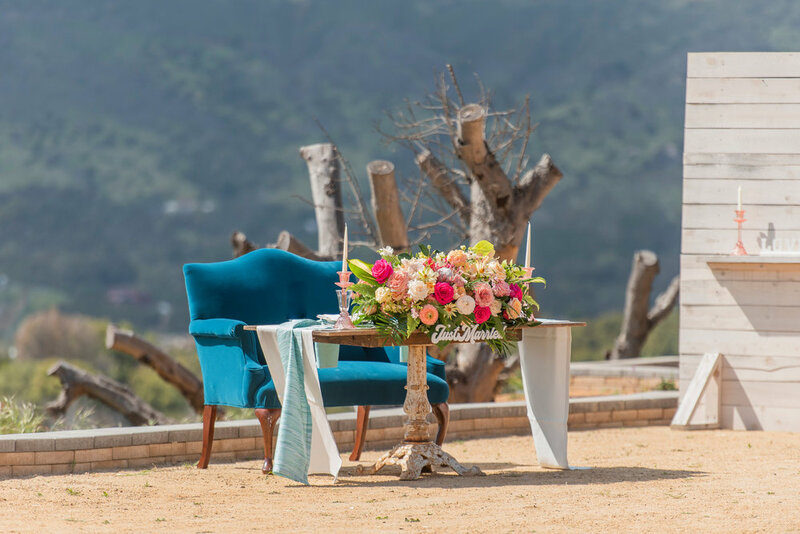 Perfect for winery wedding ceremonies, Callaway's outdoor West Lawn offers an amazing landscape view overlooking vineyards and boasts a stunning sunset view over Temecula! 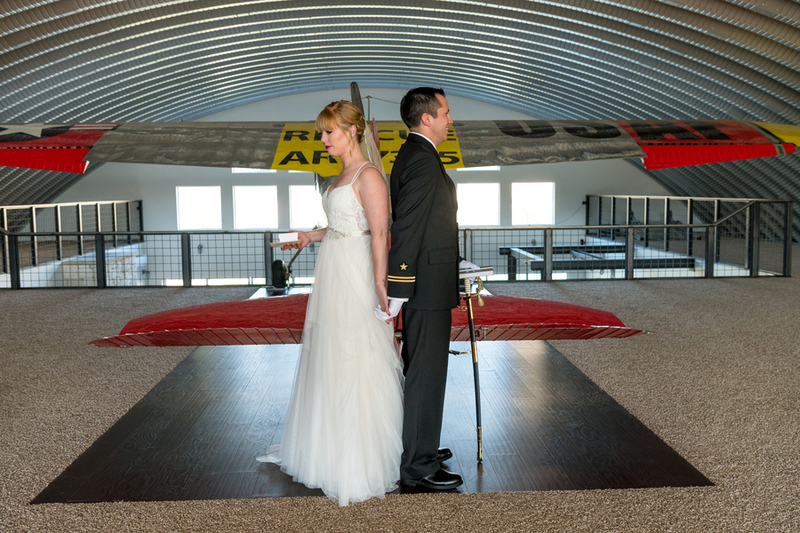 Callaway has several exciting reception areas to choose from too! 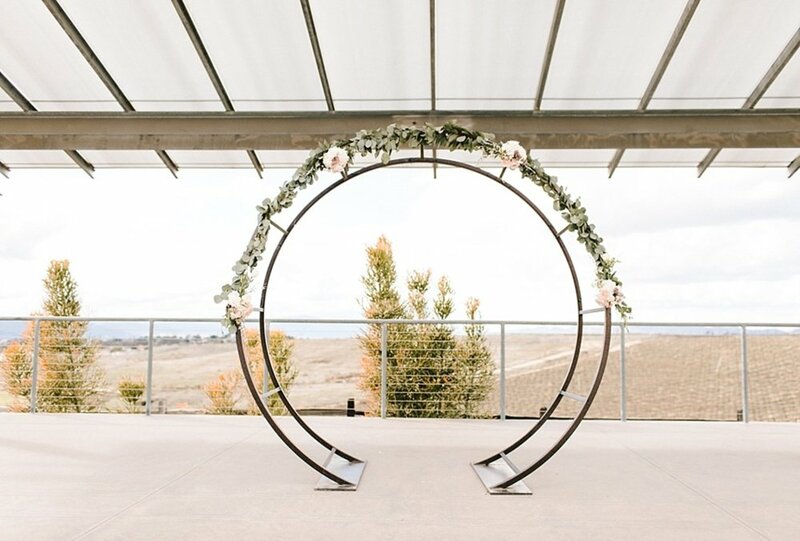 From a bi-level outdoor vineyard terrace with an awe-inspiring view, or a Courtyard perfect for your cocktail hour or outdoor reception as you enjoy panoramic sunset views over vineyards, or even a barrel room, Callaway Vineyard & Wineries provides the perfect backdrop for an authentic wine country wedding. 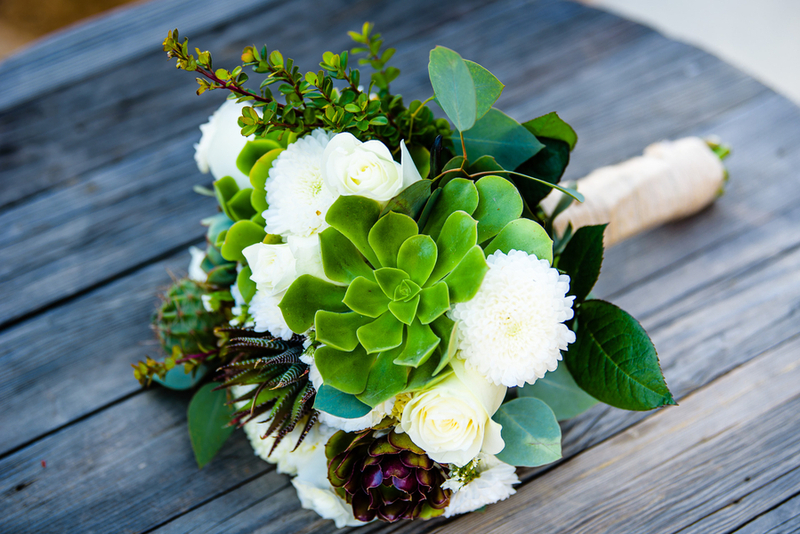 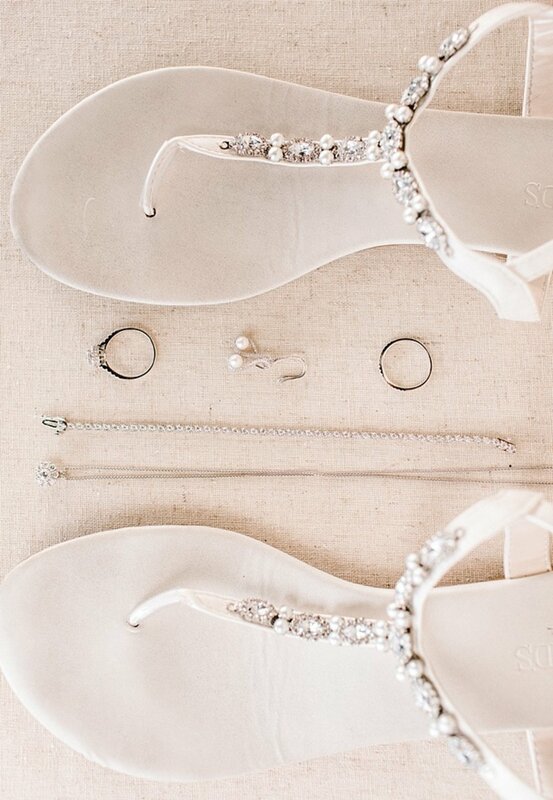 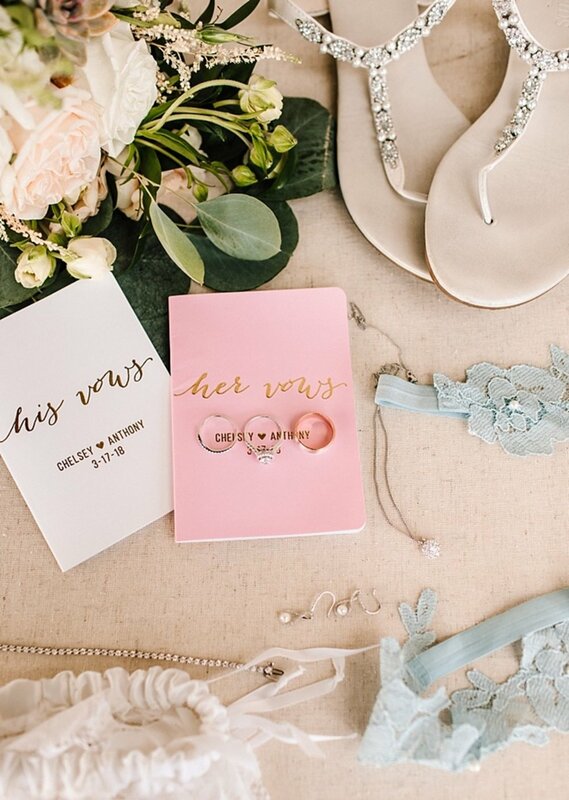 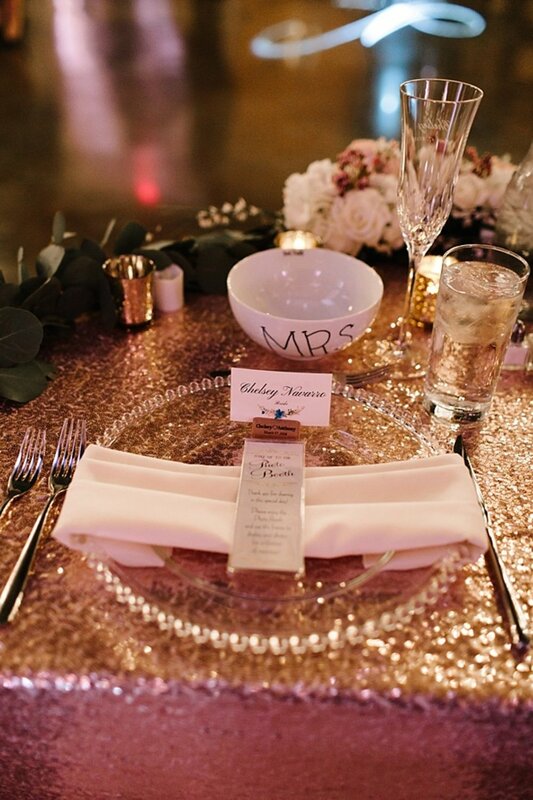 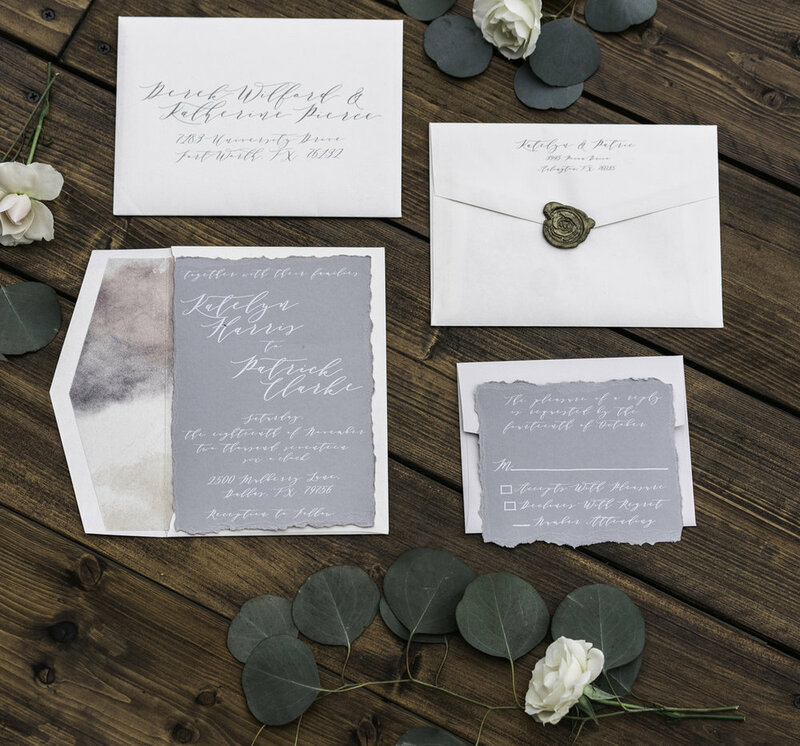 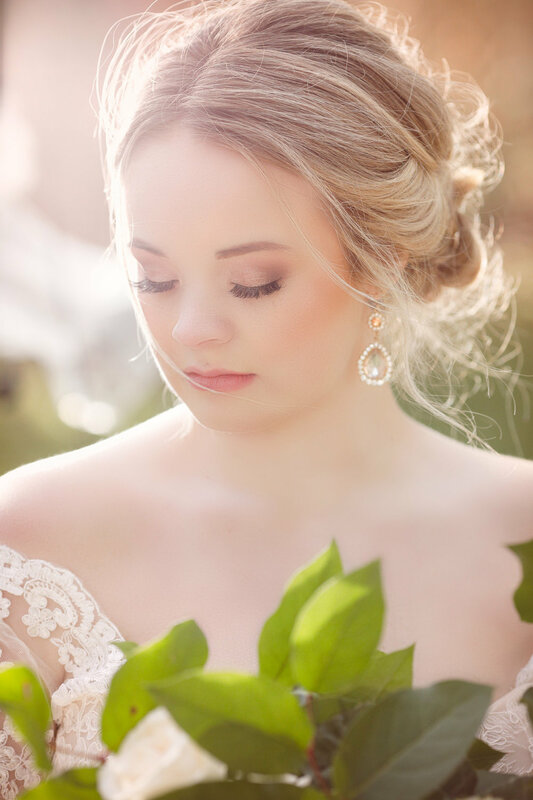 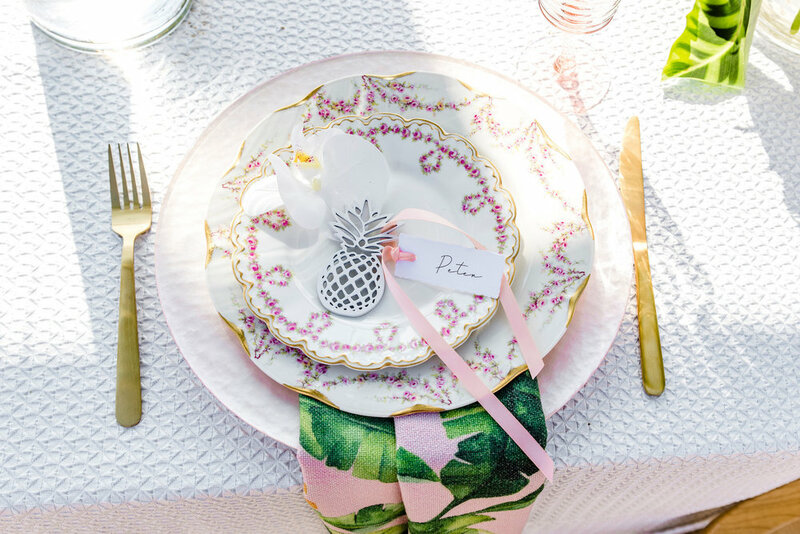 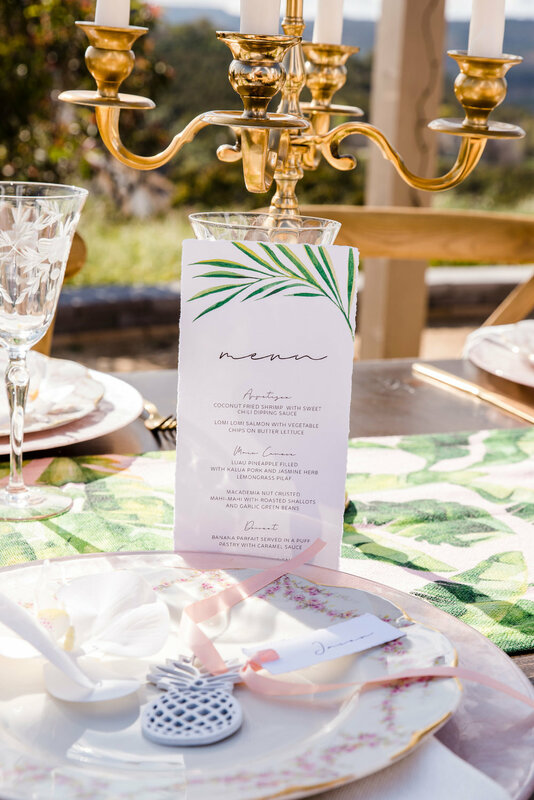 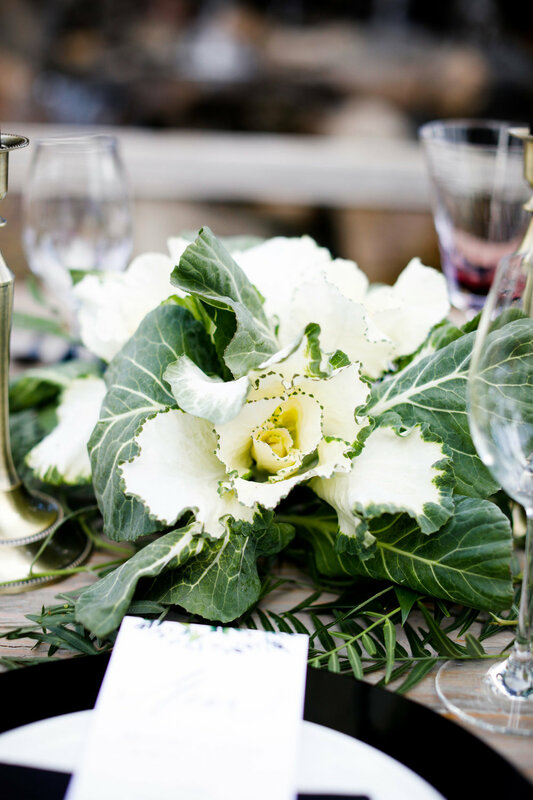 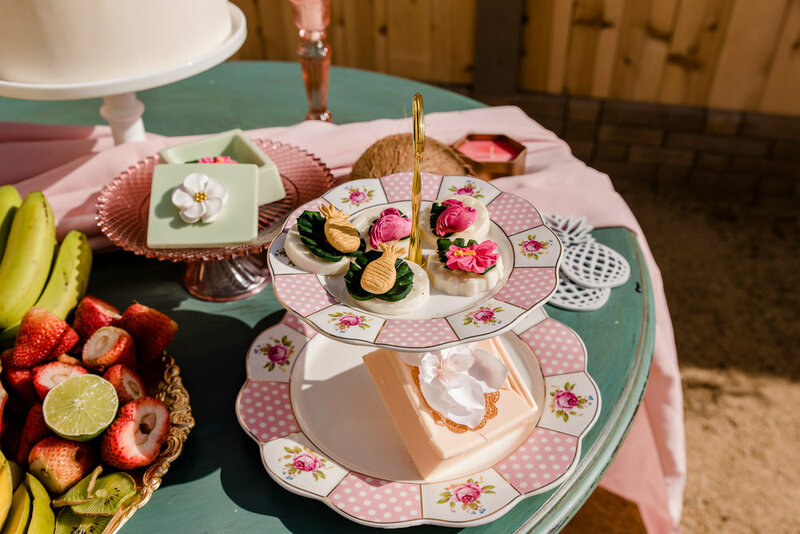 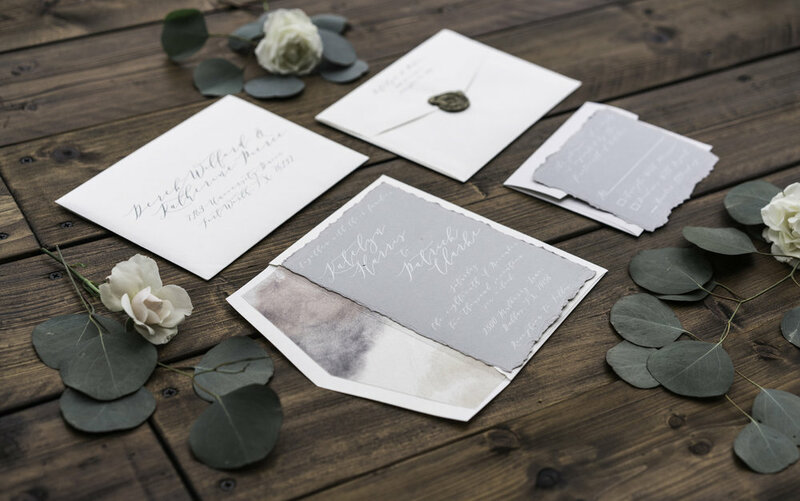 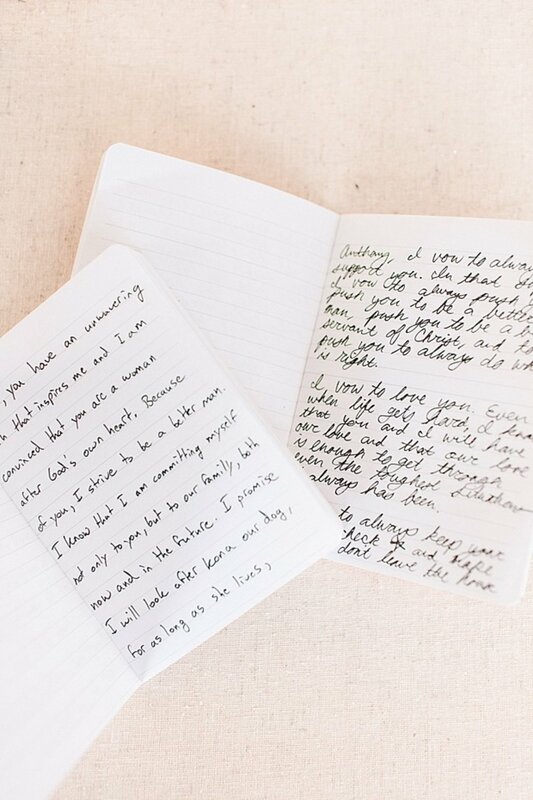 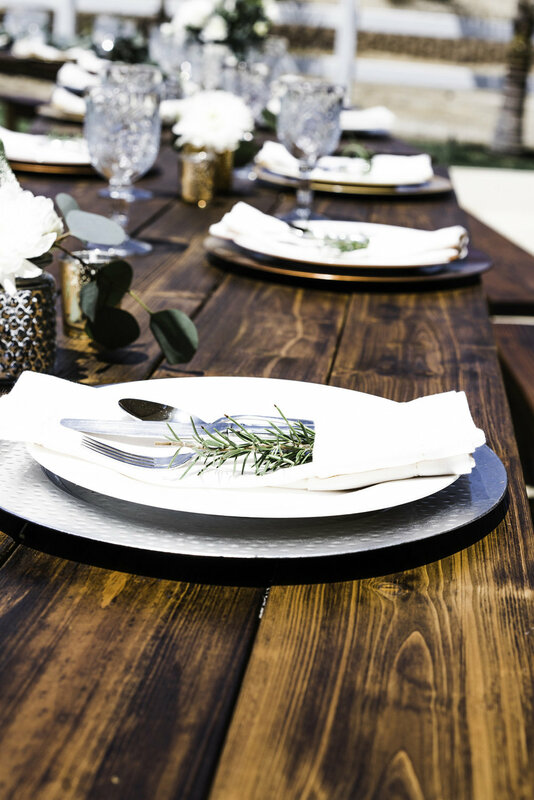 This gorgeous shoot styled by Katie Hammond Photography was a photographer's dream! 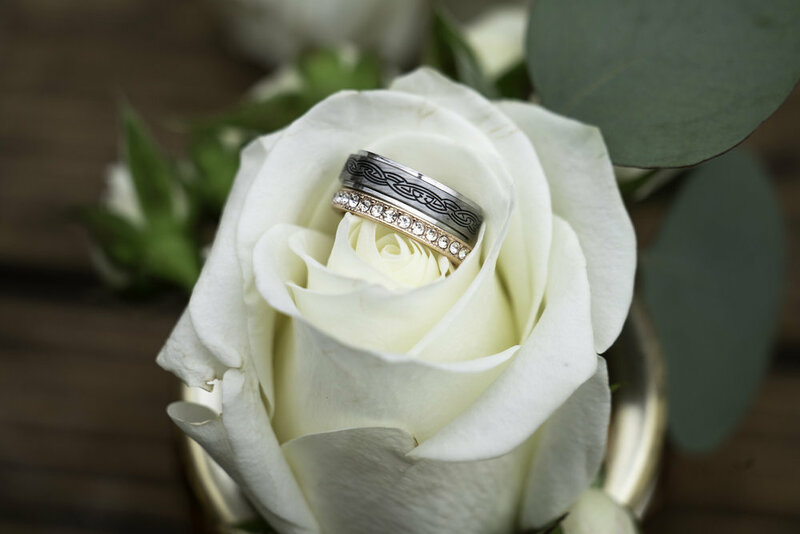 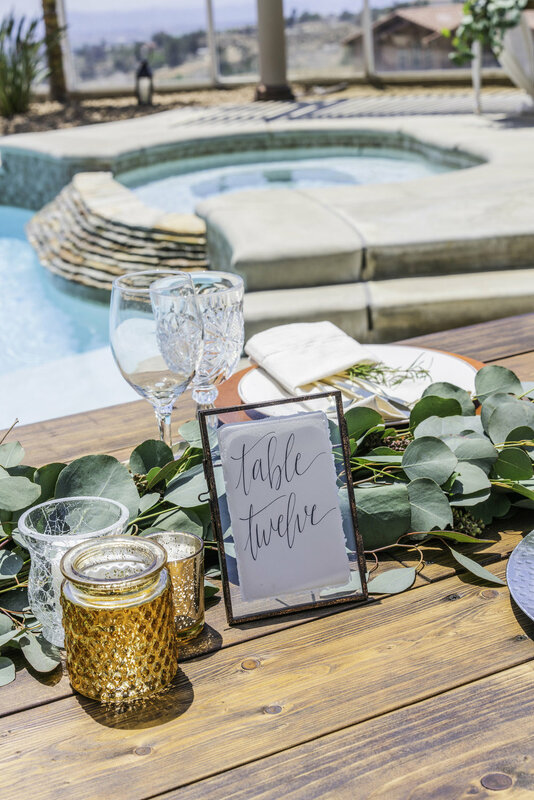 Three amazing and very different couples, an elegant bridal party, over-the-top florals, beautiful roses, and even tablescapes with kale...every detail was bold and classically elegant. 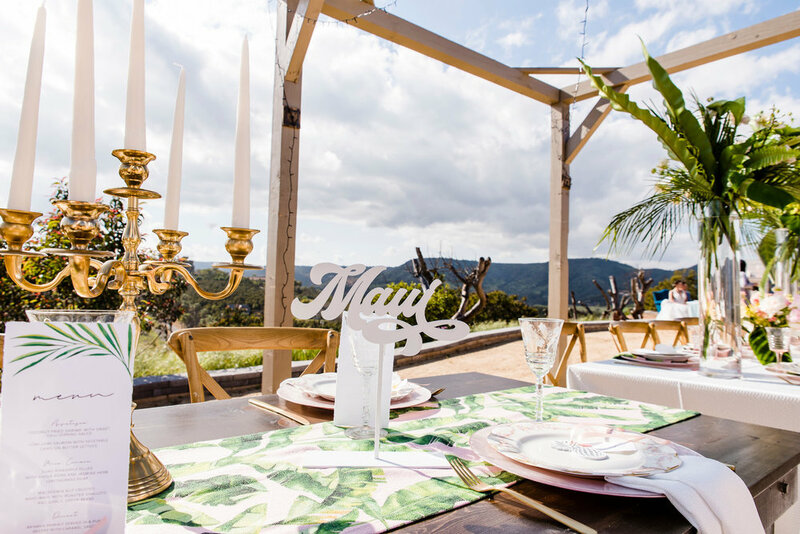 Each area of this expansive property gave a different feel to the shoot, yet managed to weave together to create one glorious finished product. 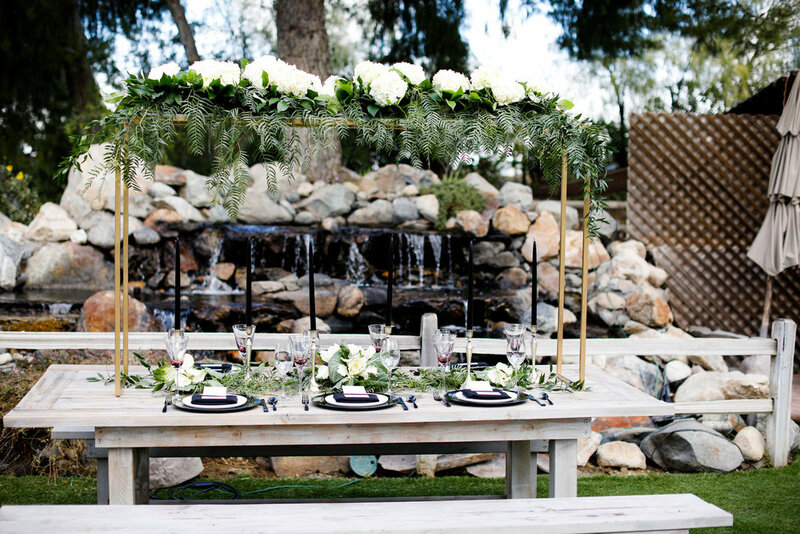 From the pond with waterfall, to the Mediterranean inspired alfresco dining area, to the low hanging trees that feel as though you've been transported to Savannah Georgia, this day had everything! 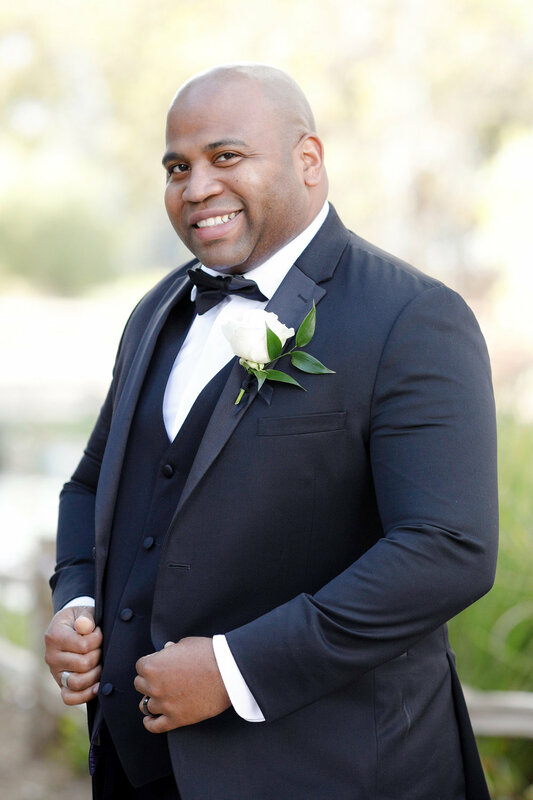 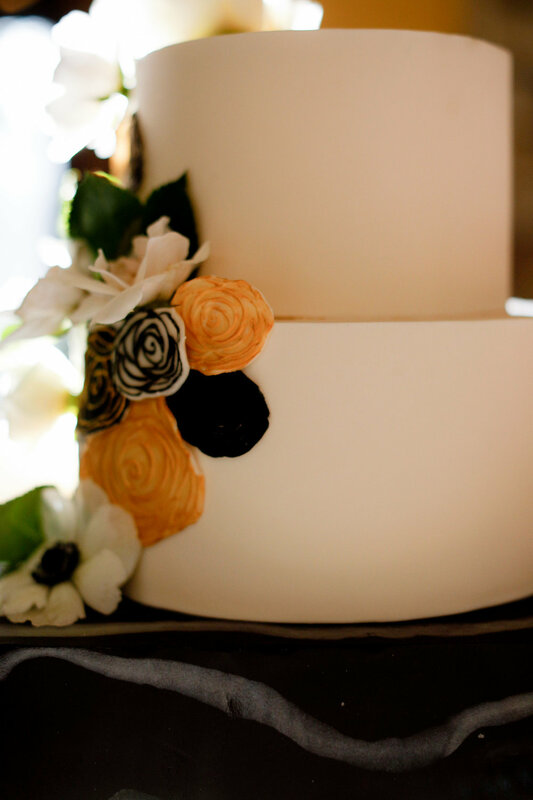 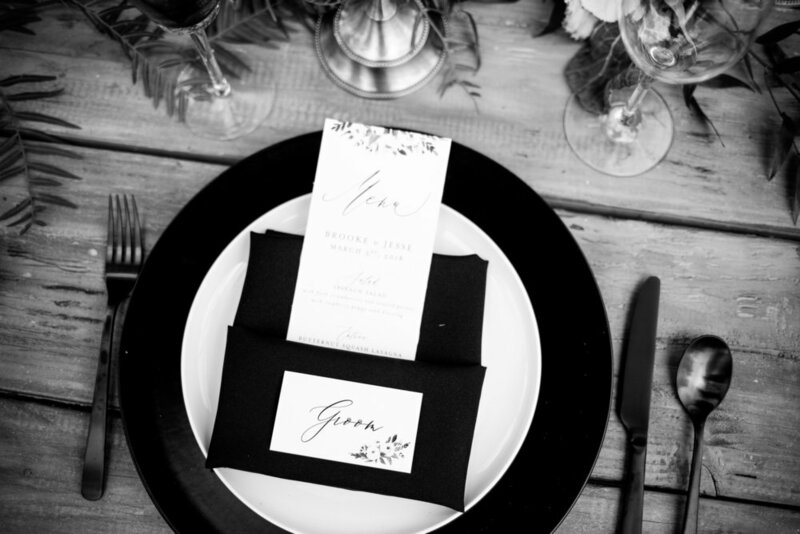 Couple #1 Black Tie Wedding Style; black tie all the way with beautiful wedding cake, bold invitation portfolio, kale centerpieces, and stunning bridesmaids dresses. 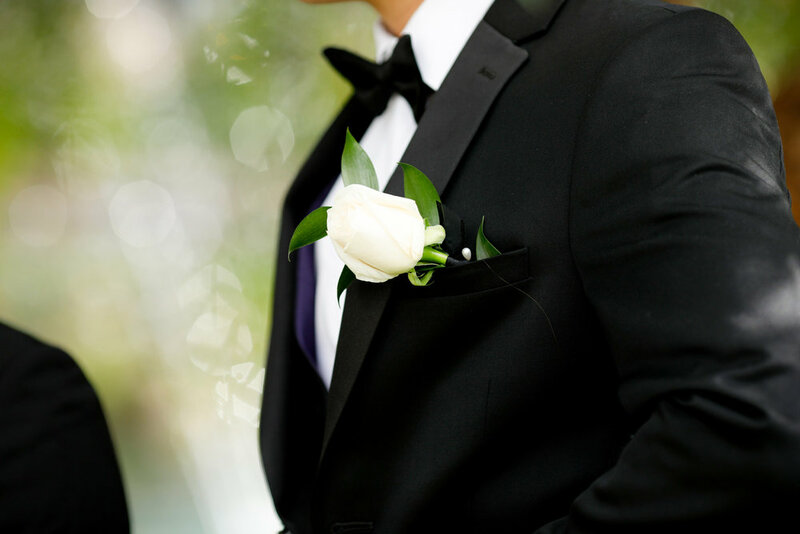 Couple #2 Black Tie Wedding Style; clean and simple bridal gown, a classic tux and some pretty nice moves! 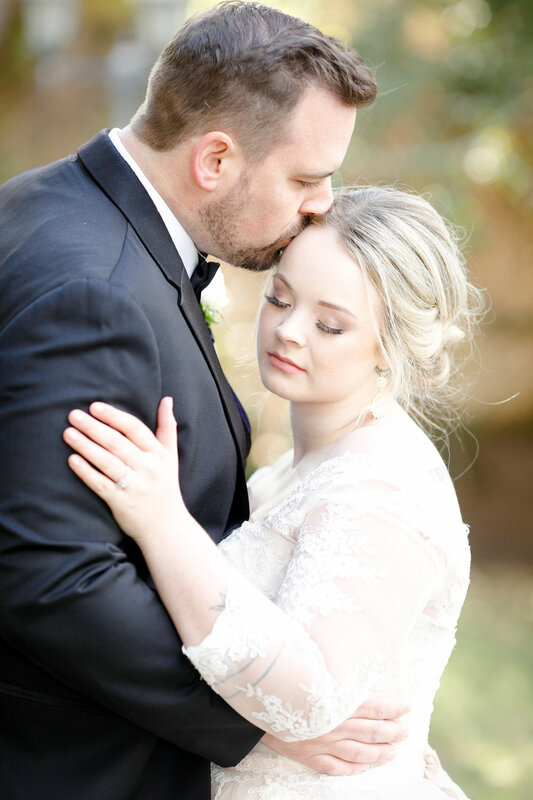 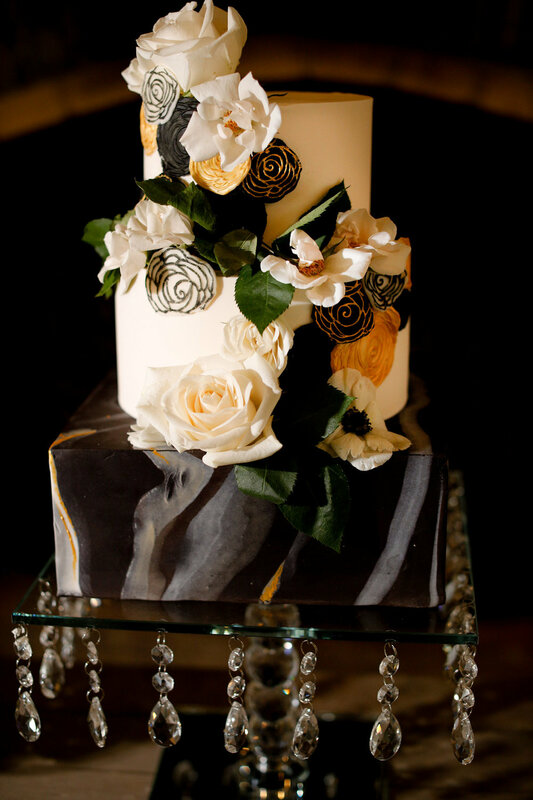 Couple #3 Black Tie Wedding Style; a dreamy gown, a gorgeous full bouquet of ivory roses and sweet love. 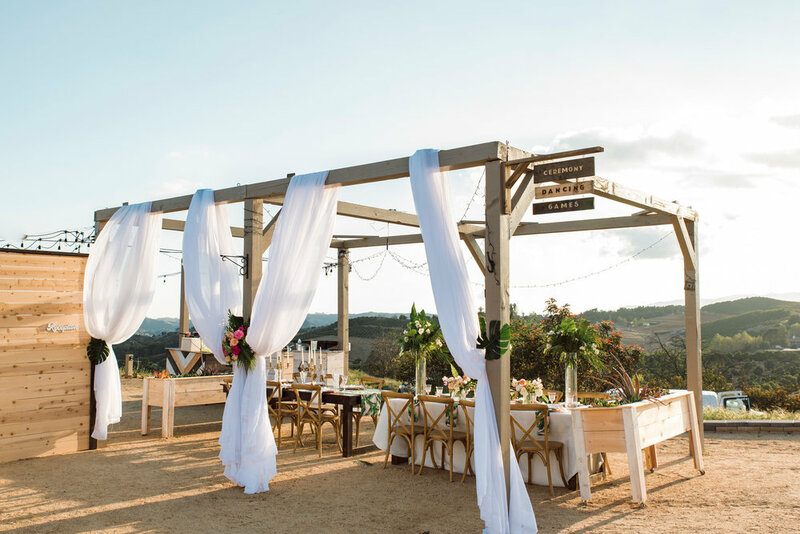 Lake Oak Meadows Winery gives you a luxurious feel while still letting you enjoy our amazing Southern California weather in the beautiful outdoors. 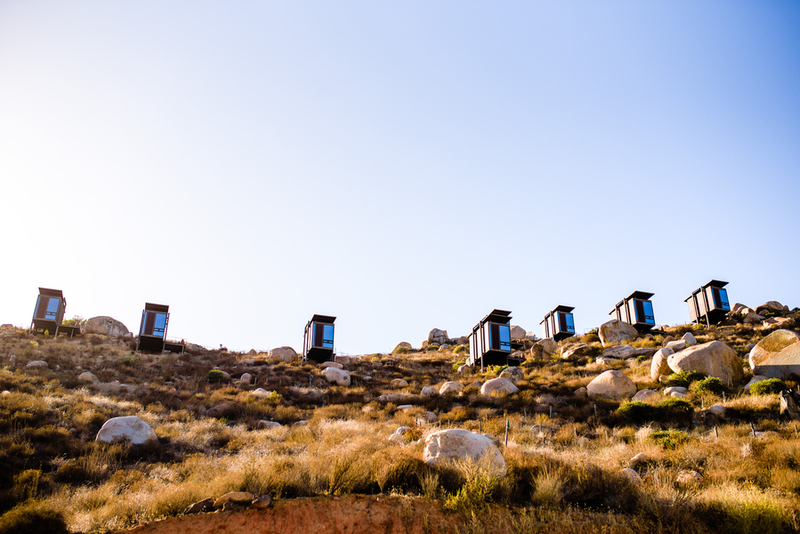 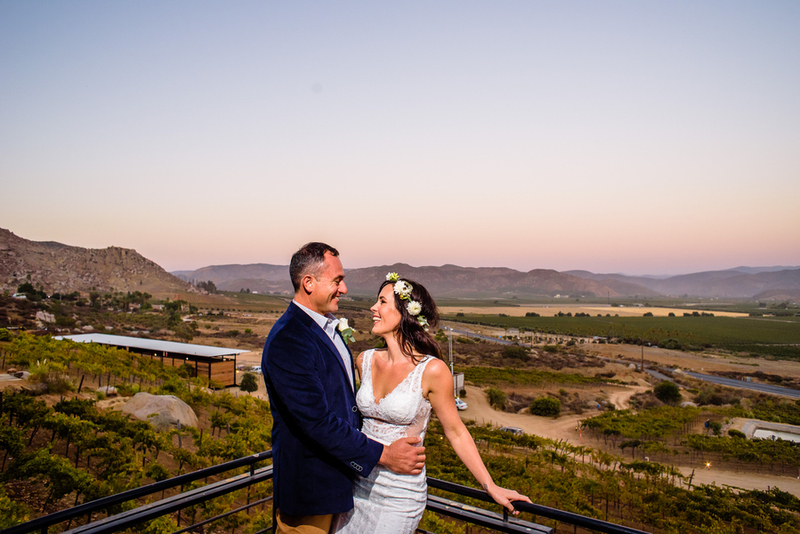 Each area of the expansive property gives you a different feel that yet they all manage to work together seamlessly to create one glorious venue. 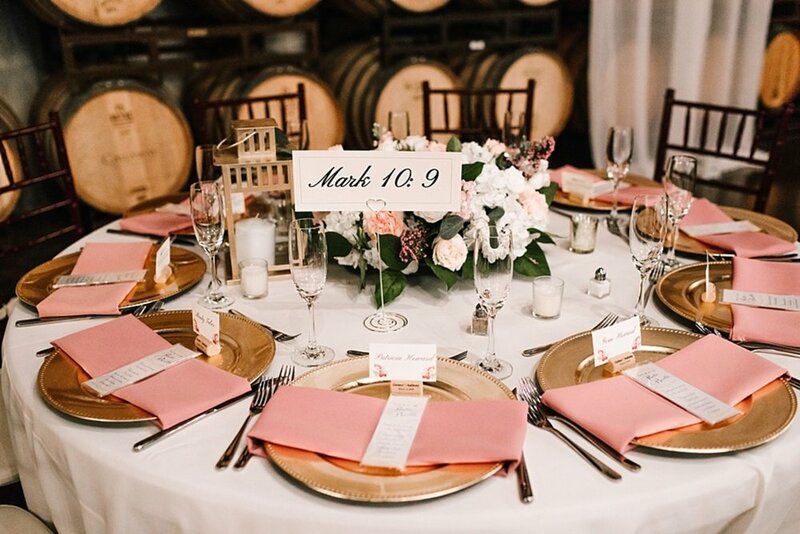 Priscilla and Daniel's winery wedding was an ode to simple touches than communicated a lot of love [and a little purple!]. 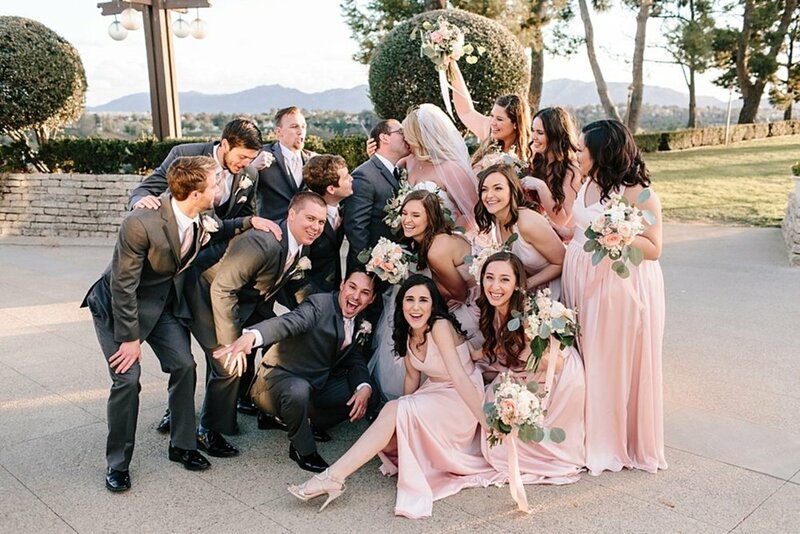 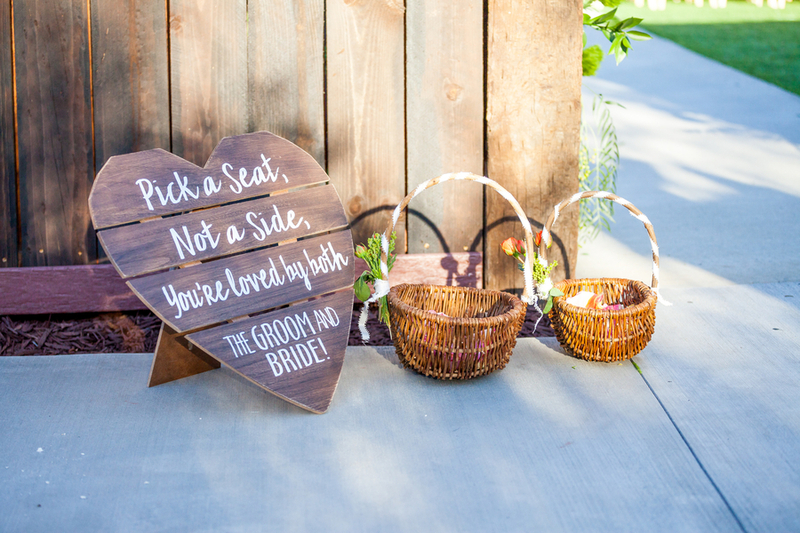 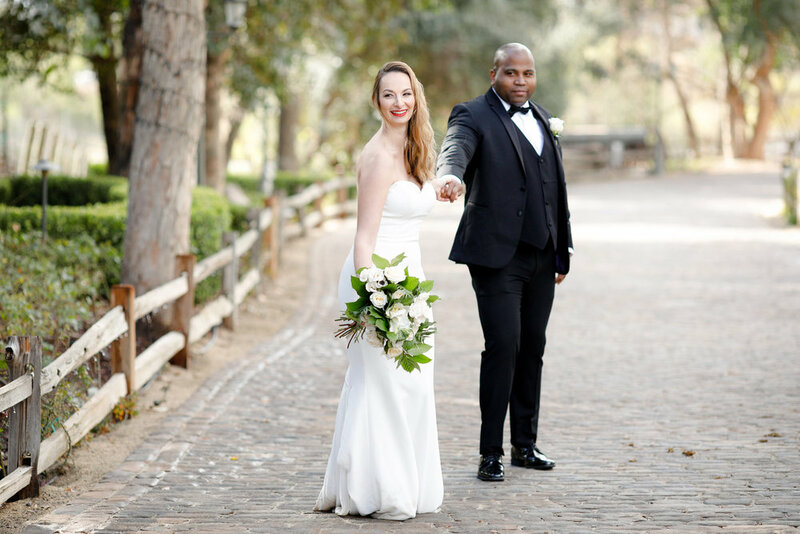 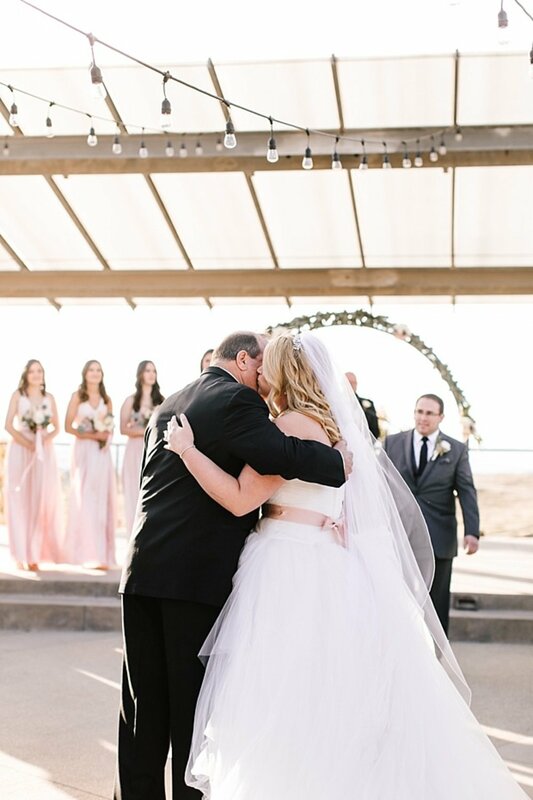 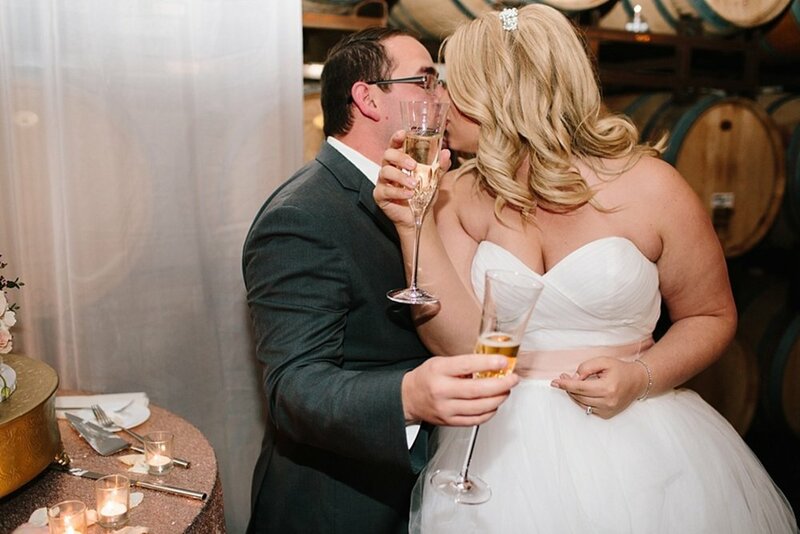 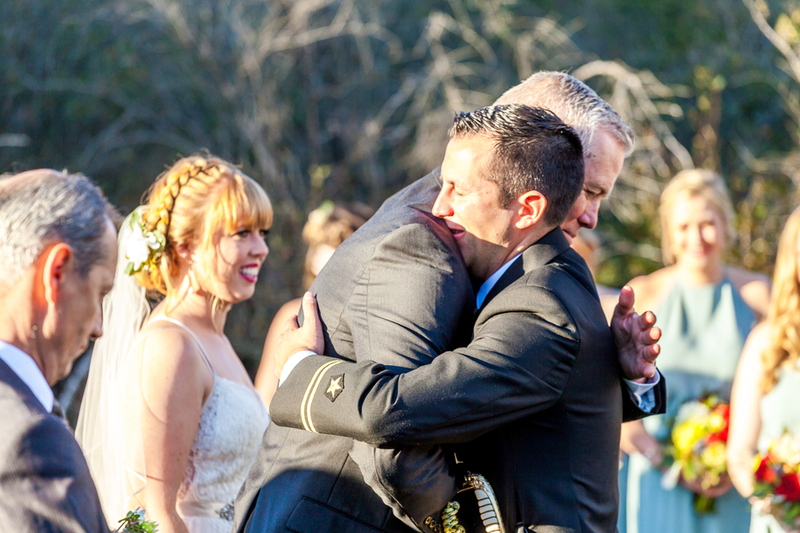 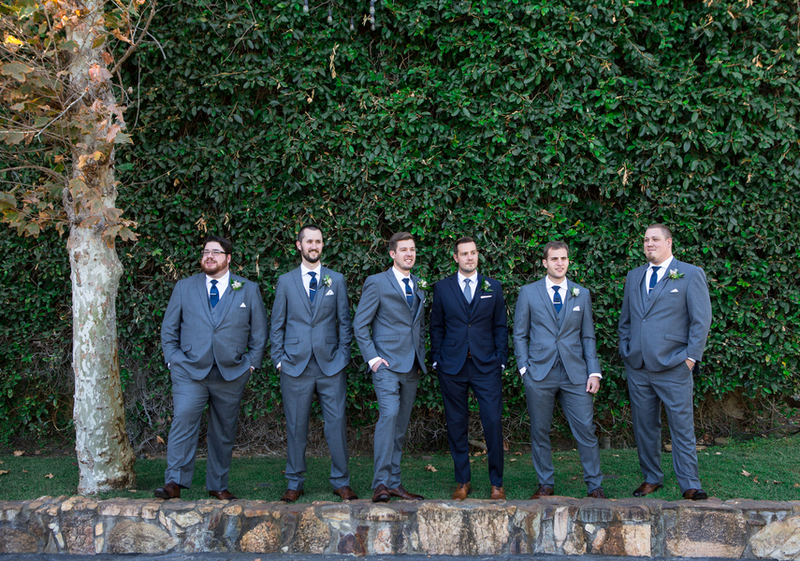 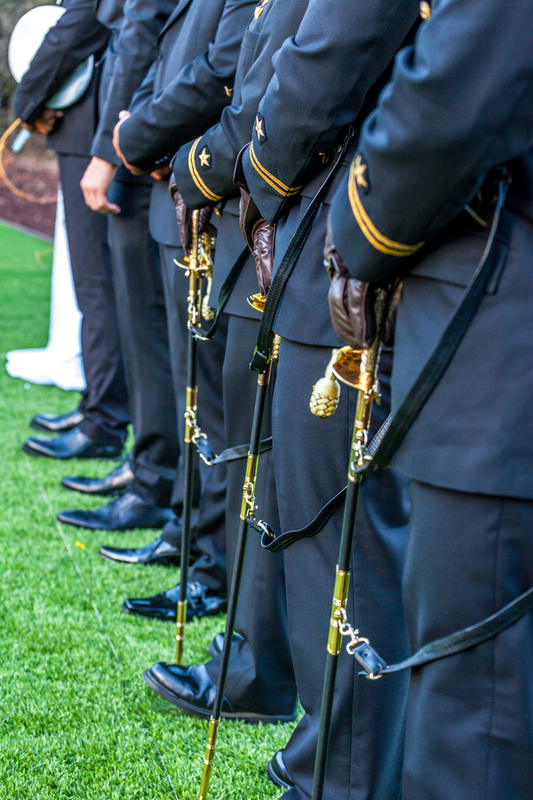 They celebrated their next step surrounded by loved ones at the gorgeous Falkner Winery wedding venue in Temecula, Ca. 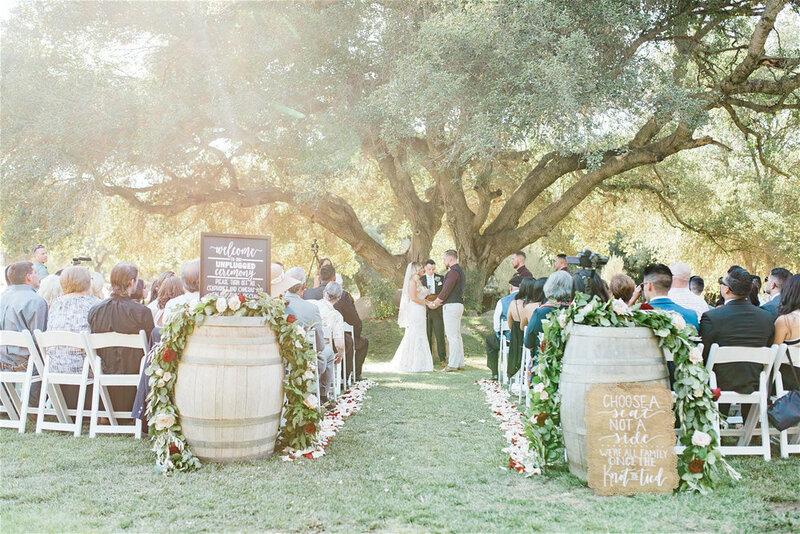 With a lawn ceremony, showcasing the rolling hills of the vineyard as backdrop, and a super fun wedding reception to follow in the restaurant, this day shone with their bright and sunny joy and love. 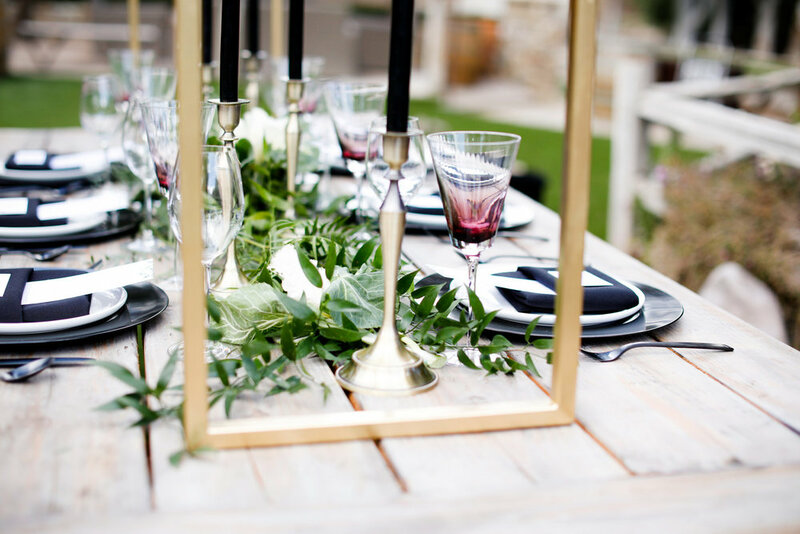 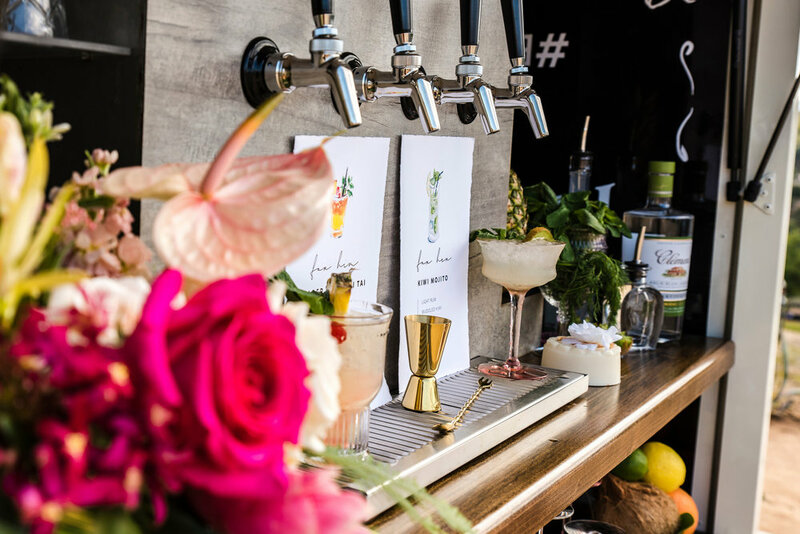 This Wedding Styled Shoot celebrates bold style and outdoor wedding glamour with a hint of Medieval charm and the MOST stunning florals! 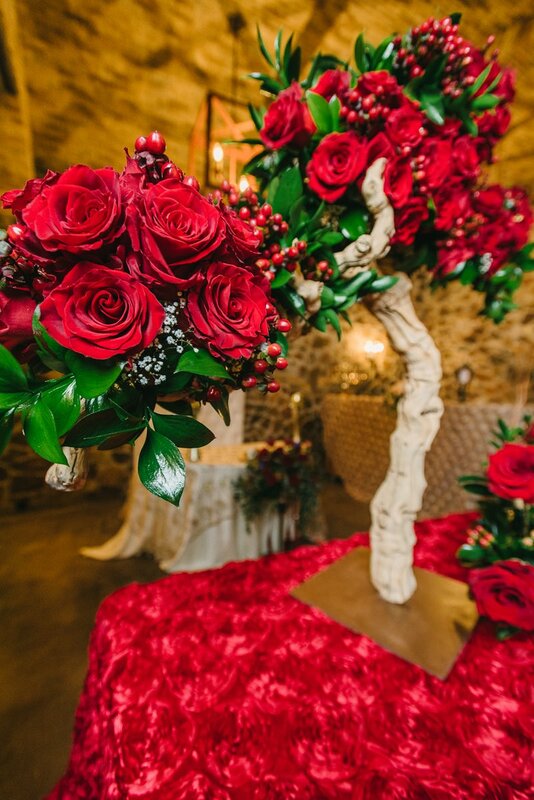 If this ultra rich and regal burgundy-toned Wedding Styled Shoot doesn't inspire you to add a little medieval flair to your wedding day we don't know what will! 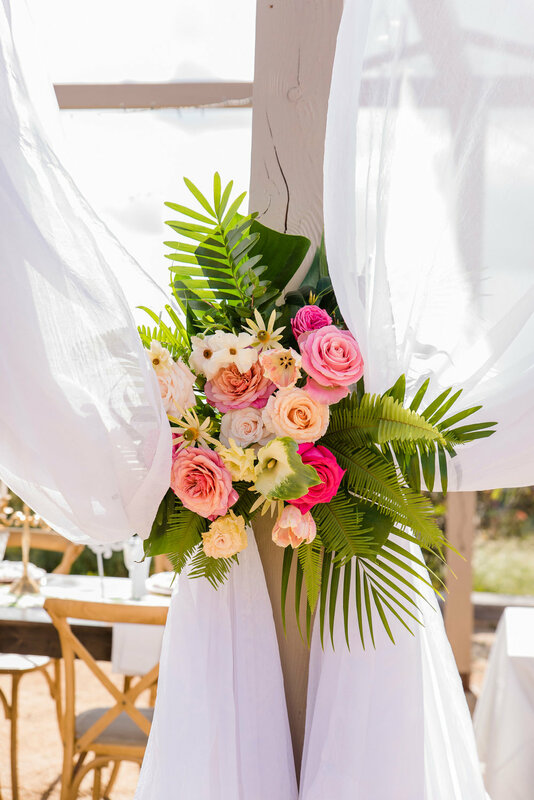 And oh my goodness that circular floral swing has us in deep crush mode! 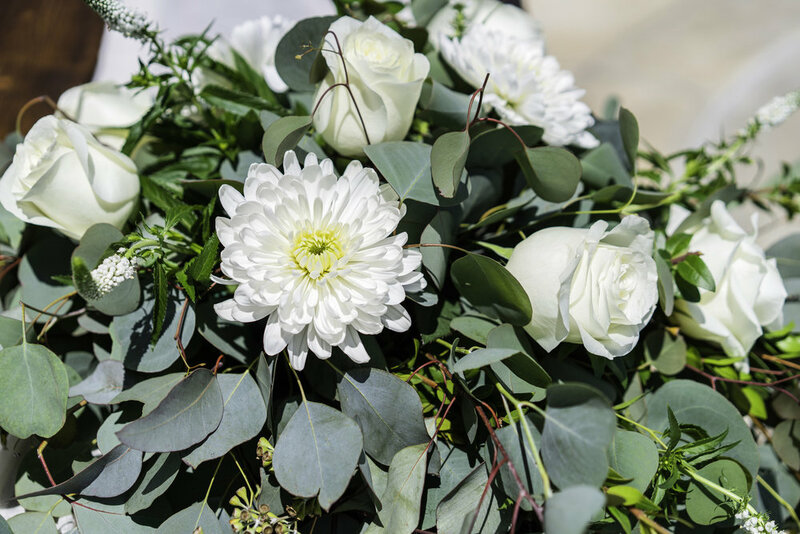 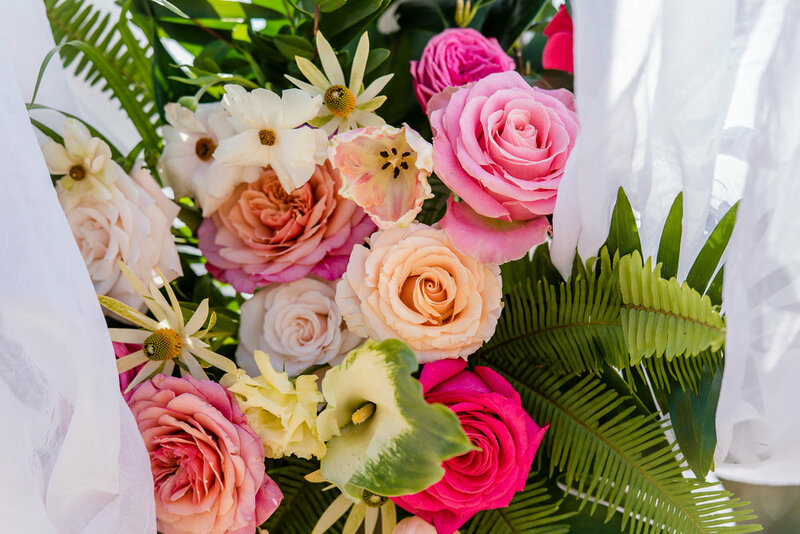 For gifted floral designers and stylists inspiration can come at any place and at any time and from any era! 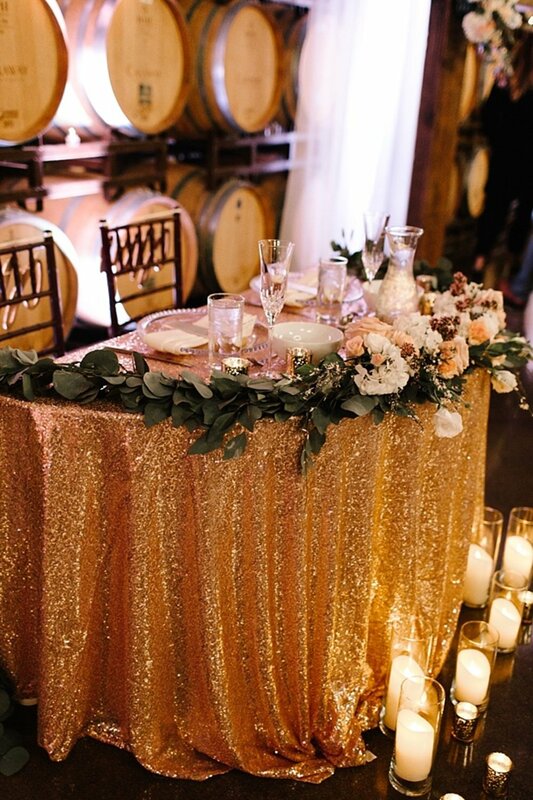 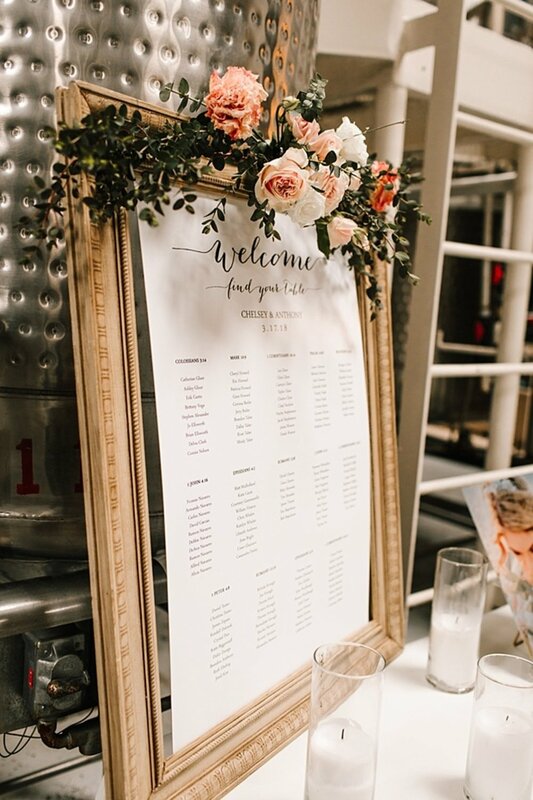 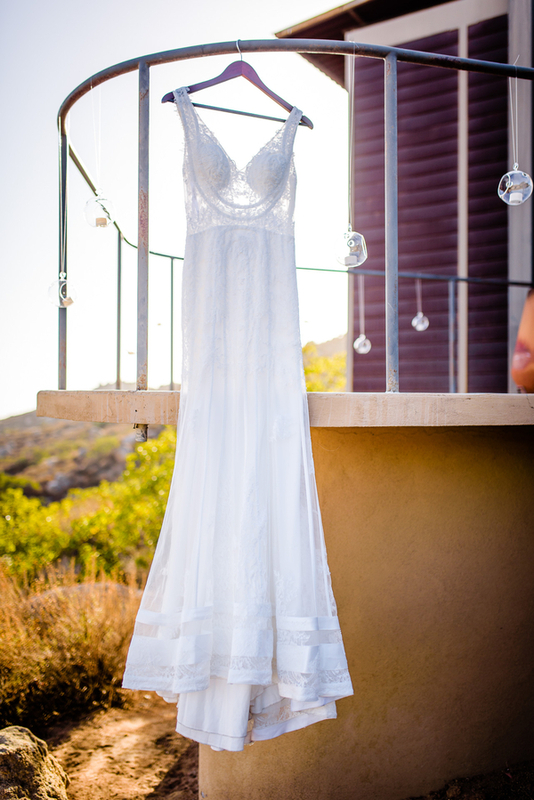 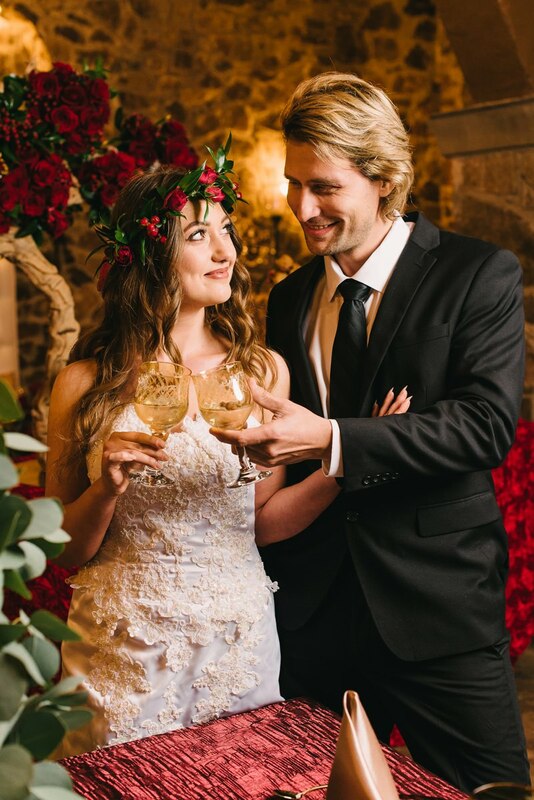 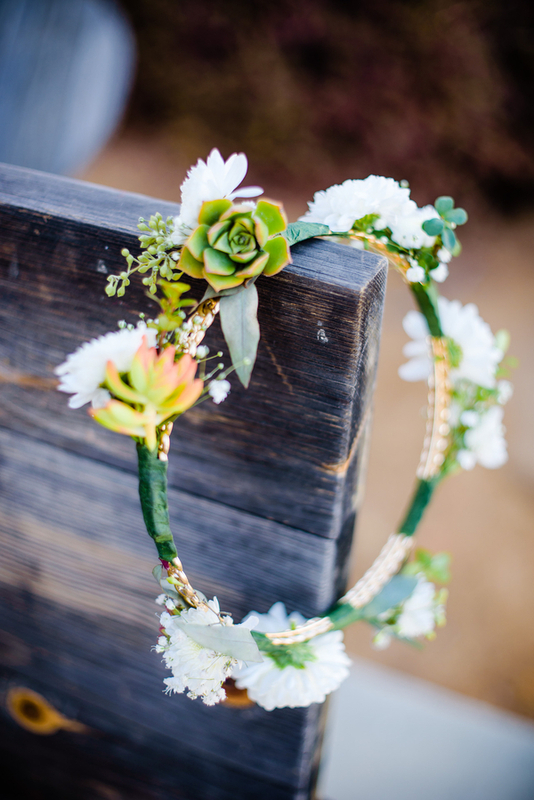 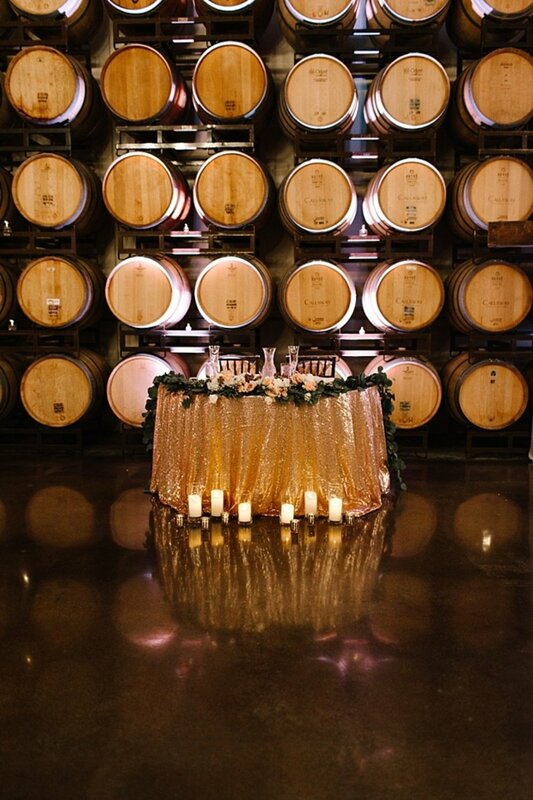 This modern take on royal medieval style for a wedding magically appeared while visiting the Milagro Winery Cave. 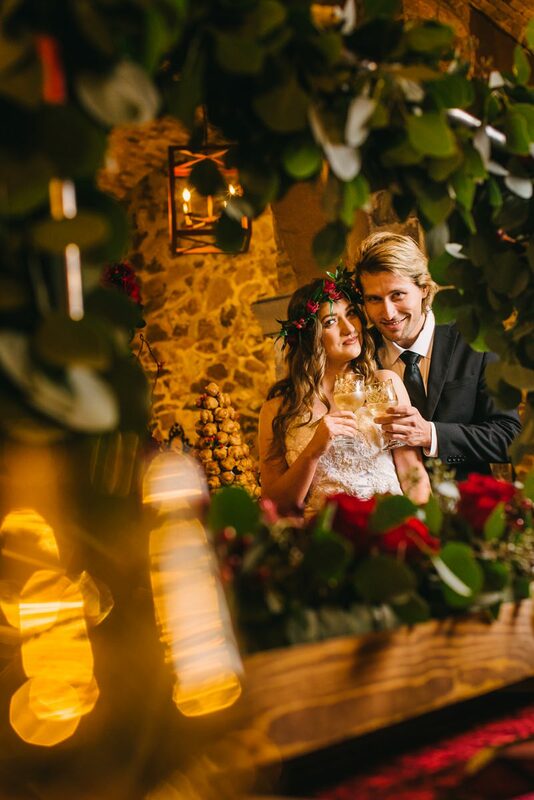 The beautiful winery cave’s interior is covered with large stone pieces and immediately transports one to an era of iron and clay, candles, and over the top lush weddings with long and hearty celebrations. 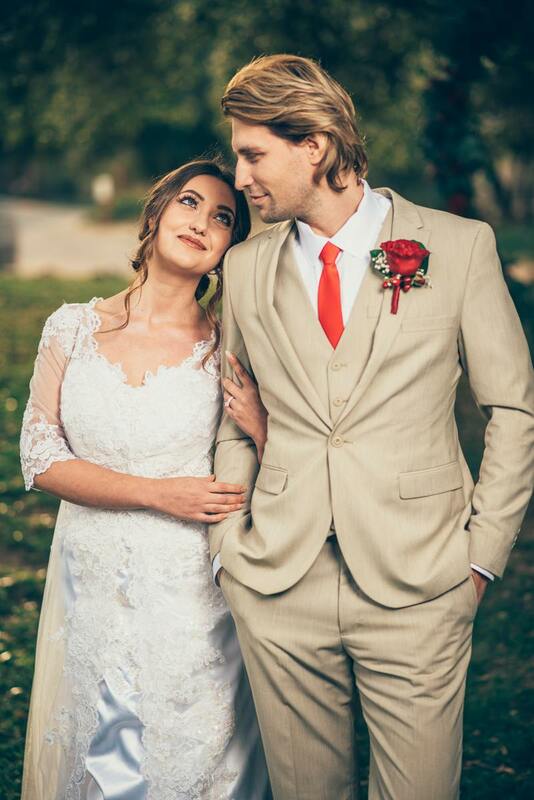 The talented wedding photographer Sergey from Red Trolley Studio captured the imagined newlyweds as if in a time machine. 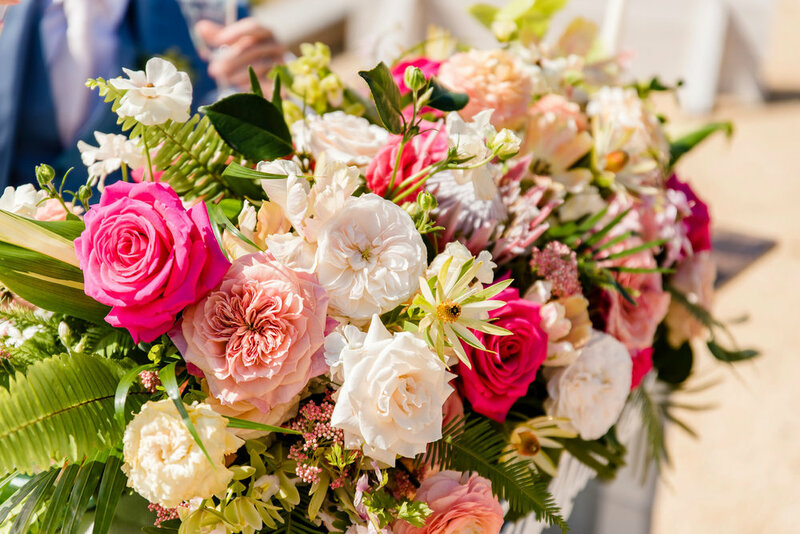 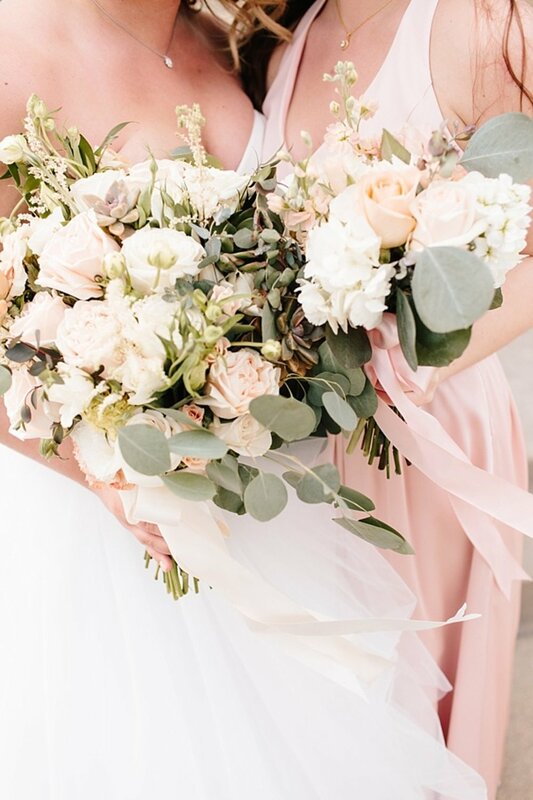 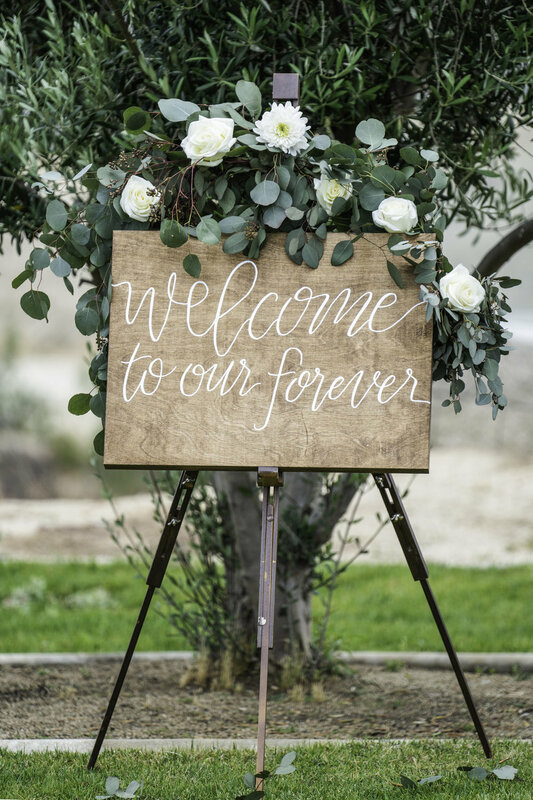 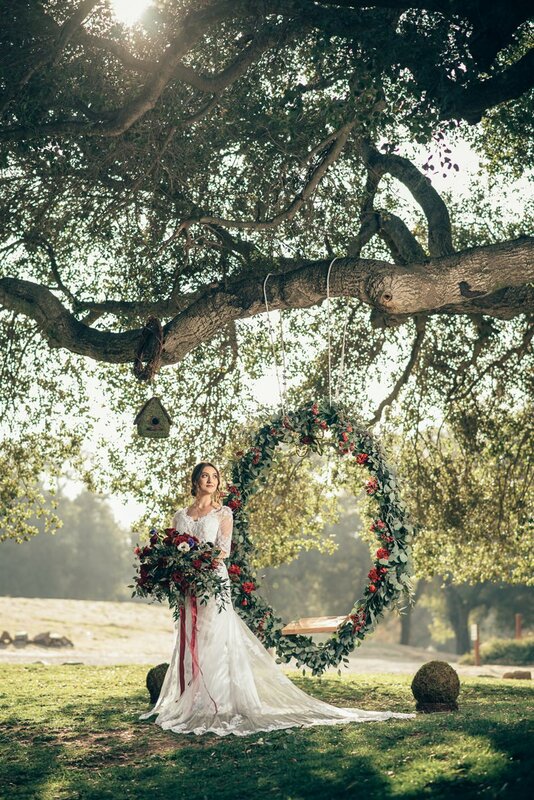 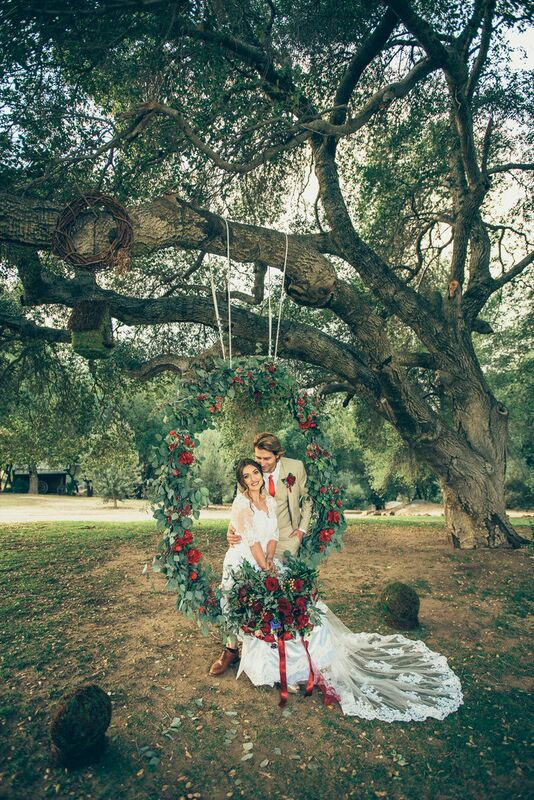 The majestic tree at Milagro Winery was decorated with a romantic vintage floral swing with rich Darcey garden roses and eucalyptus, harkening a never ending love story. 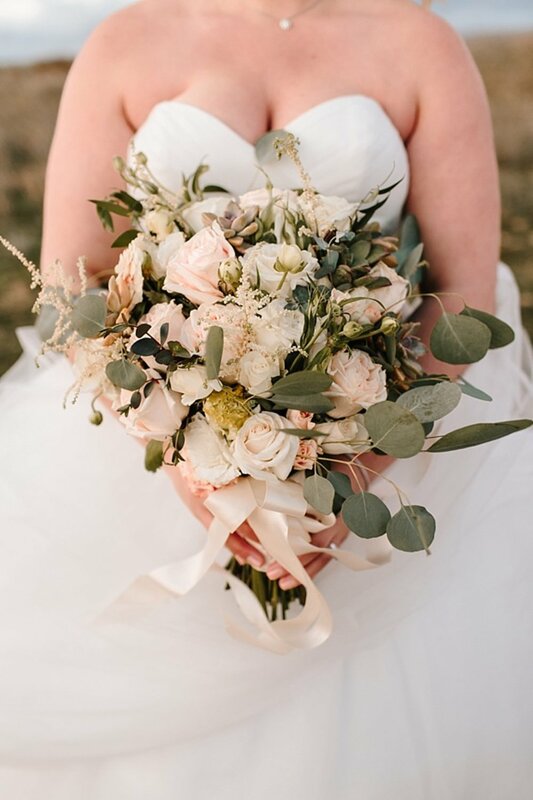 The Bridal bouquets [all fit for a queen!] 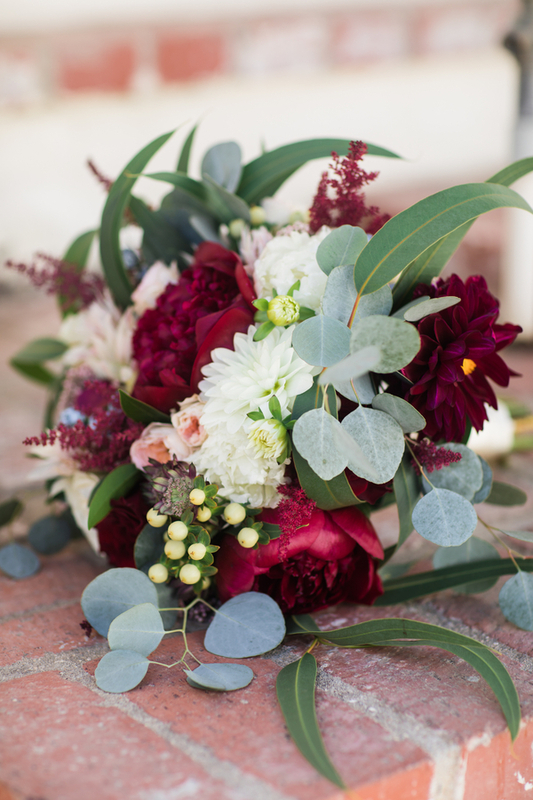 embodied true magic with a variety of textures and color tones: burgundy garden roses, Privet and Hypericum berries with a blush of anemones and seeded eucalyptus. 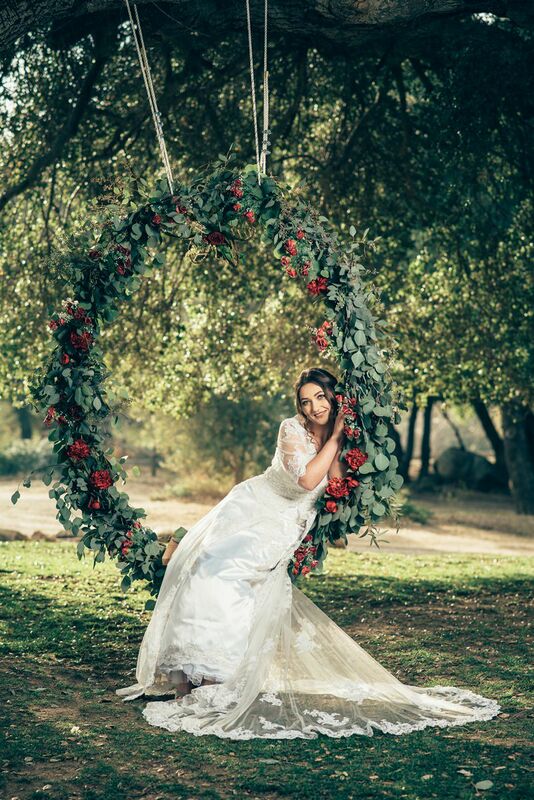 The florals in this shoot are fab-u-lous and we see a lot of wedding florals! 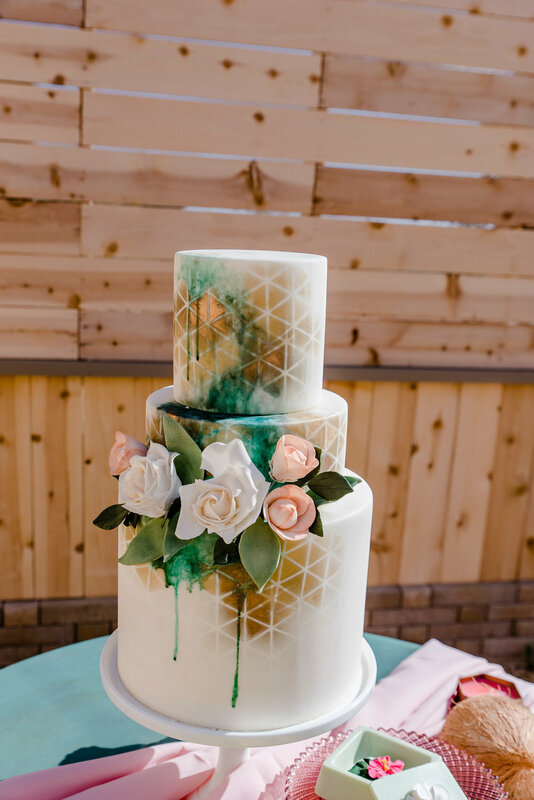 These living works of art were created and styled by the floral designer artist Tatyana Mironova Jamora of Unforgettable Florals. 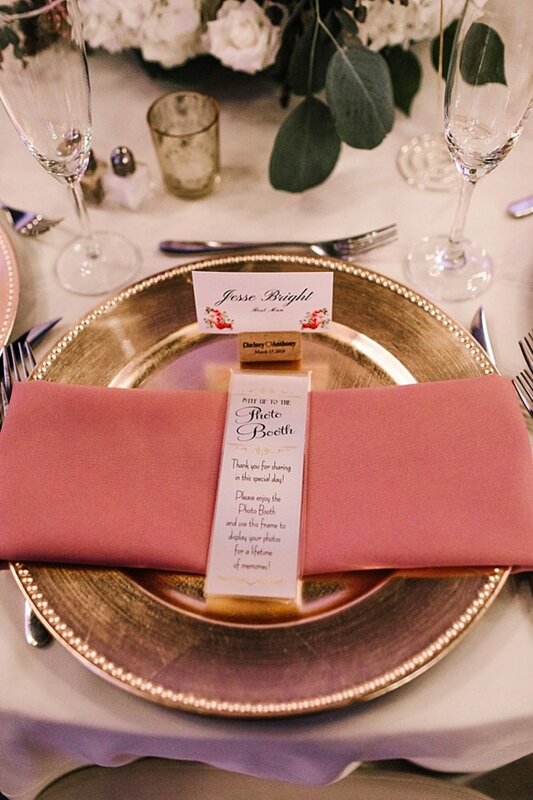 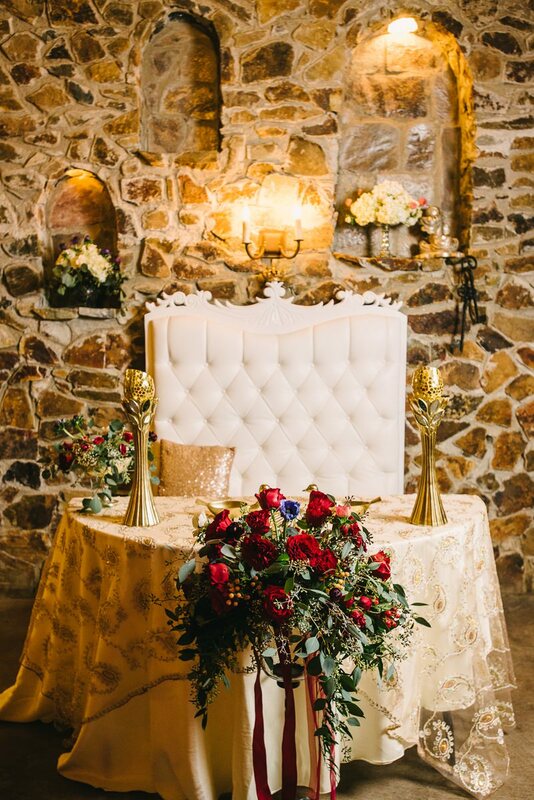 To create a medieval royal experience, Gold and Burgundy textured linens were provided by Patricia Patty’s Linen Rentals. 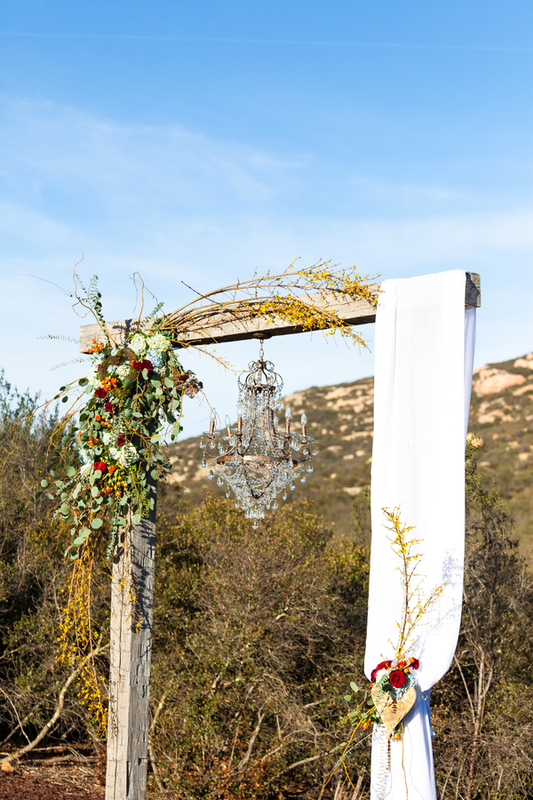 We loved the heavy iron key chains and candelabras, it just takes you back in time. 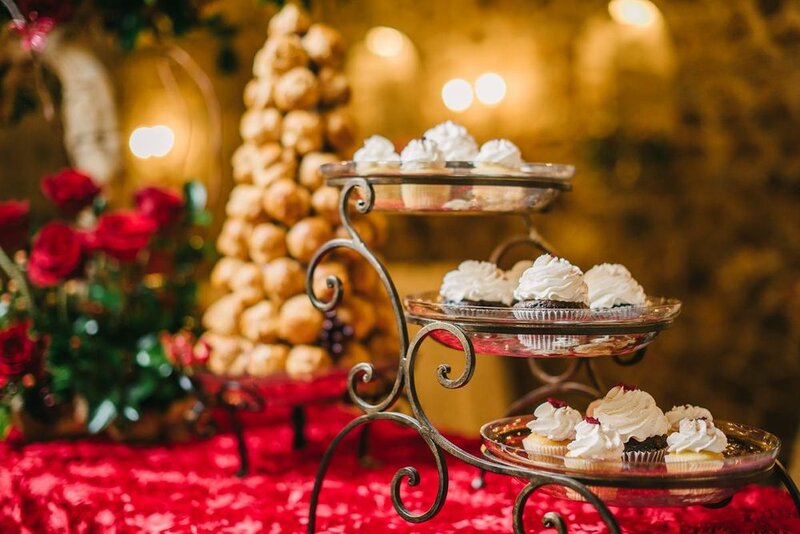 The delicious dessert Cream Puff tower [Croquembouche anyone?] 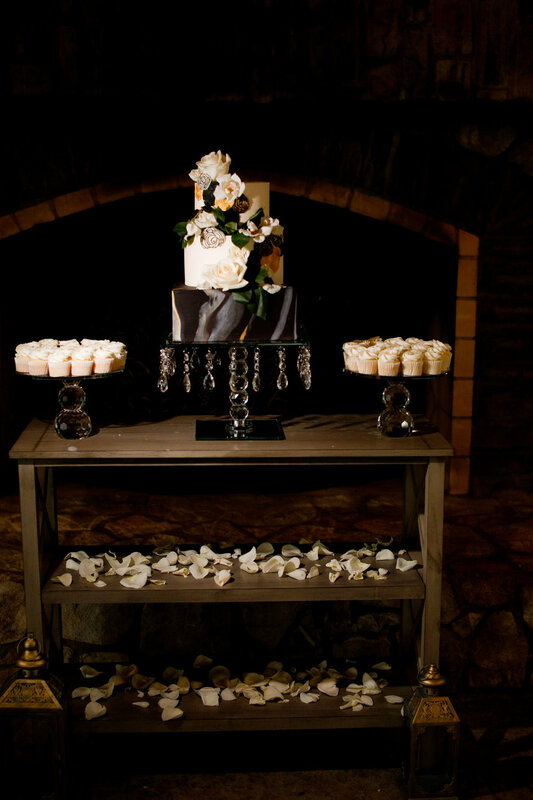 and cupcake feast were designed and provided by Joanna Page of The London Bakery. 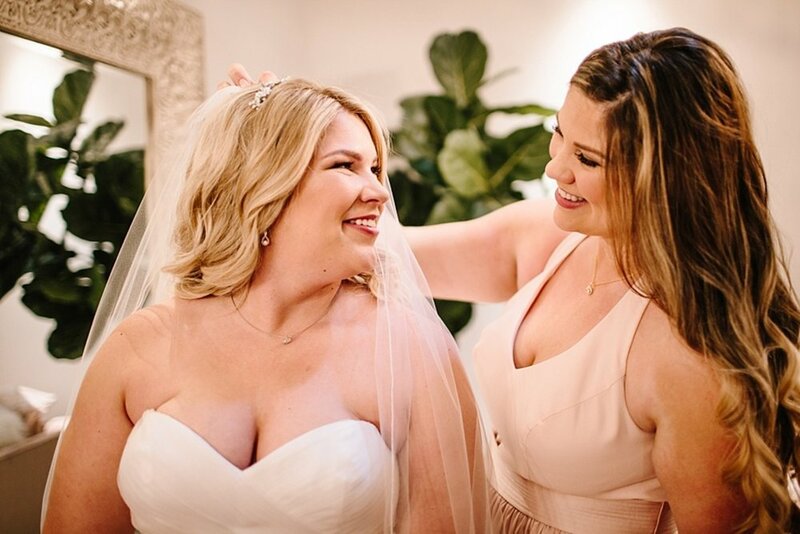 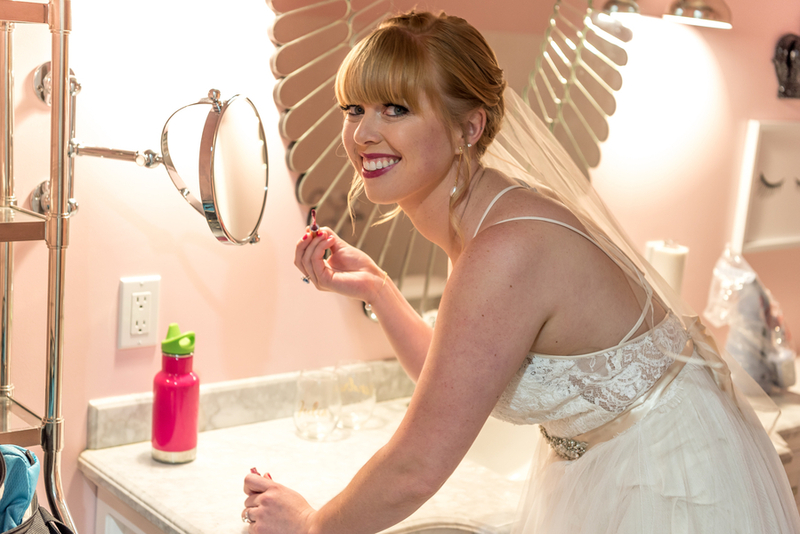 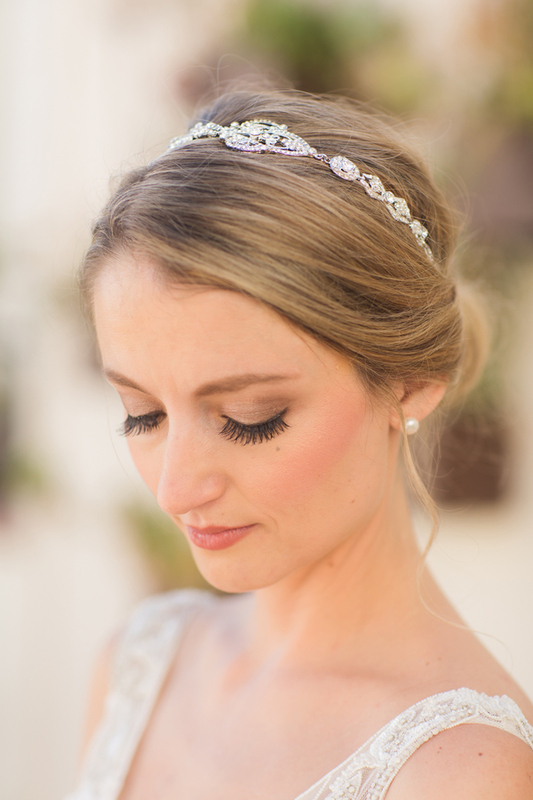 The bridal beauty makeup artist Tanya Tello and wedding hairstylist Audrey Borunda created a soft and delicate look for the beautiful bride and grooming for the dashing groom. 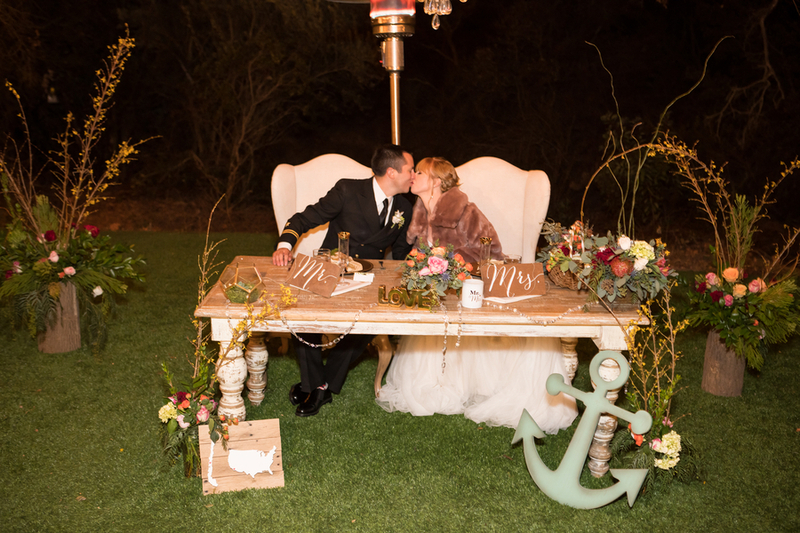 This talented team was thrilled to showcase this theme inspired ceremony at Milagro Winery - the perfect romantic setting. 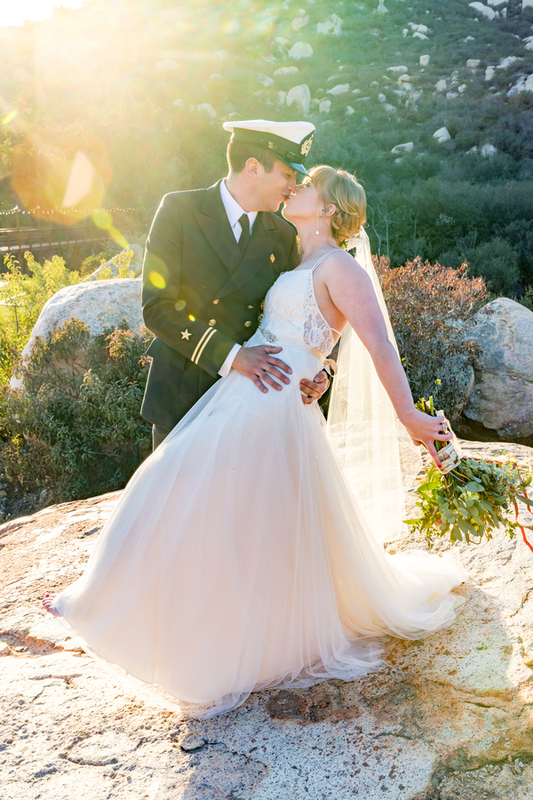 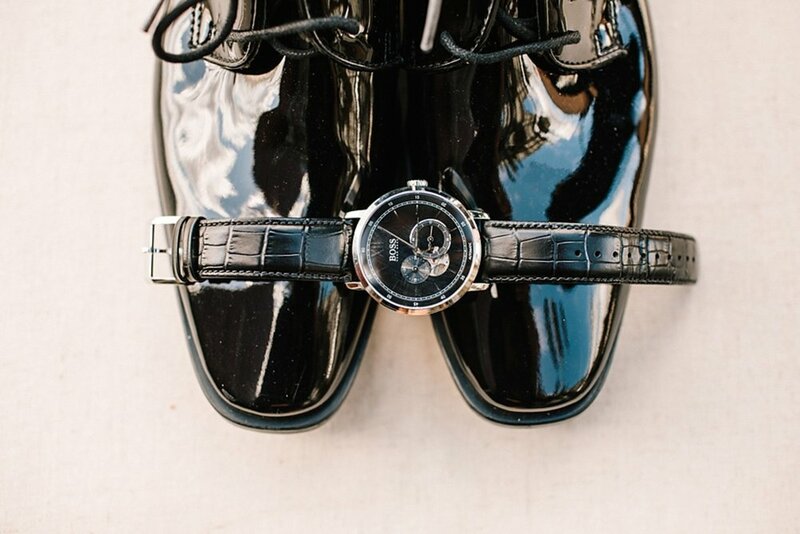 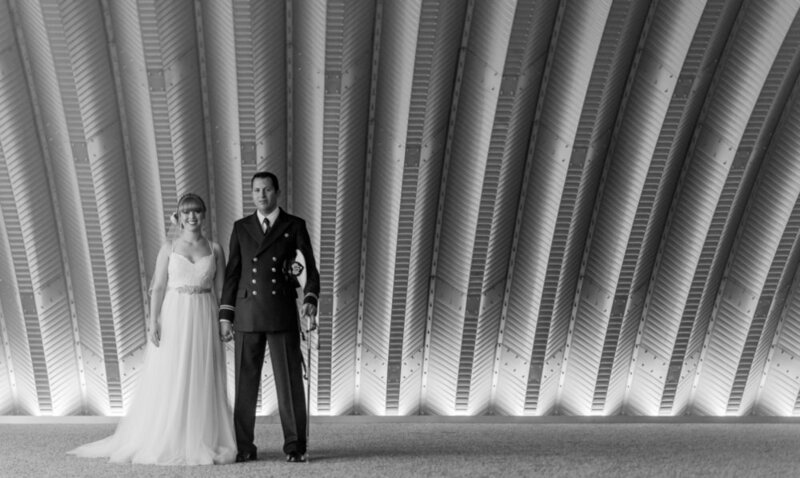 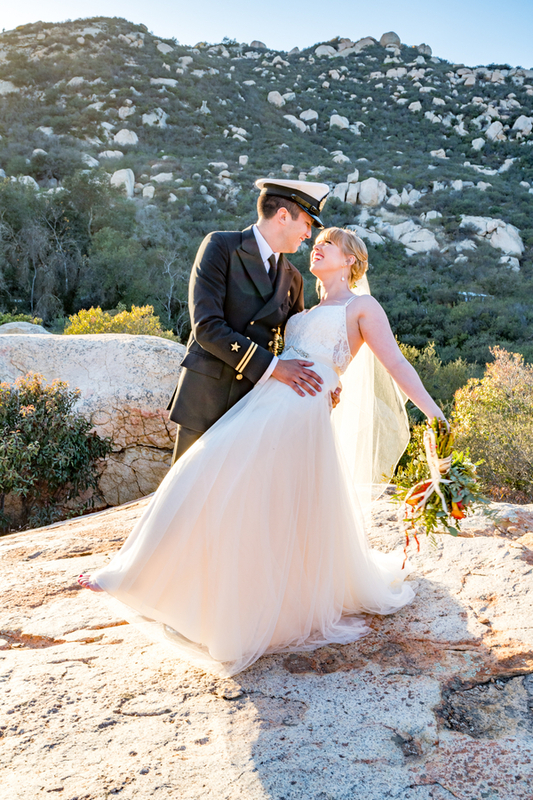 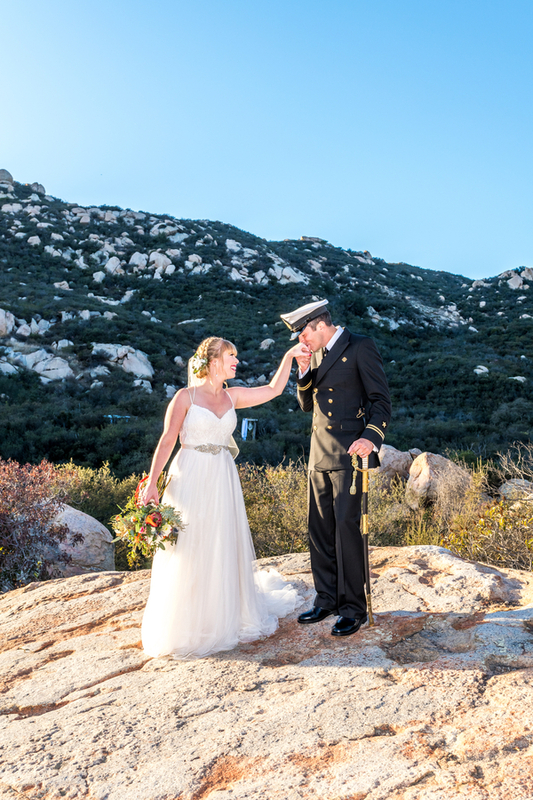 Brianna’s dress from BHLDN was a strappy A-line with a lace bodice and a tulle skirt adorned by a rhinestone belt, while Eric was looking quite sharp in his Navy Dress Uniform. 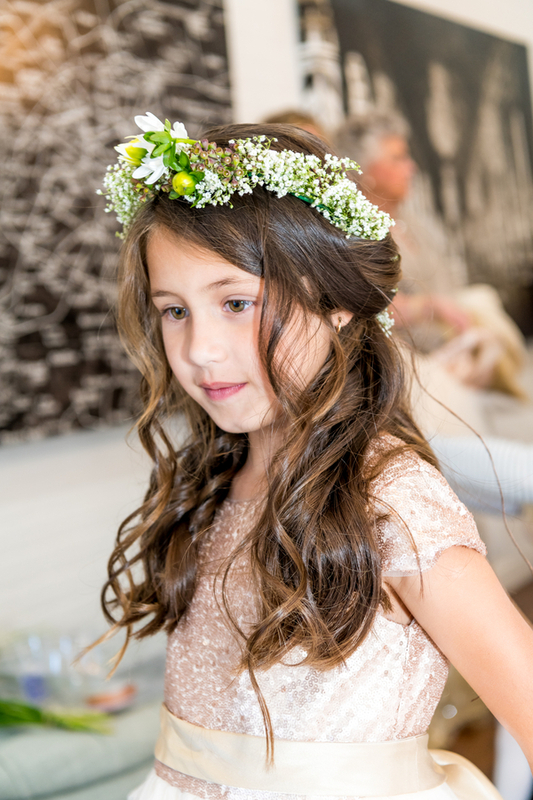 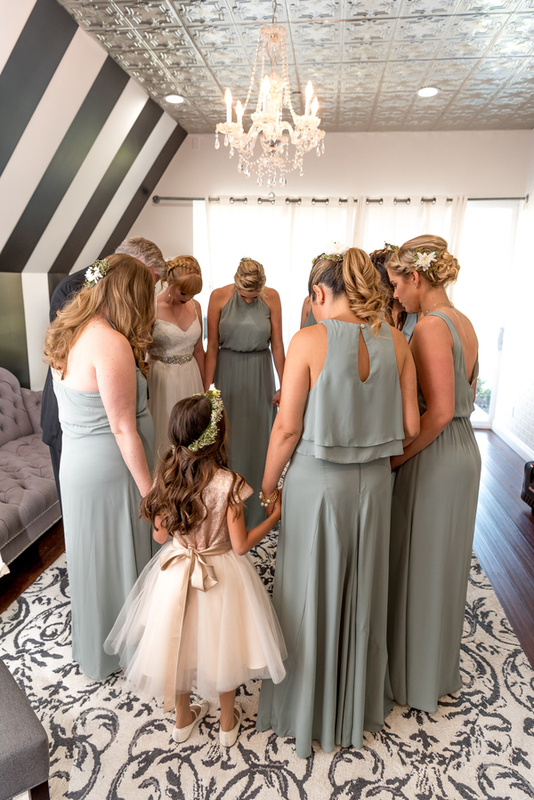 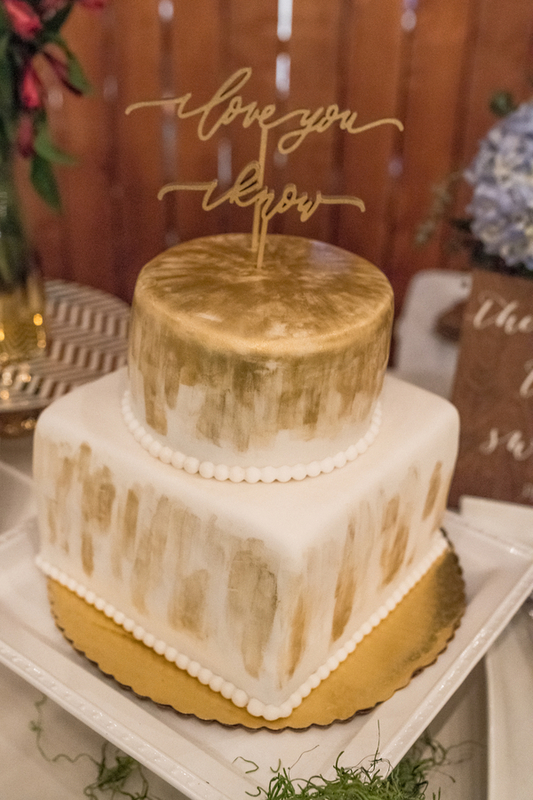 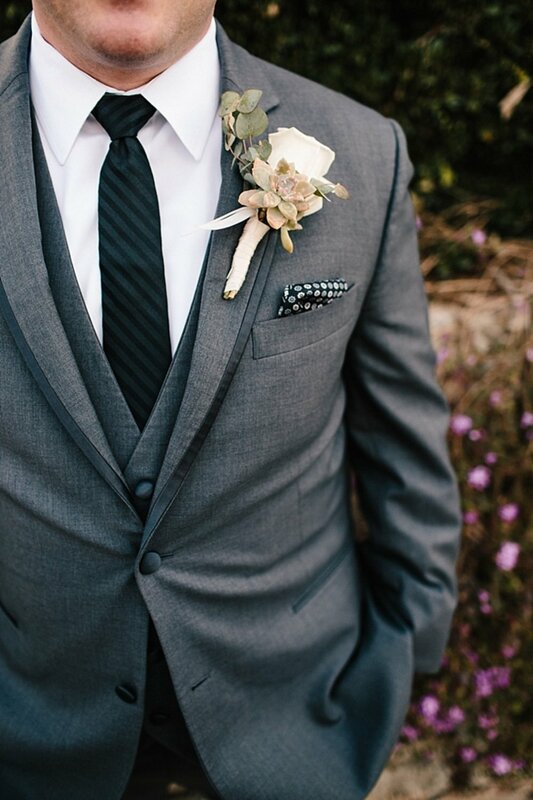 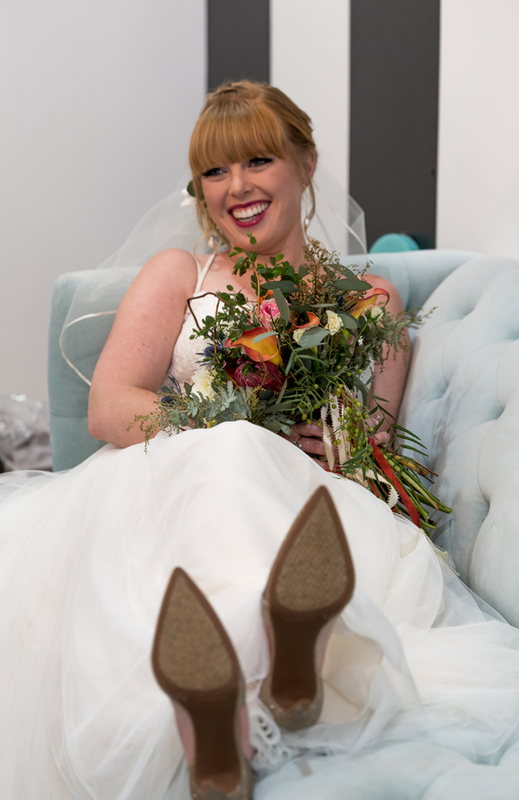 Says EMRY Photography [who really has a great eye for color!] 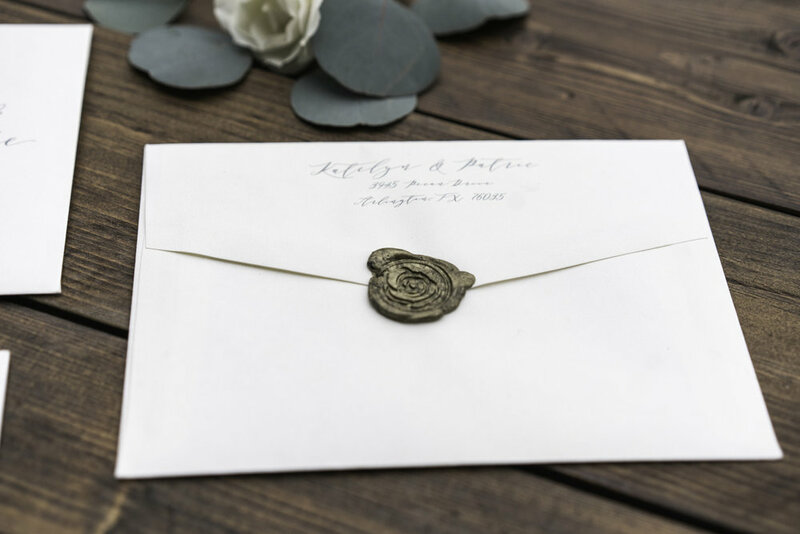 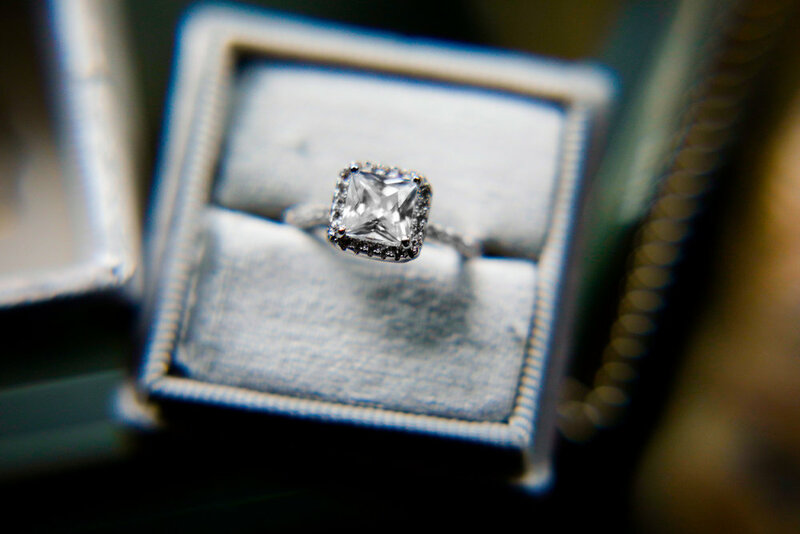 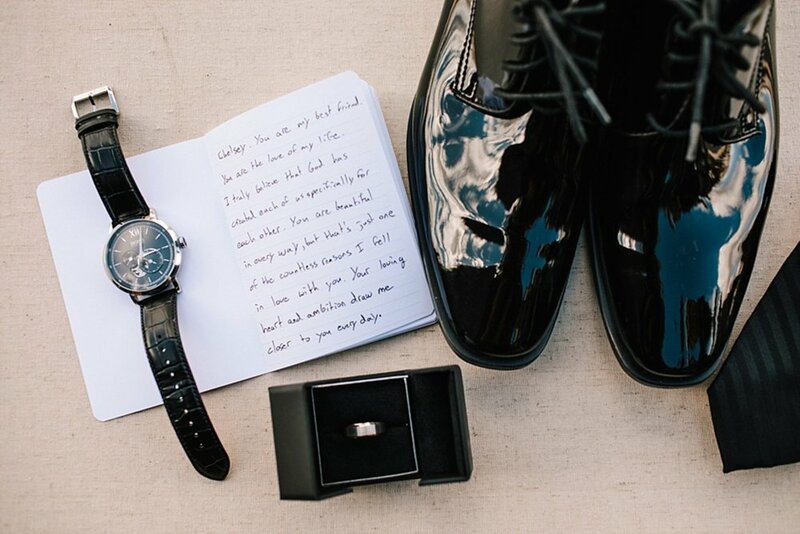 "Brianna and Eric decided to do a “first look no look”, where they could exchange gifts they had for each other and say some last minute words to each other before it was time for I-do’s. 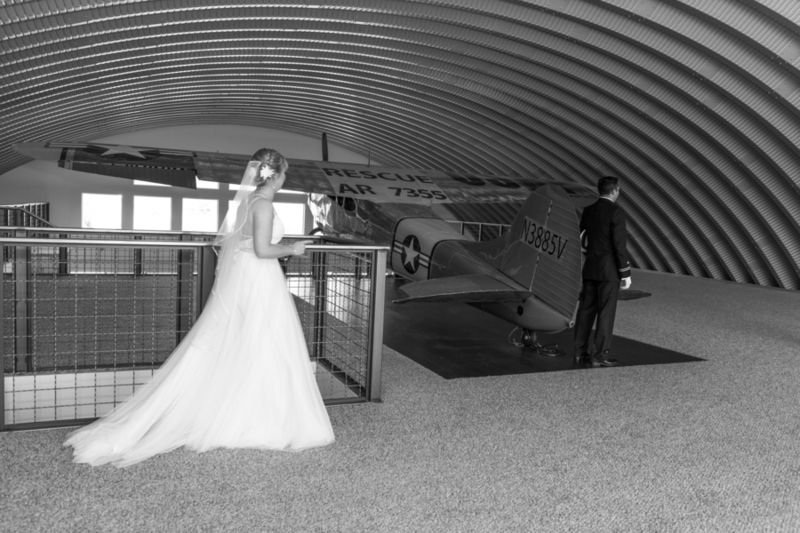 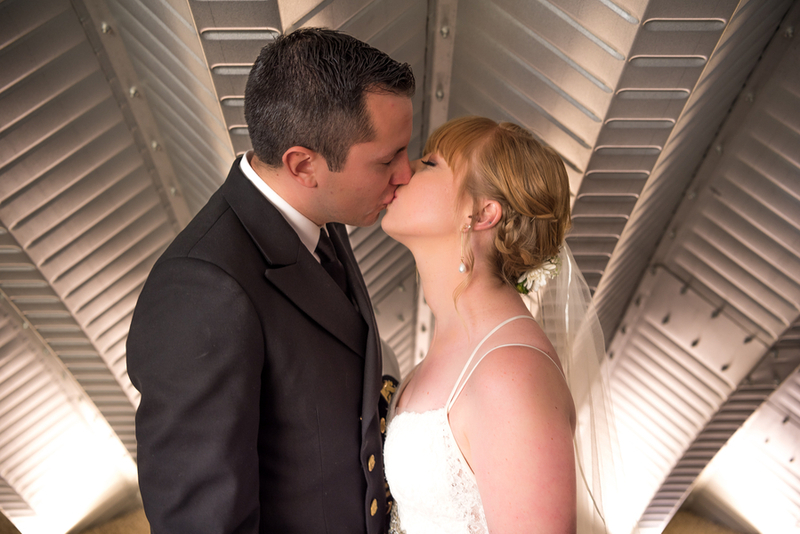 Brianna made her way from the bridal suite to Eric waiting upstairs next to the awesome antique fighter plane located in the loft of Aviation. 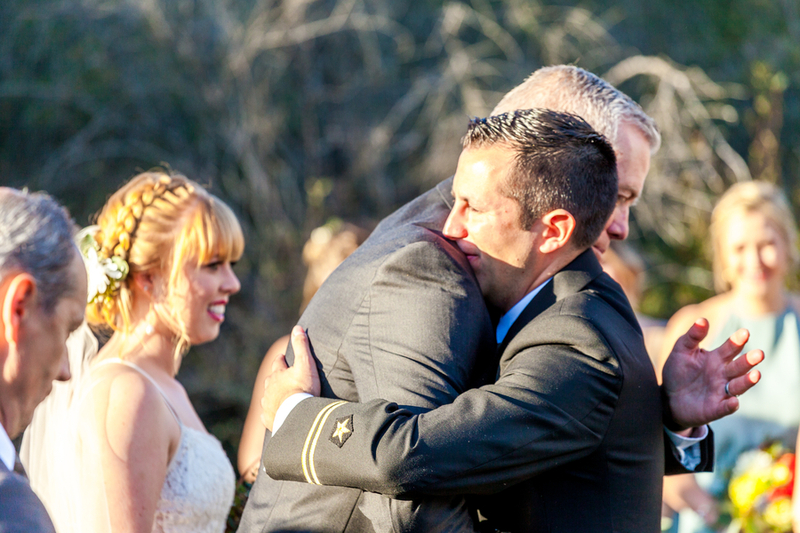 It was touching to see them both holding back tears standing back to back. 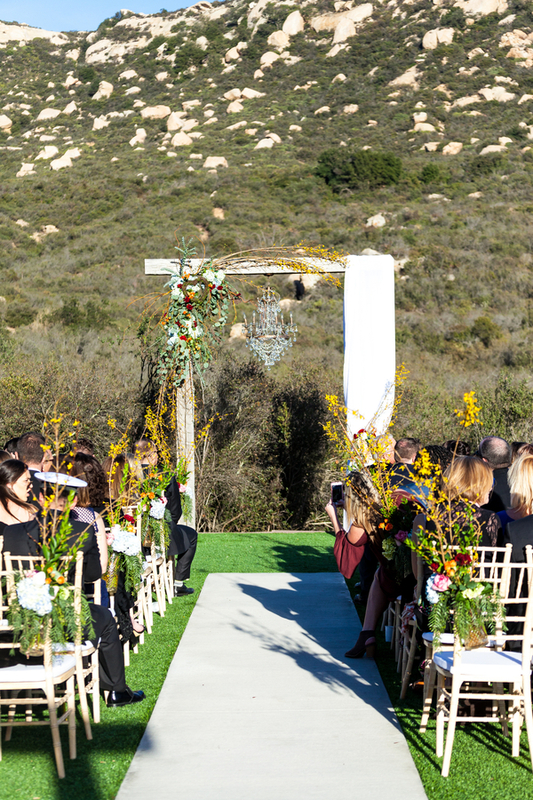 The time came to head across the bridge to the ceremony site, where florist Romy Abouni blew everyone away with her art. 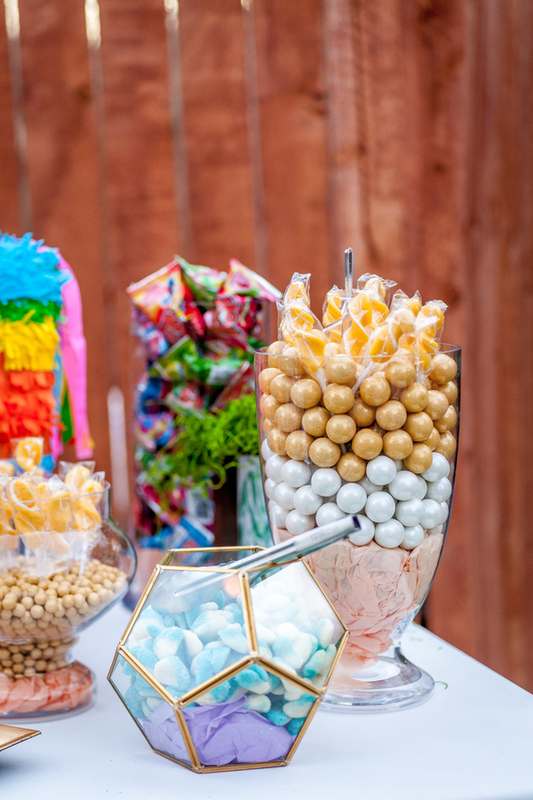 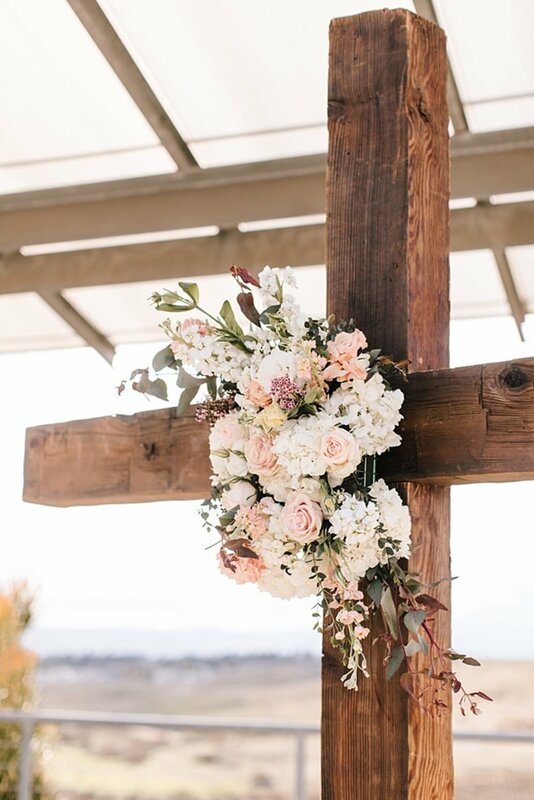 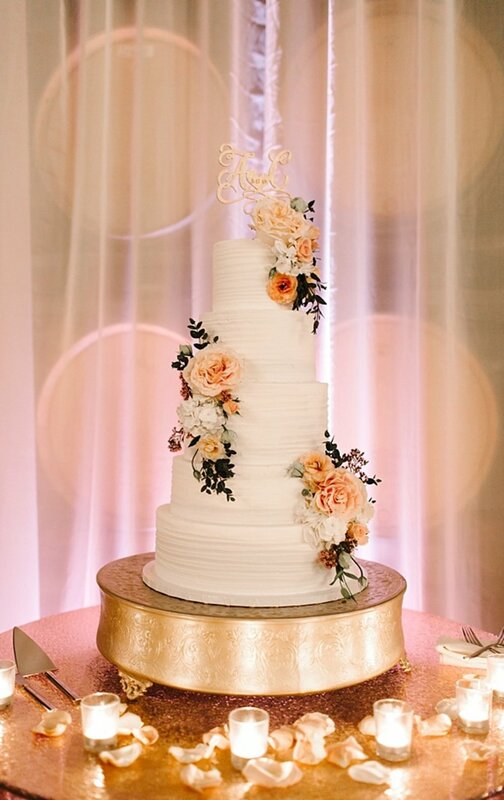 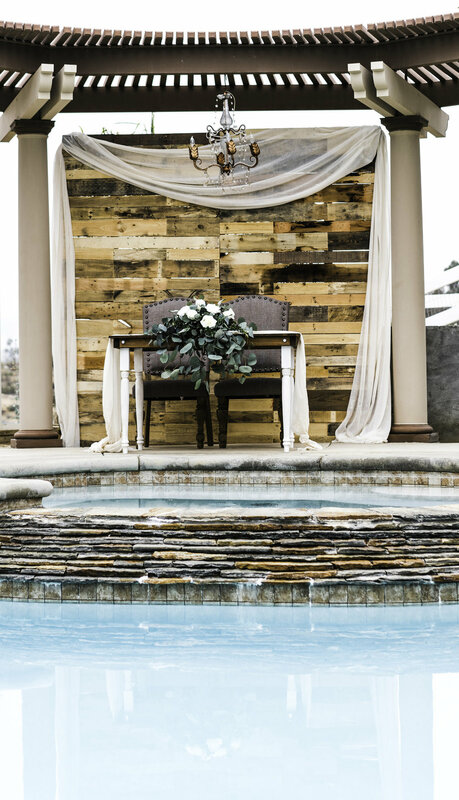 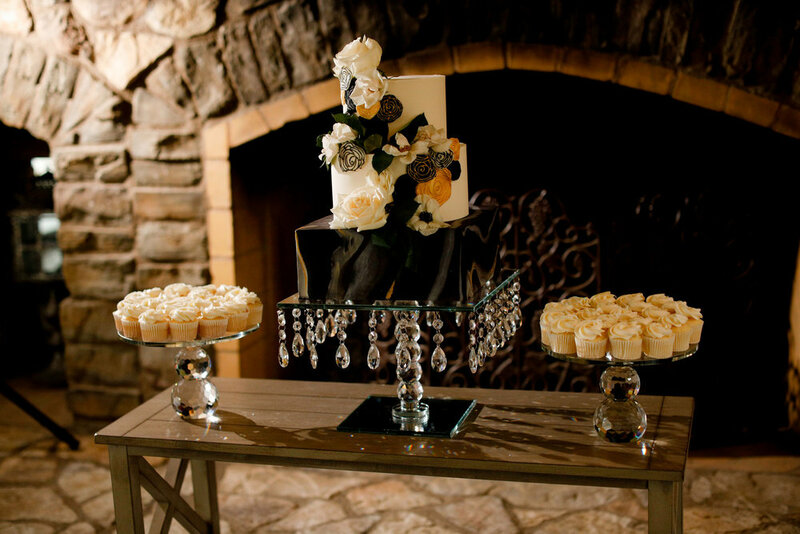 The rustic feel she brought to the arrangements tied in beautifully with the rocky mountain backdrop, featuring splashes of orange, yellow and dusty blue. 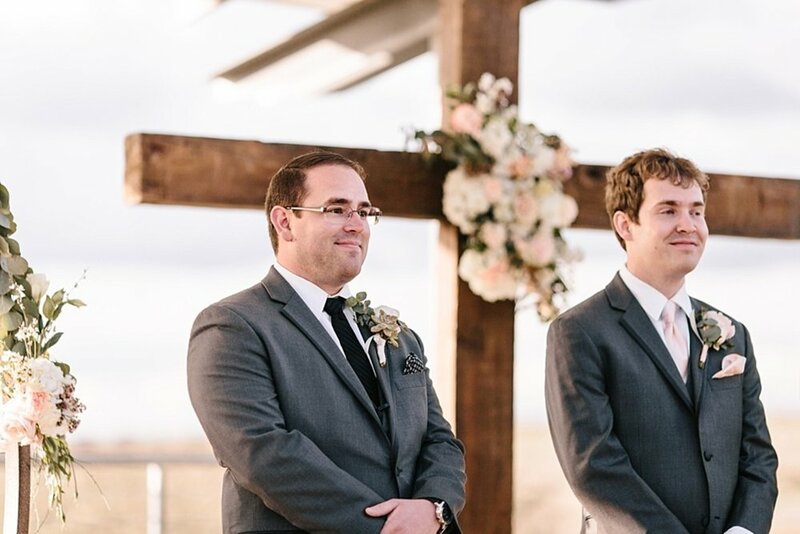 Being that Eric is from Chile, many of his family and friends who made the long trek to San Diego for the wedding are Spanish speaking, so it was really cool that the ceremony was recited in both English and Spanish for all to enjoy. 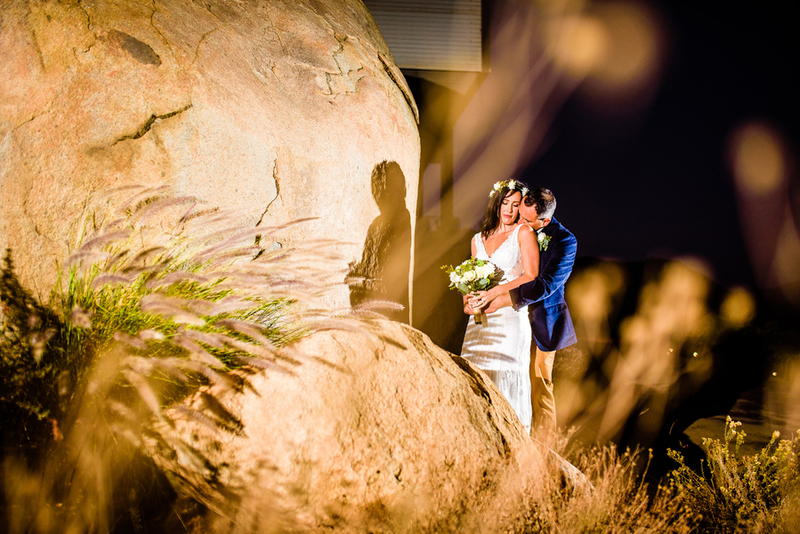 After the ceremony guests enjoyed cocktail hour while the couple and photographer EMRY did some off roading to catch some epic golden hour photos atop the rocks overlooking the property until it was time for the grand entrance. 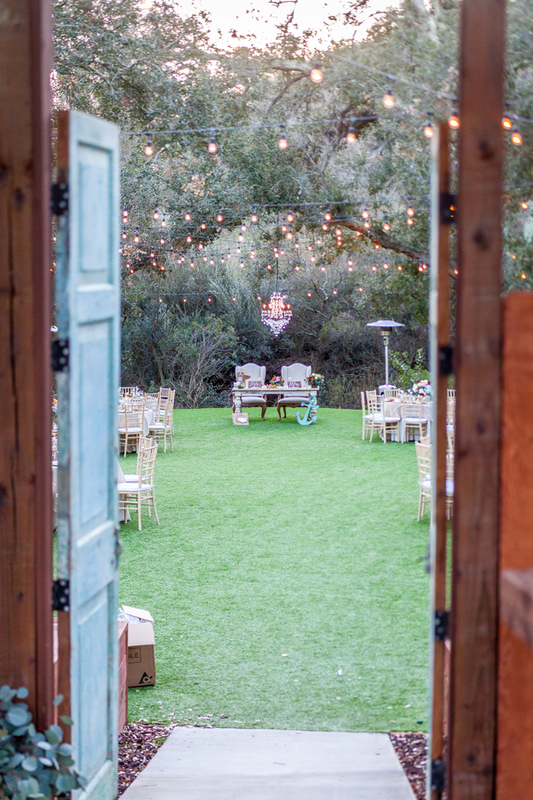 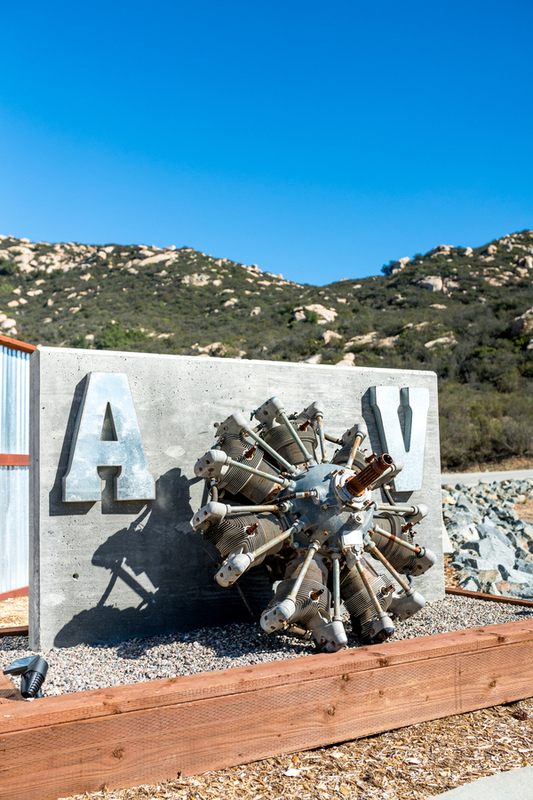 Entering through the antique doors into the reception site at Aviation Vineyards is like entering into a secret garden and unlike anything you will find in San Diego. 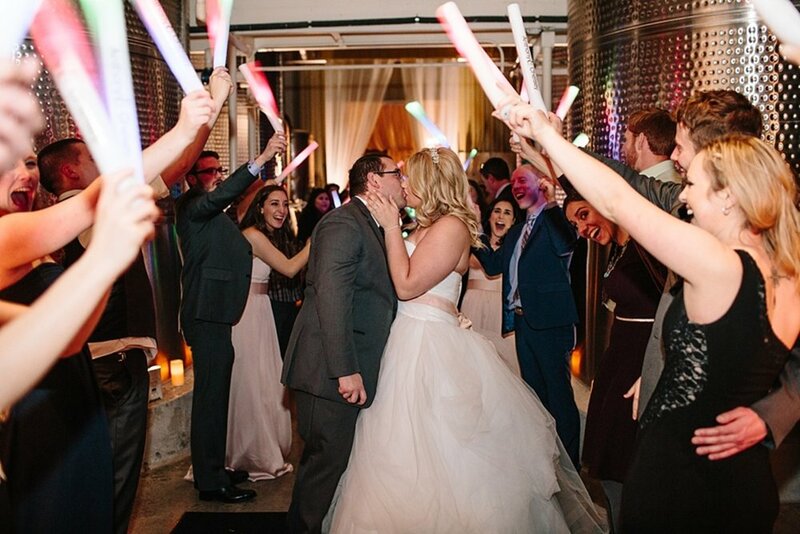 The ambiance set by a overhead ceiling of market lights strung from tree to tree sets the mood for the love and laughter to come that night. 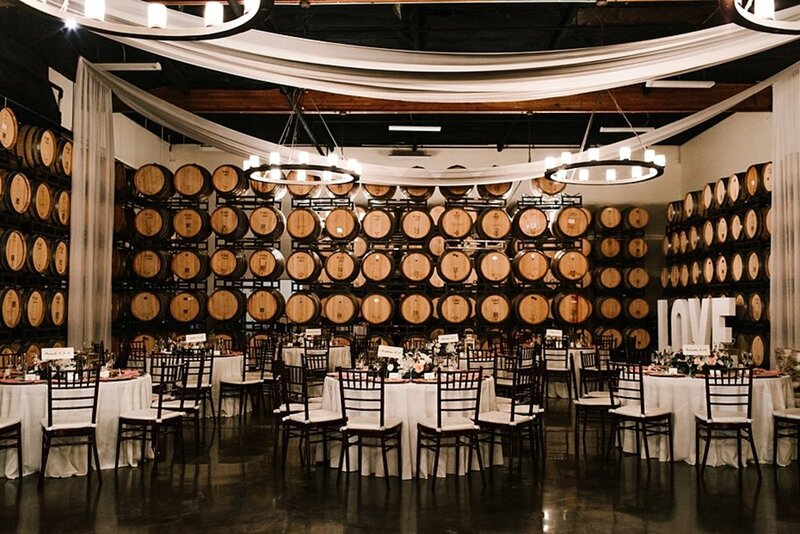 Being San Diego wedding photographers people outside of San Diego always assume, Warm Warm Warm year round, well this night was a little on the colder side, but thanks to some heaters placed throughout the space, the drinks flowing, tasty warm food from the in house caterer Temecula Catering, and a dance floor that was rocking all night, everyone stayed comfortably warm. 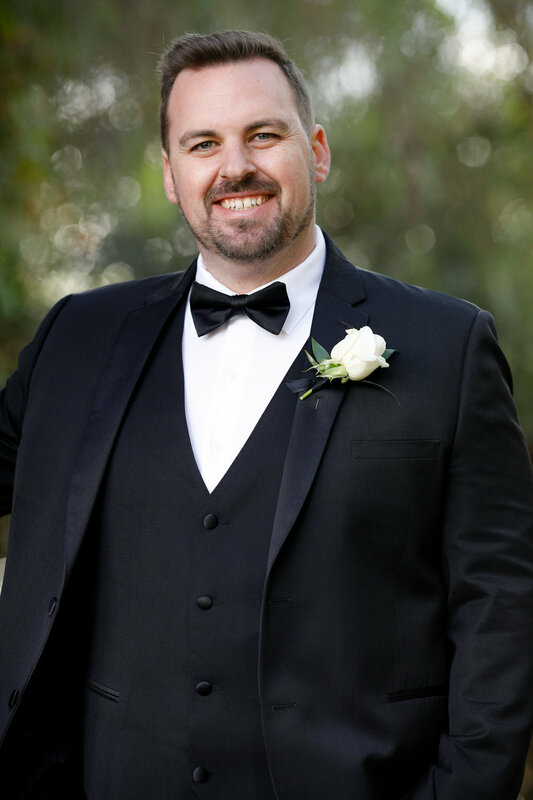 Music was provided by the talented Adam Trigg from Pacific Entertainment in Temecula, CA . 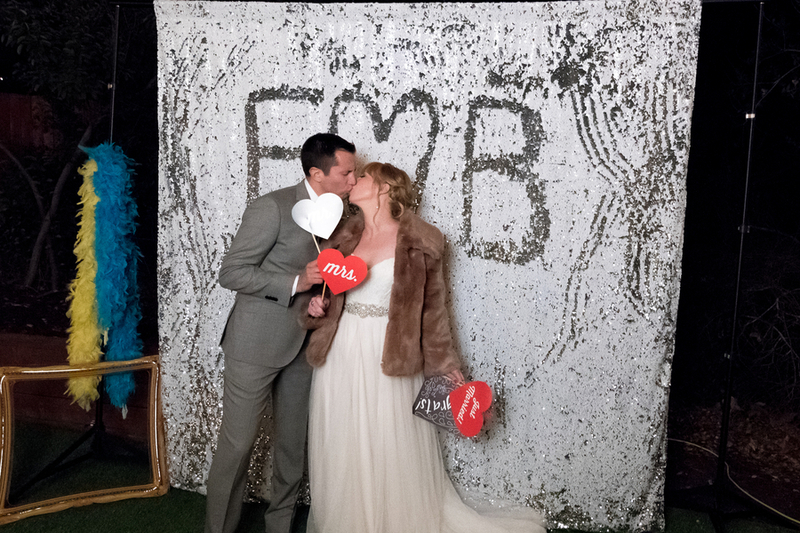 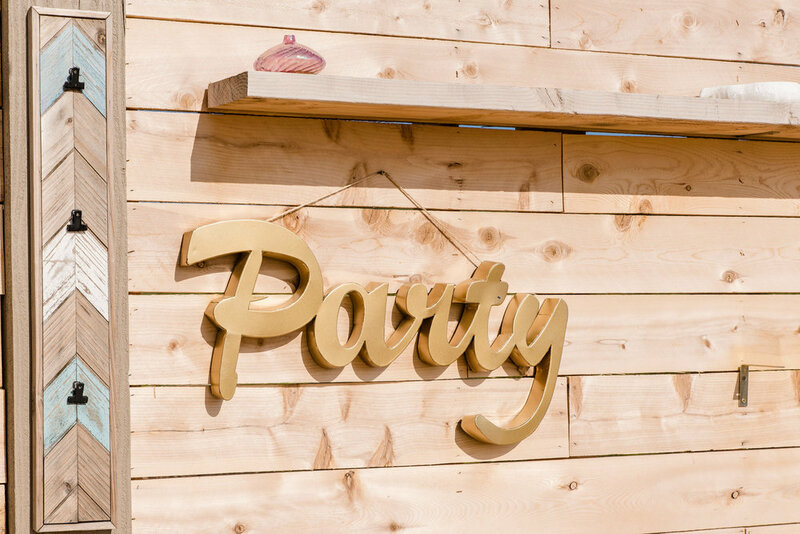 And for those who aren’t the dancing type, or just needed a breather, we provided our photo booth where guests could get a keepsake print of themselves, and paste a copy of their images into a album for the couple along with a little message for the newlyweds." 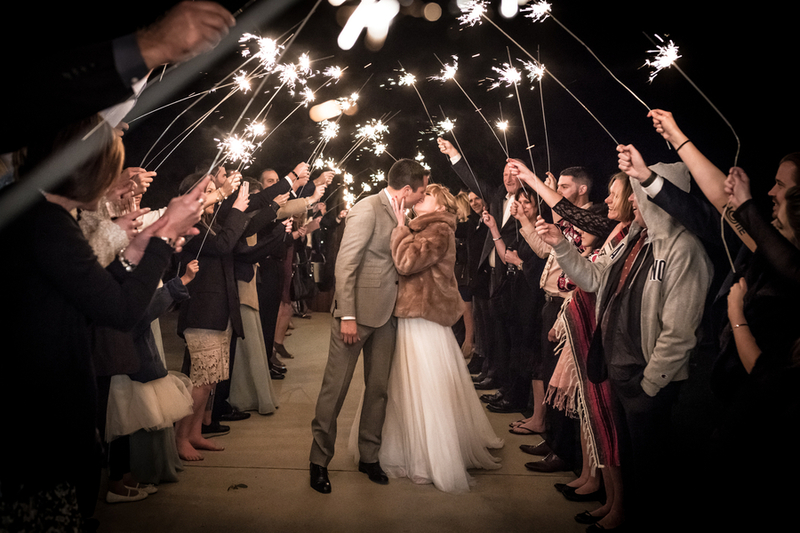 The night came to an end and the couple made their way across the bridge greeted by a long tunnel of sparklers as their guests saw them off to their awaiting chariot (Mitzi’s convertible). 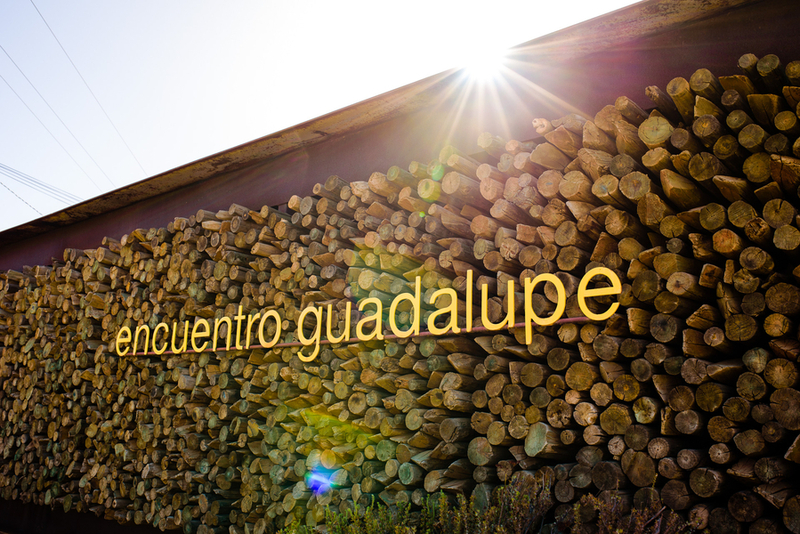 The wine country in Mexico is nothing short of spectacular. 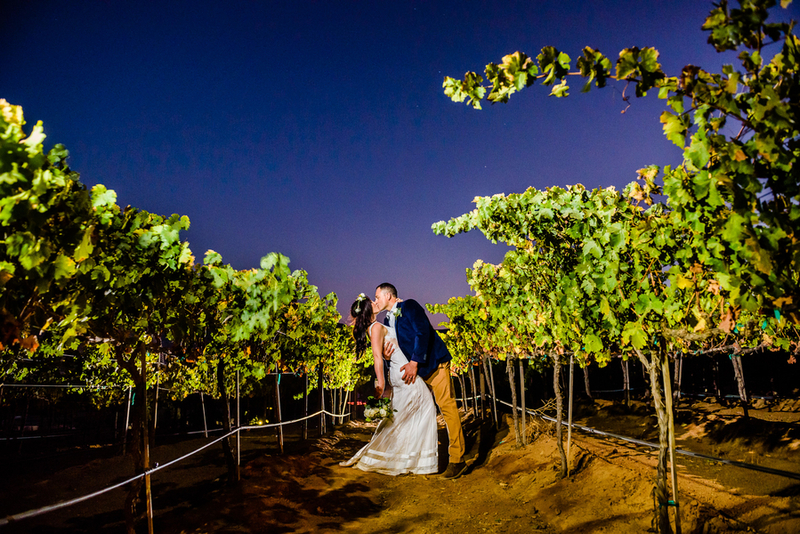 The “Rita del Vino” was full of so many beautiful colors and landscapes making it the perfect setting for Jamie & Manny's vow renewal. 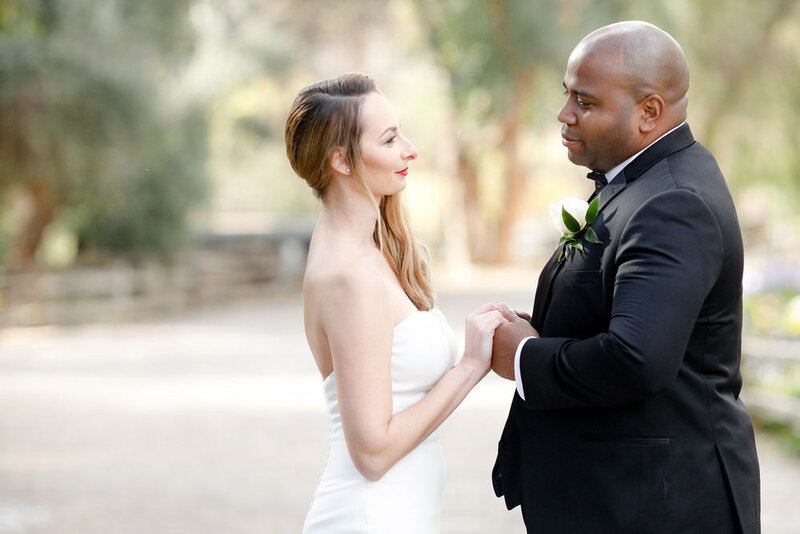 After 13 years of marriage, Jamie & Manny wanted to get back to the basics and celebrate what was truly important between the two of them. 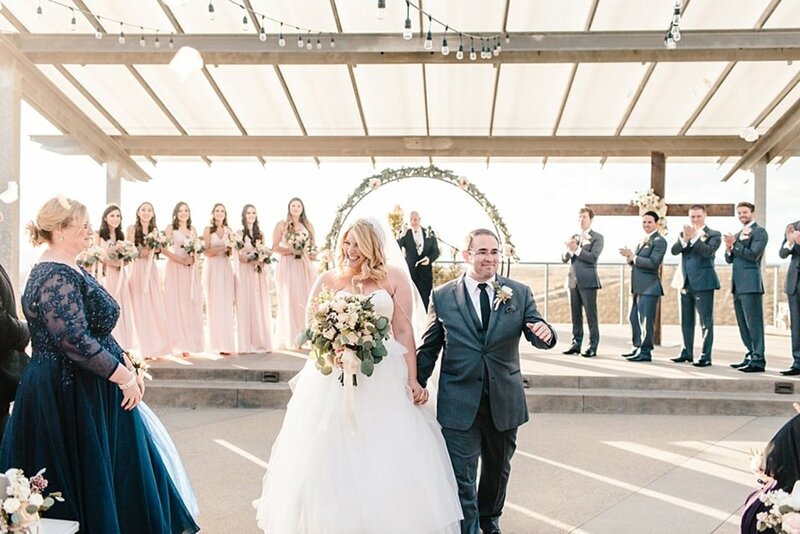 They remember their original wedding day as kind of stressful and that style decisions were somewhat taken over by the opinions of their family members. 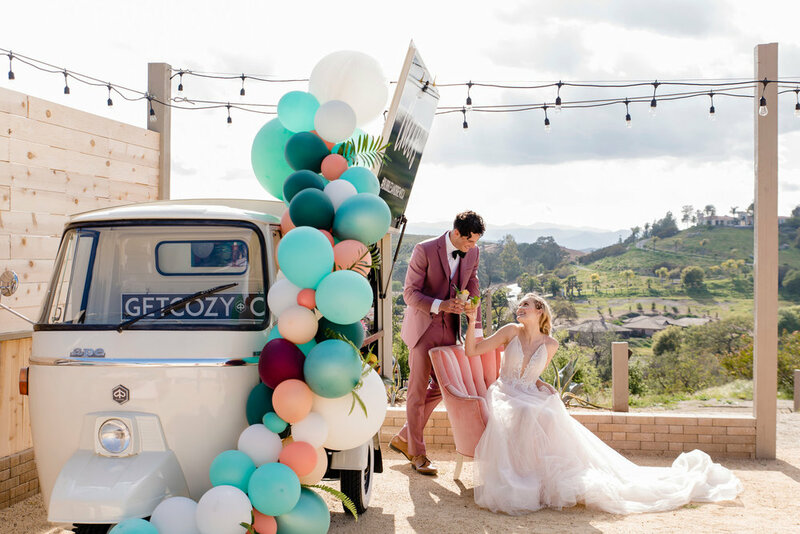 This time around, Jamie & Manny wanted to be comfortable and have the celebration THEY wanted. 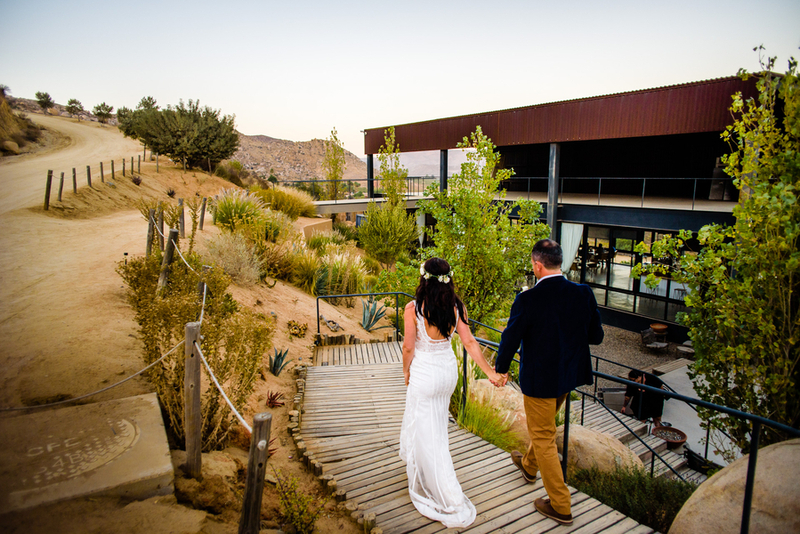 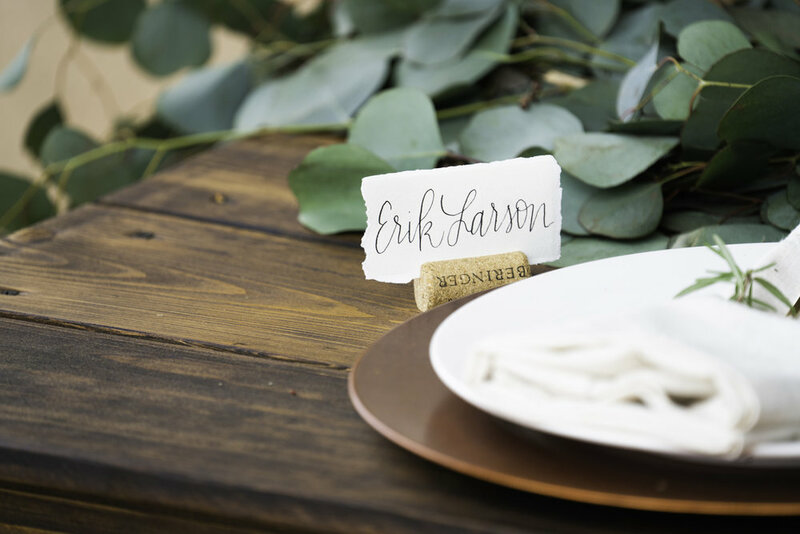 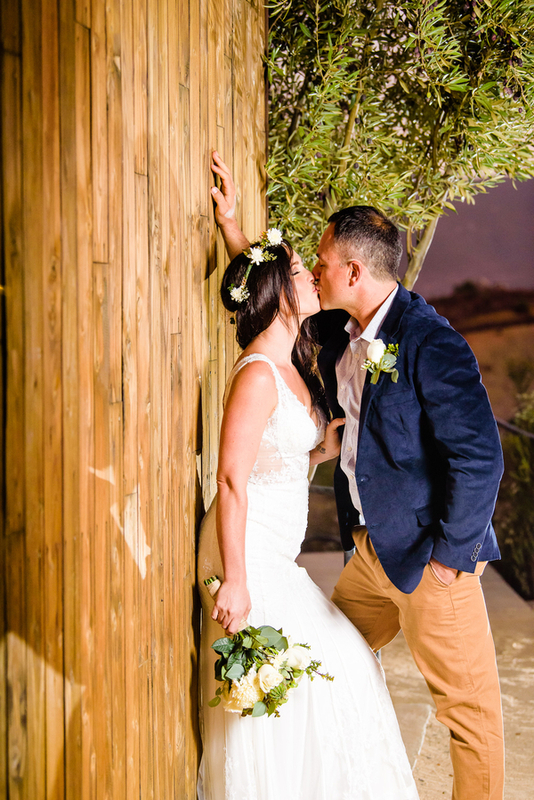 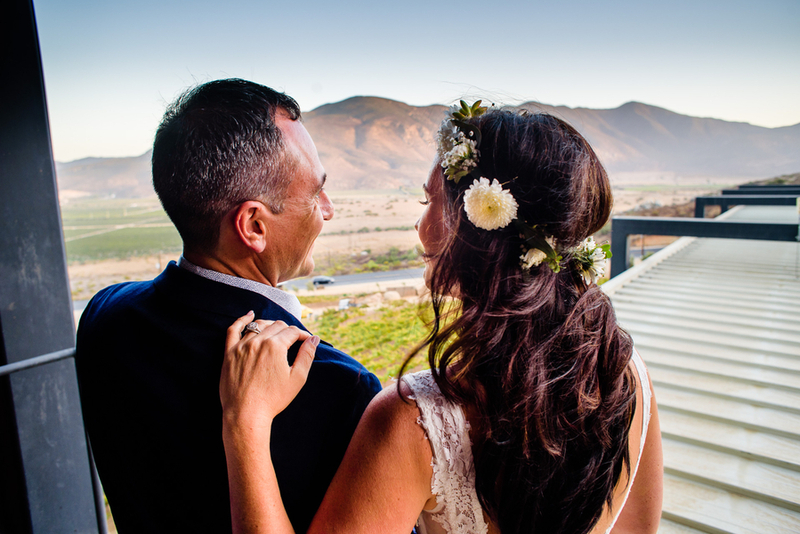 So they headed south, leaving their 3 beautiful boys at home, and traveled across the boarder to the stunning Encuentro Guadalupe winery for a weekend escape to renew their vows. 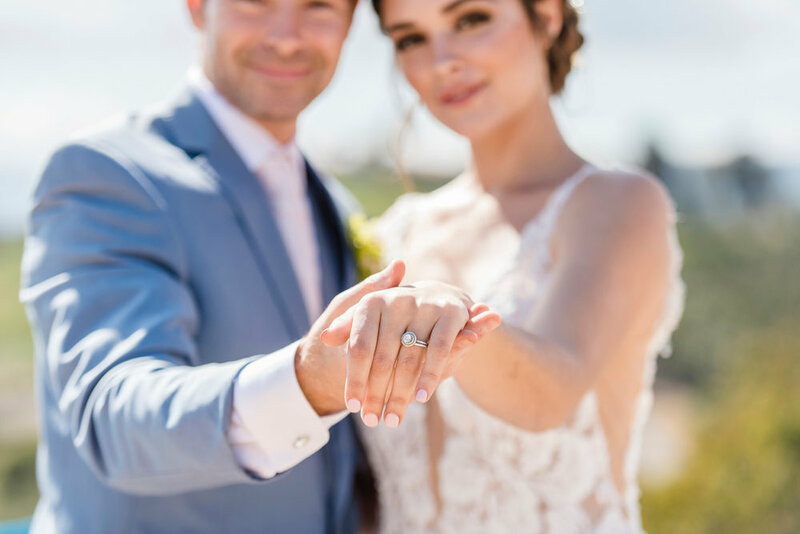 They had their ceremony on the balcony of their suite and enjoyed every minute of their celebration this time with just the 2 of them. 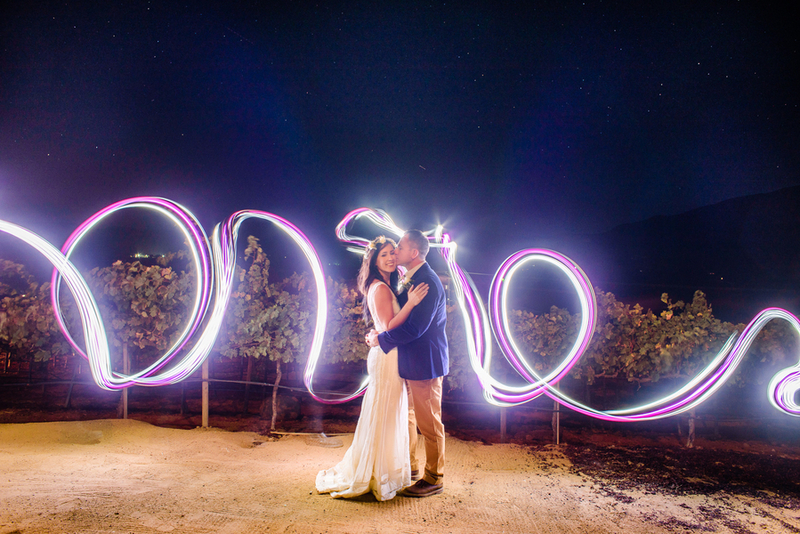 David + Monica are made for each other. 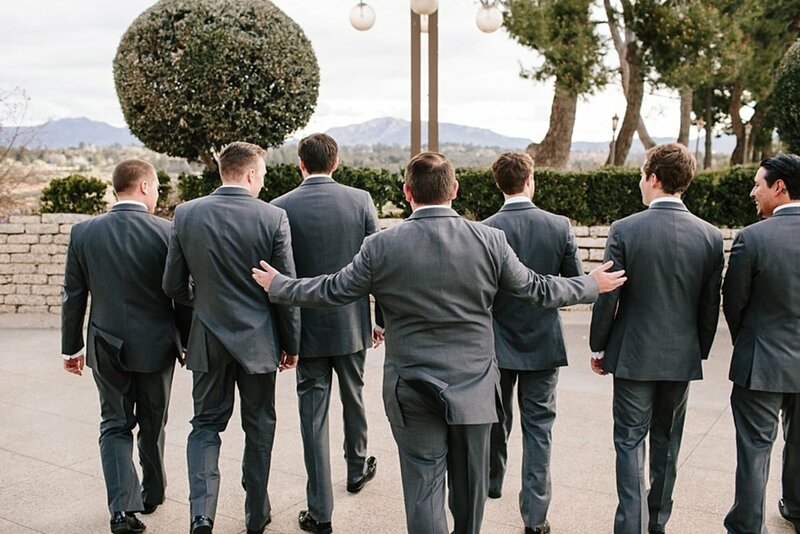 One is a lawyer. 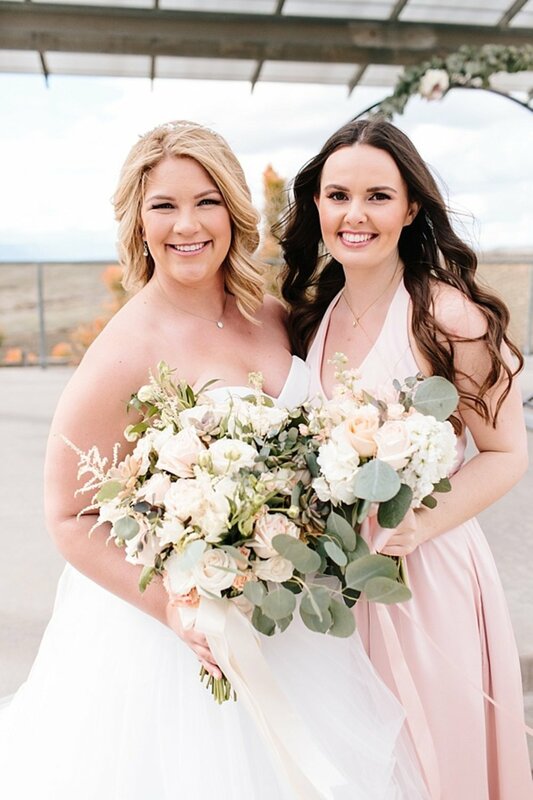 One is in law school. 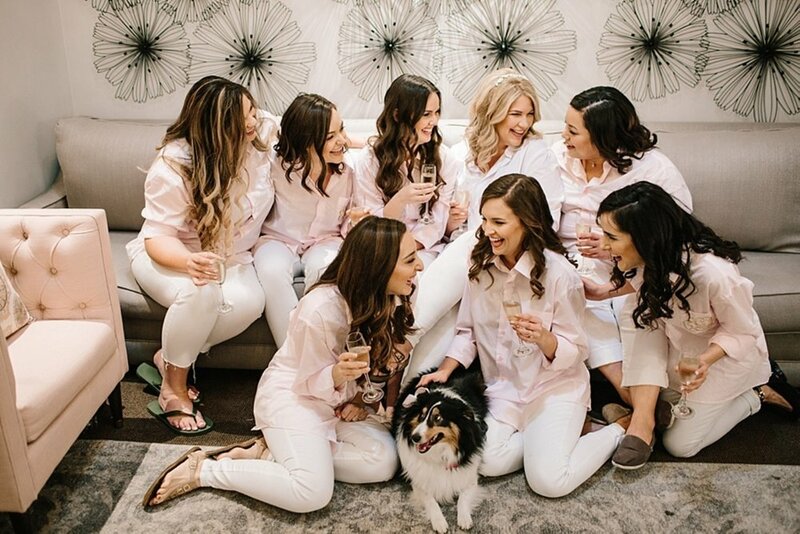 They are grounded, smart, and confident when you meet them and together, they bring out a tenderness and sweetness in one another, and at times, a little spark of silliness. 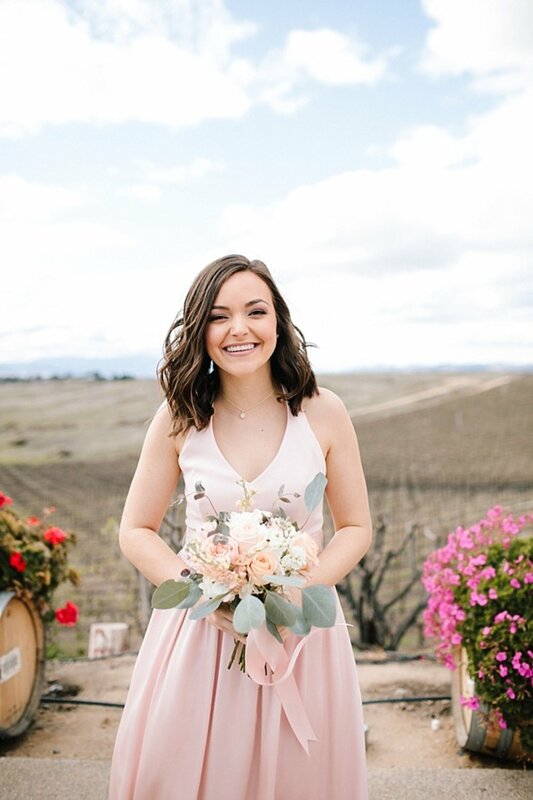 She smiles big. 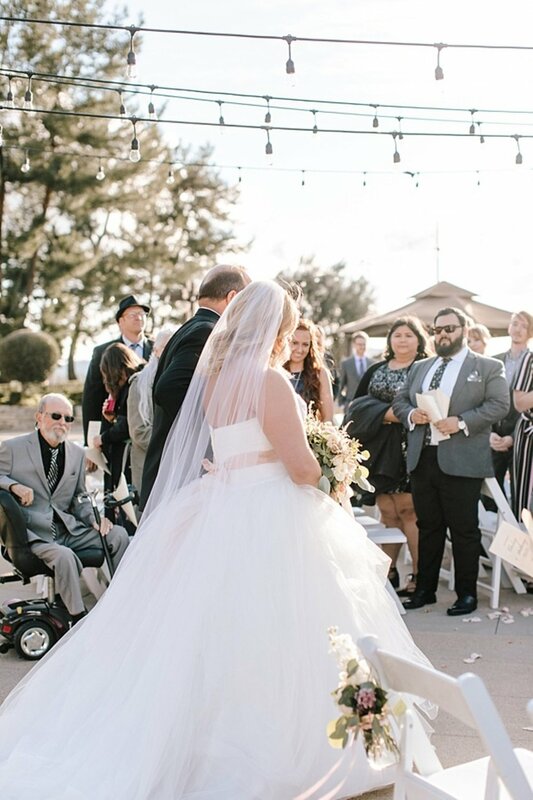 He can’t take his eyes off her. 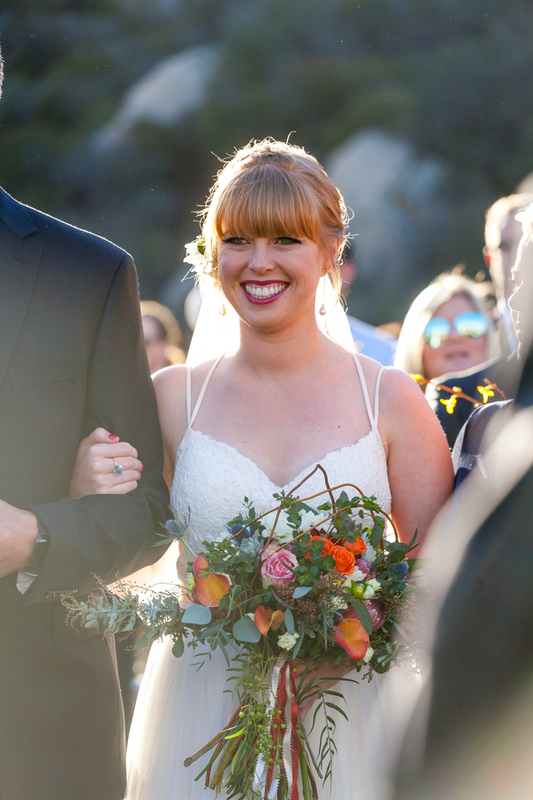 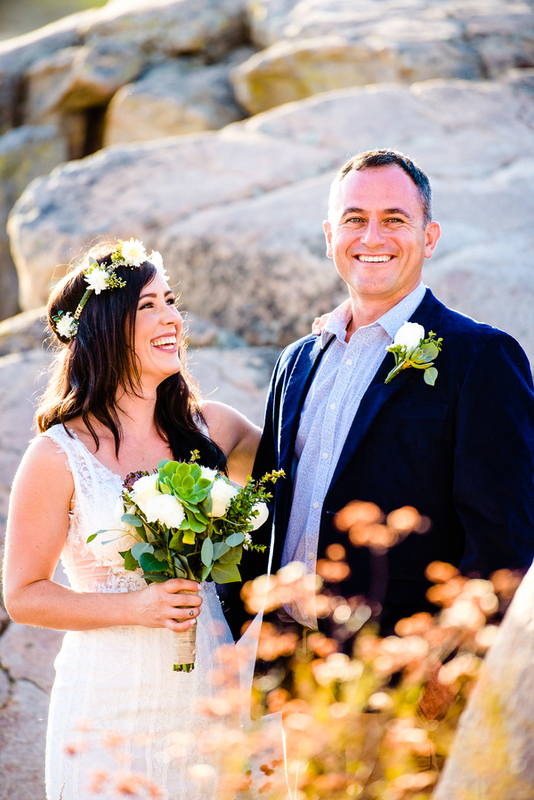 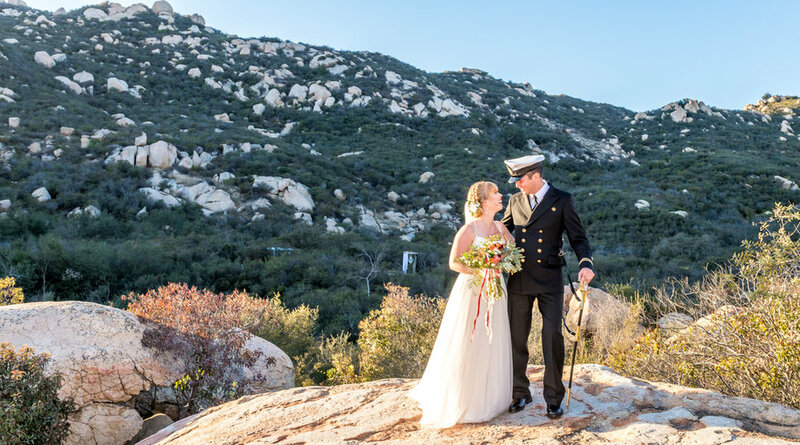 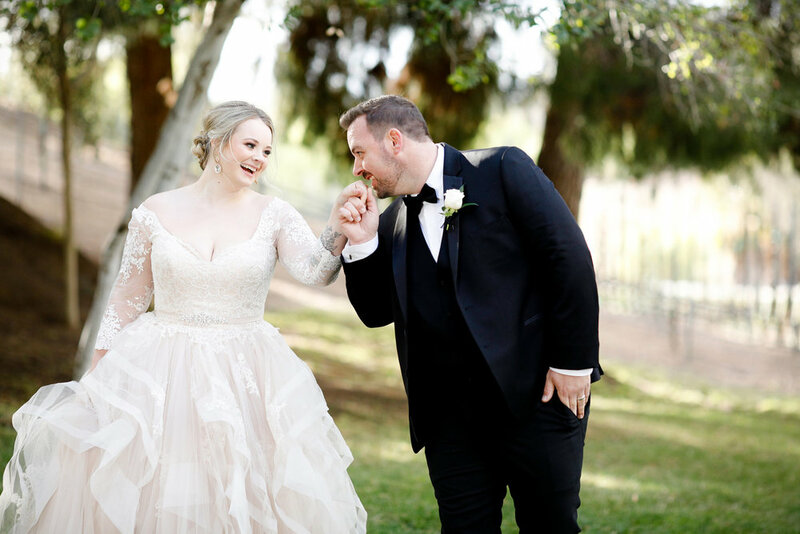 Their incredible Fall wedding was at one of our all time favorite San Diego area wedding venues; Orfila Vineyards & Winery, with breathtaking views and a tons of charm. 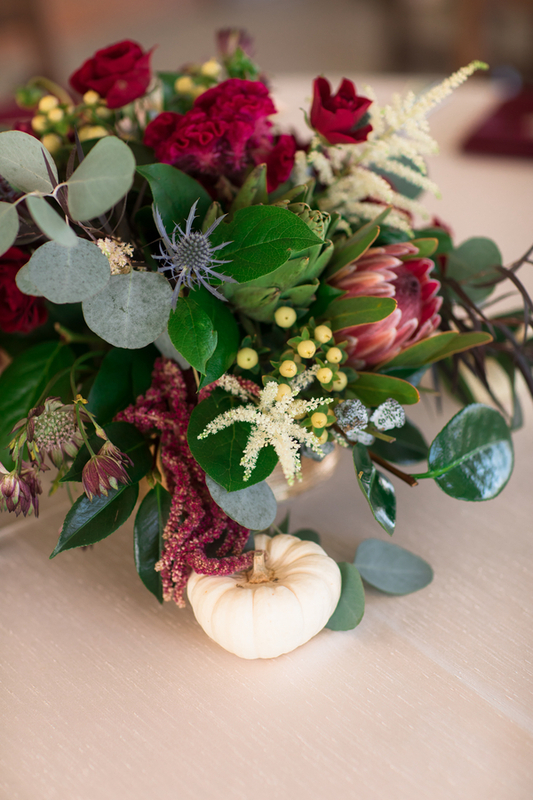 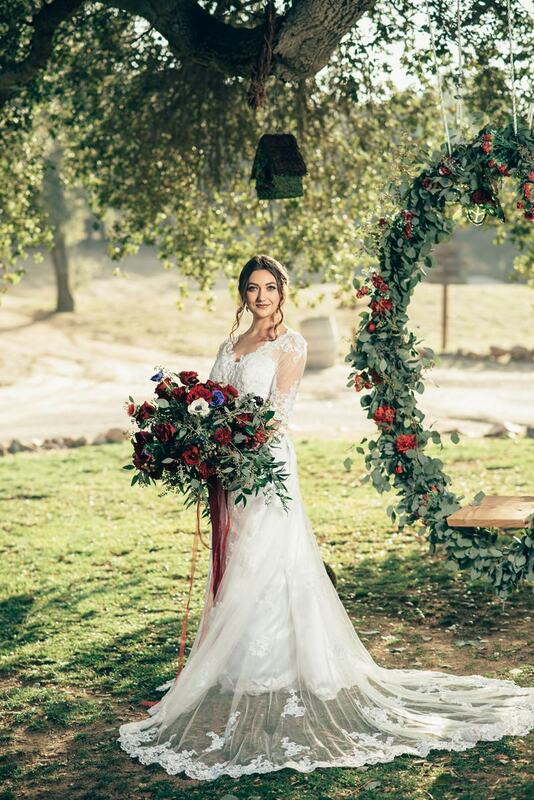 This wedding had an amazing team of experts ad pros to bring it together: Orfila's event manager, Steffi, executed a flawless day, as always, Simply Adina Floral designed the most beautiful burgundy and maroon-colored flowers – perfectly festive and perfectly Fall, Sound Prodigy supplied not only the tunes that kept the event moving but also the up lights and event coordination, and Kristen, at Bijou Beautiful, made the Bride and her best gals look stunning, and VG Donuts & Bakery delivered quite the decadent dessert spread bringing the whole day to its rich and warm and fulfilling ending! 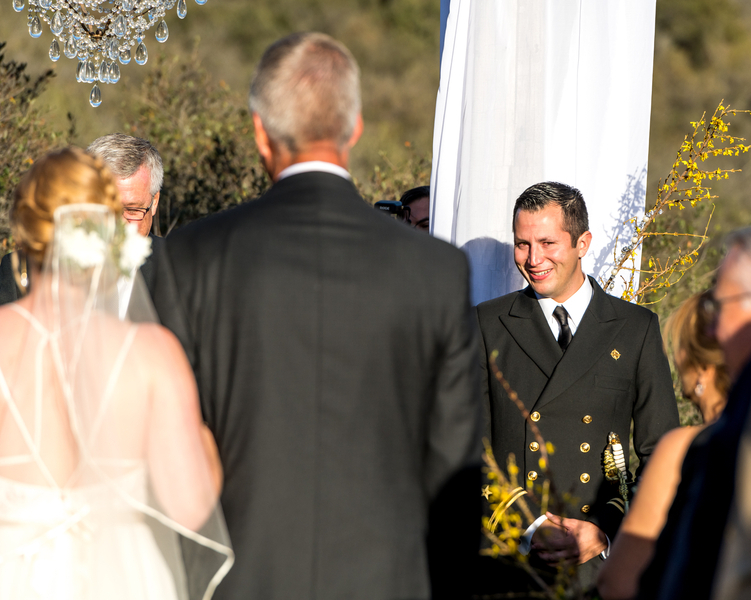 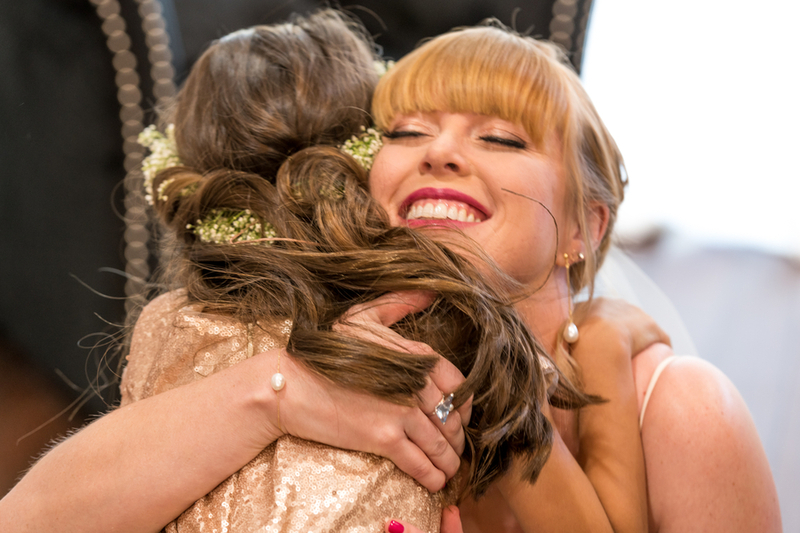 And thankfully Light of Love Photography was there to capture it all!